PROBONONJ appreciates and values the thousands of volunteers who spend vast amounts of hours each year assisting low-income New Jerseyans. Each participating organization has its own unique way of recognizing and acknowledging their volunteers. Here are some of the recognitions given from the participnat organizations. 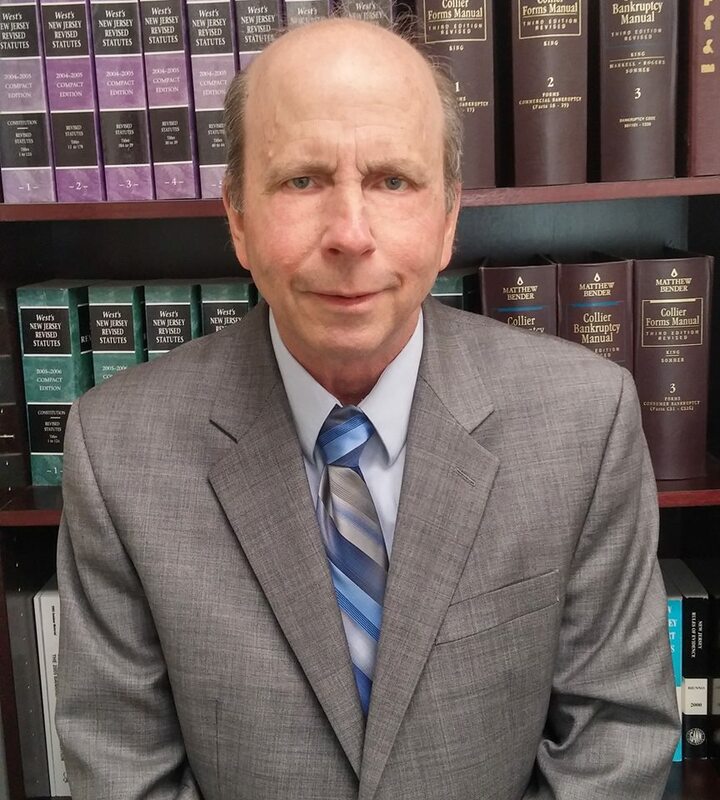 Many thanks from the Private Attorney Involvement Program to Paul Pflumm, Esquire of the Law Offices of Joseph A McCormick Jr, P.A for assisting a low-income Camden County senior with a Chapter 7 bankruptcy. The client sent the attached note in thanks. For more information on Mr. Pflumm and his firm, please visit the following: https://www.mccormicknjlaw.com/attorneys/. Thank you to David Huang, Esq. of Evan F. Nappen Attorney At Law, PC for recently concluding a pro bono expungement case for a Camden County woman. David focuses his practice on rights restoration in three jurisdictions, ranging from criminal expungements, juvenile sealings, medical record expungements, executive clemency, certificates of relief from disabilities, pardons, and the like. 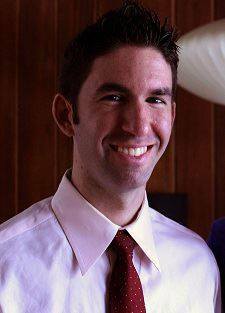 He has consulted on firearms law in multimedia, products, and video games. David is an enthusiastic supporter of our Expungement Project and we are very happy he chooses to volunteer with us. For more information on David and his firm, please visit the following website: http://www.evannappen.com/. Thank you to Private Attorney Involvement Program volunteer Jim Gentile, Esq. who volunteered to give advice consultations today in our Atlantic City office through our Family Assist Project. Jim is always looking for ways we can help more people with family law issues and we are thankful for that! Many thanks to Greg Thomlison, Esquire for providing advice consults by phone to two clients who reside outside of the county with their Ocean County matters. Your contributions to our Family Assist Project are very much appreciated! If you are an attorney who practices in Ocean County and would like to earn pro bono hours by providing advice in family law matters, please contact Kristine Carranceja-Gurski, SJLS Assistant Pro Bono Coordinator, at (732) 414-6750 ext. 6516 or at KCGurski@lsnj.org. 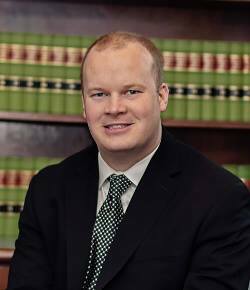 The SJLS Private Attorney Involvement Program thanks Joseph J. Rodgers, Esquire of Joseph J. Rodgers, Chartered in Wildwood Crest, New Jersey for recently concluding a pro bono expungement through our Expungement Project. Mr. Rodgers filed the Petition for Expungement and the client was very happy to receive his Final order of Expungement. THANK YOU! For more information on Mr. Rodgers and his firm, please visit the following website: https://www.rodgerscriminallaw.com/. Through The Honorable Judith H. Wizmur Bankruptcy Pro Bono Project at Rutgers Law School in Camden, volunteer attorneys and law students help our clients with Chapter 7 bankruptcy filings. Special thanks always to Robert Cooper, Esq. who has conducted trainings for this project since 1993 and who updates the training manuals every year. Special thanks also to Pam Mertsock-Wolfe, Associate Director for Pro Bono and Public Interest Programs and Writing Specialist, and the students who handle the scheduling of the clients once the files are referred to Rutgers. 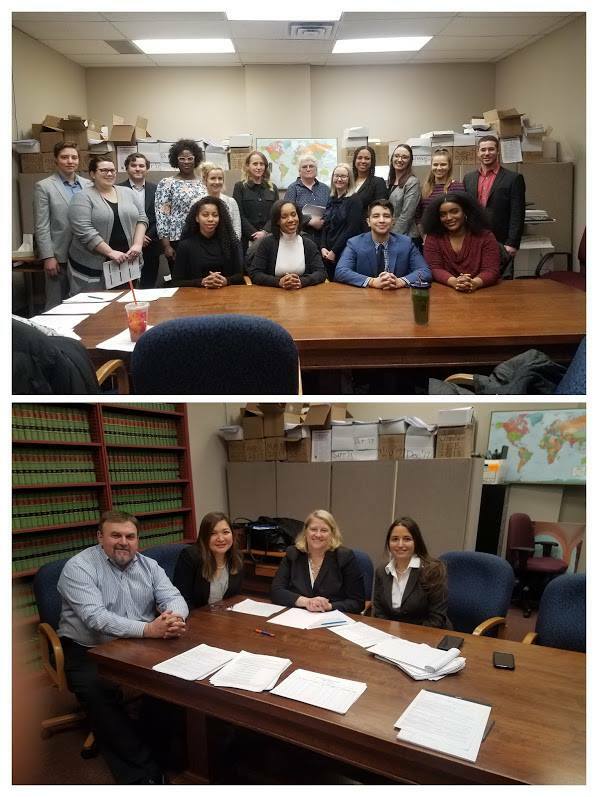 And, thank you very much to all the attorneys who participated this semester by volunteering their time including Nona Ostrove, Esq., Daniel Reinganum, Esq., Joseph Rogers, Esq., Jorge Garcia, Esq., Steven Neuner, Esq., Paul Pflumm, Esq., Jerry Kulback, Esq., Barbara Snavely, Esq., Ellen McDowell, Esq., Rex Roldan, Esq., Emmanuel Argentieri, Esq., Jill Tribulas, Esq., Ed Paul, Esq., Chris Cassie, Esq., Jill Bryan, Esq., Carrie Boyle, Esq., Tom Egner, Esq., and Lee Perlman, Esq. Thank you Rachelle Waitz, Esq. for your steadfast support of our Family Assist Project! Rachelle meets with clients every month and in April was volunteering to give 30-minute advice consultations in our Camden office. Rachelle also takes cases for representation through our Private Attorney Involvement Program and we thank her! Thank you to Berge Tumaian, Esq. of the Law Office of Berge Tumaian, LLC for volunteering with our Family Assist Project in April. Berge met with three clients in our Mt. Holly office and gave them advice on issues including support, custody and divorce. Berge has been a staunch supporter of our pro bono program in many ways over the years and we are grateful for his help! For more information on Berge and his firm, please visit the following: https://www.bergelaw.net/. Pictured are Michelle T. Nuciglio, Esq., SJLS Director of Pro Bono Services, and Berge Tumaian, Esq. 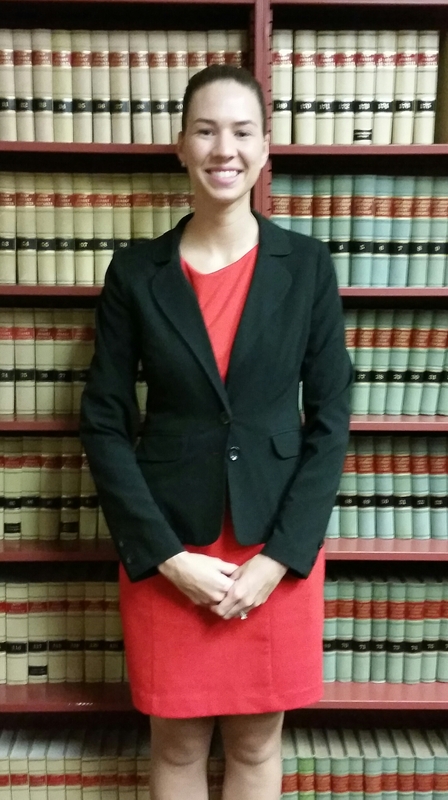 The SJLS Private Attorney Involvement Program congratulates Traci Overton, Esq. and the students of the Rutgers Law Civil Practice Clinic (CPC) in Camden for their recent Children's SSI victory! The CPC accepted the case of a Cape May County disabled three year old boy with Von Willebrand's Disease and various delays who had been denied Supplemental Security Income benefits. The administrative law judge ruled on March 11, 2019 that the child had severe impairments including ear disorder, speech and language impairment and Von Willebrand disorder and that the child has been disabled since October 2016. Great work by Traci and her law students! The CPC is a general civil litigation clinic at Rutgers School of Law. In the CPC, third year students provide critical legal services to low-income residents of South Jersey in a broad range of practice areas, including family law, housing law, SSI/SSDI disability law and consumer law. The SJLS Private Attorney Involvement Program thanks Ryan D. Foran, Esq. of Smedley & Lis for concluding a pro bono divorce for a Gloucester County woman who had been waiting for quite some time. Ryan devotes his entire practice to family law with a focus on divorce, custody, child support and domestic violence and we are very appreciative that he volunteers with us! For more information on Ryan and his firm, please visit the following website: http://smedleylis.com/. The SJLS Private Attorney Involvement Program thanks Scott J. Levine, Esq. for recently concluding two pro bono divorces through our Divorce Project. 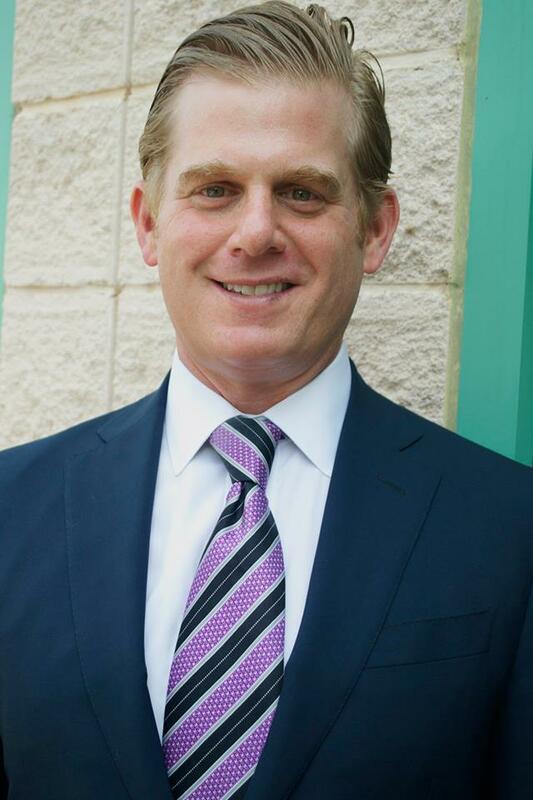 Scott is of counsel to the firm of Gerstein Grayson Cohen & Melletz in Mt. 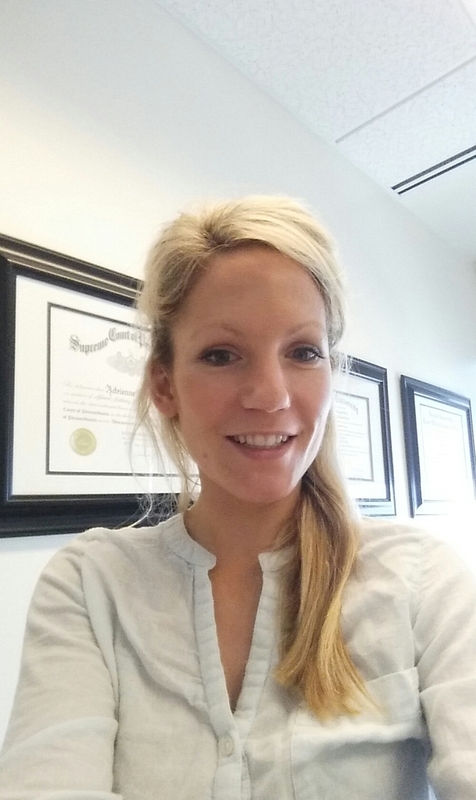 Laurel and primarily focuses on family law. For more information on Scott and his firm, please visit the following: http://gersteingrayson.com/team-view/scott-j-levine/. Thank you to Monzo Catanese Hillegass, P.C. and their attorneys for their support of The SJLS Guardianship Project for Children. The firm has provided representation in two pro bono cases for this project. We are thankful for their support! For more information on the firm, please visit the following website: https://mchlegal.com/. 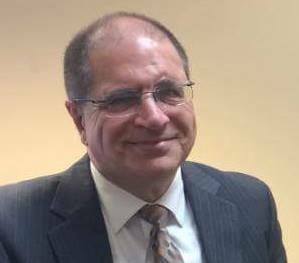 The SJLS Private Attorney Involvement Program thanks Marc Capone, Esq of Gillman, Bruton & Capone, LLC for assisting a disabled client in Monmouth County with his Chapter 7 bankruptcy. Mr. Capone has been a volunteer with SJLS since 2015 and has always been willing to accept cases when needed. We are especially grateful for the professionalism and patience he and his staff have with our clients. Thank you! The SJLS Private Attorney Involvement Program thanks Sarah Cranston, Esq. of Timothy Rice Estate and Elder Law Firm for recently concluding a pro bono guardianship case. The alleged incapacitated person's wife needed a guardianship over her husband who had a massive stroke which left him with only 5% brain functioning. The couple also had three children. Ms. Cranston was very willing to help the wife obtain guardianship over her husband and a Judgment of Incapacity was recently entered. We are thankful to Ms. Cranston and her firm for their willingness to help. 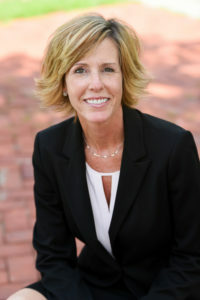 For more information on Ms. Cranston and her firm, please visit the following website: https://www.timriceelderlaw.com/. The SJLS Private Attorney Involvement Program thanks Ellen M. McDowell, Esq. of McDowell Law, PC for recently concluding a pro bono Chapter 7 bankruptcy for a hearing impaired Gloucester County client through The Honorable Judith H. Wizmur Bankruptcy Pro Bono Project at Rutgers Law School in Camden. Ellen met with the client and a sign language interpreter at the law school in the Fall and the client received her discharge today. Great work! 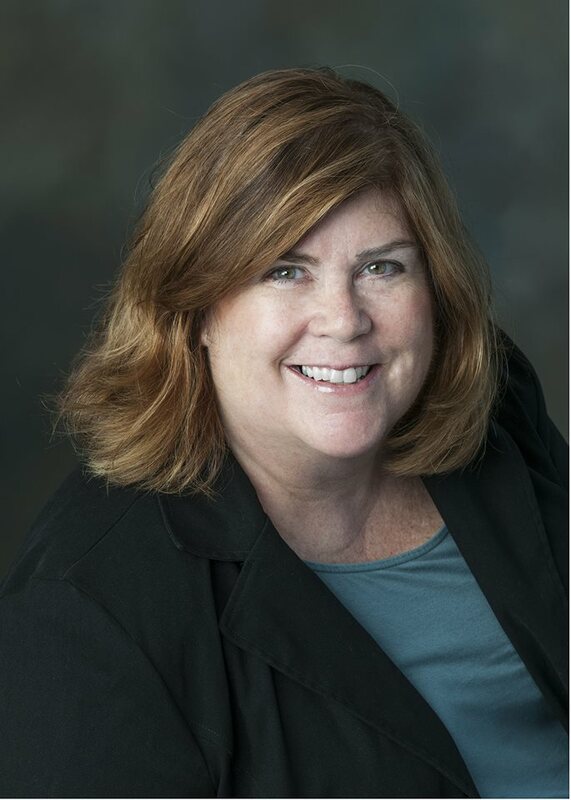 For more information on Ellen and her firm, please visit the following: https://www.mcdowelllegal.com/. The SJLS Private Attorney Involvement Program thanks MaryBeth Schroeder, Esq. of the Law Offices Of MaryBeth Schroeder for recently concluding a pro bono Chapter 7 bankruptcy for an Ocean County senior who had a large amount of credit card debt and loans. MaryBeth has been a supporter of our program for the last several years and we are very appreciative since there is a great need for bankruptcy help for low-income people in Ocean County. For more information on MaryBeth and her firm, please visit the following: http://www.mbschroeder.com/. The SJLS Private Attorney Involvement Program thanks Meredith L. Schalick, Clinical Professor of Law at Rutgers Law School in Camden, for presenting an Expungement Law CLE to volunteer attorneys in our Freehold office last night. Professor Schalick spoke on the new expungement law and applicable statutes, how to analyze eligibility, procedural requirements and standardized forms and gave practical advice on working with the county prosecutors and how to handle hearings. 15 private attorneys attended and accepted pro bono cases at the end of the training in exchange for the free CLE. Thank you Professor Schalick for all you do to help individuals who need expungements and thank you to all the volunteers who attended the training and accepted cases! Thank you Amy L. Knapp, Esq. of the Law Offices of Lee M. Perlman for recently concluding a pro bono Chapter 7 bankruptcy for a Camden County senior. Ms. Knapp referred this client to our program because of the client's large amount of credit card debt and loans. Thank you to Amy and this firm for their continuous help over many years and for sharing their time to help our clients. 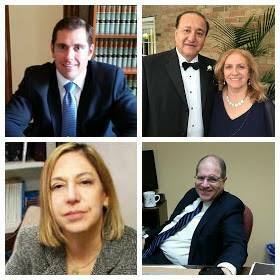 For more information on the firm, please visit the following website: https://www.newjerseybankruptcy.com/. Rutgers Law School in Camden and SJLS partner with Expungement Screening Event! On Saturday, March 9th, Professor Meredith Schalick and students from Rutgers Law School in Camden and the SJLS Private Attorney Involvement Program held an event at the SJLS Camden office. Over 40 individuals were seen by law students under the supervision of Professor Schalick. Attendees' criminal histories were reviewed by the law students and attendees were given advice about whether they were eligible for an expungement. The students were very knowledgeable, professional and kind to all the clients in attendance. Special thanks to Kristine Carranceja-Gurski, Esq. SJLS Assistant Pro Bono Coordinator, who prepared the files for the clients who were seen and Richard Chiumento, Managing Attorney of the SJLS Centralized Intake Unit, who processed intakes for unexpected walk-in clients. It was a great day of service to those in our community and we are thankful once again for the support of Rutgers Law School. The following students participated and are pictured top: Sydney Groll, Landon Hacker, Claire Newsome, Abby Cook, Destiney Wilson, Mario Valdivia, Morgan Humphrey, Kori Newallo, Josh Forrest, Lauren Puglisi, Christina Schnyer, Noel Hanrahan, Julianna Koster, Ashley Maddison, Jennifer Gonzalez and Mychal Giansanti. 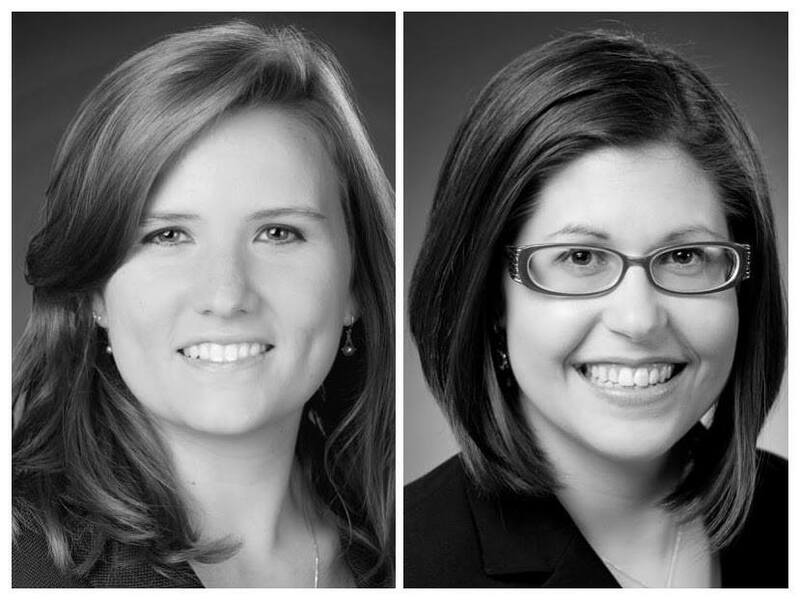 Pictured bottom from left to right are Richard Chiumento, Esq., Kristine Carranceja-Gurski, Esq., Meredith Schalick, Esq. and Michelle T. Nuciglio, Esq. The SJLS Private Attorney Involvement is very thankful again to Rachelle Waitz, Esq. for volunteering time today in our Woodbury office in March. Rachelle gave advice to four clients and always asks when she can volunteer next. Rachelle is not only extremely knowledgeable but also kind and courteous to all our clients and staff. We appreciate you Rachelle! Many thanks to James P. Shannon, Esq. for providing our clients with advice on child support and custody matters today through our Family Assist Project in our Freehold office in March. Thank you Ocean County Bar Association for last night's State Bar Night February Meeting at Artisan's Restaurant & Brewery in Toms River, New Jersey. At the meeting, comments were made by Terrance L. Turnbach, OCBA President, and a representative from the New Jersey State Bar Association. 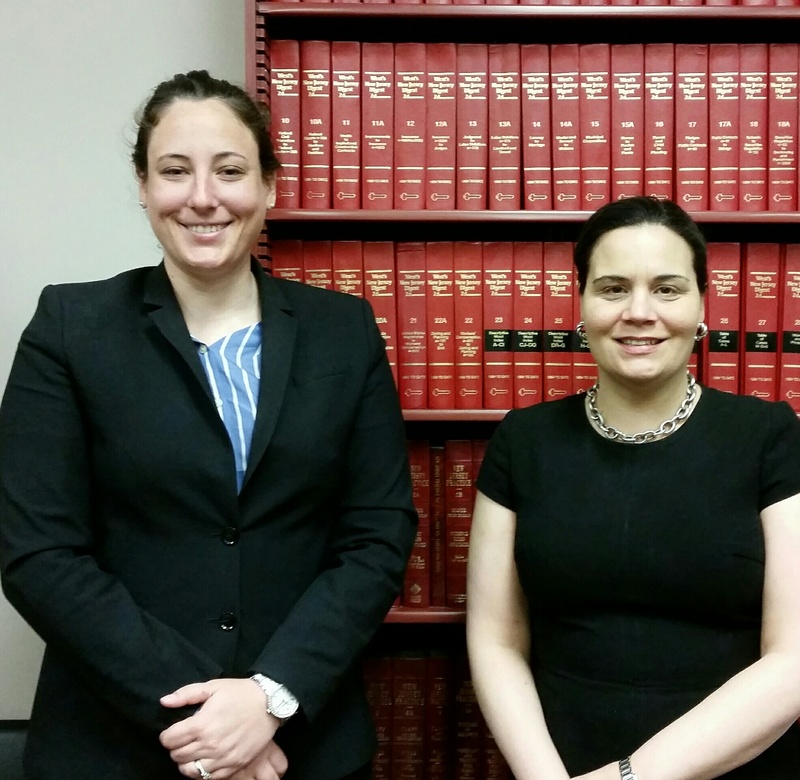 Pictured below are Michelle T. Nuciglio, Esq., SJLS Director of Pro Bono Services (left), and Kathleen M. Dotoli, Esq. 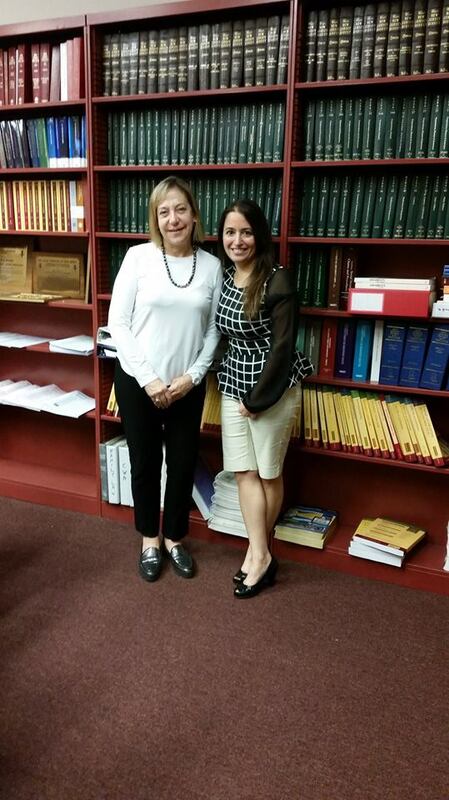 of the Law Office of Kathleen M. Dotoli (right). Kathleen coincidentally had a hearing for one of her pro bono cases through our Children's SSI Project earlier in the day and was as enthusiastic as ever about helping our clients. 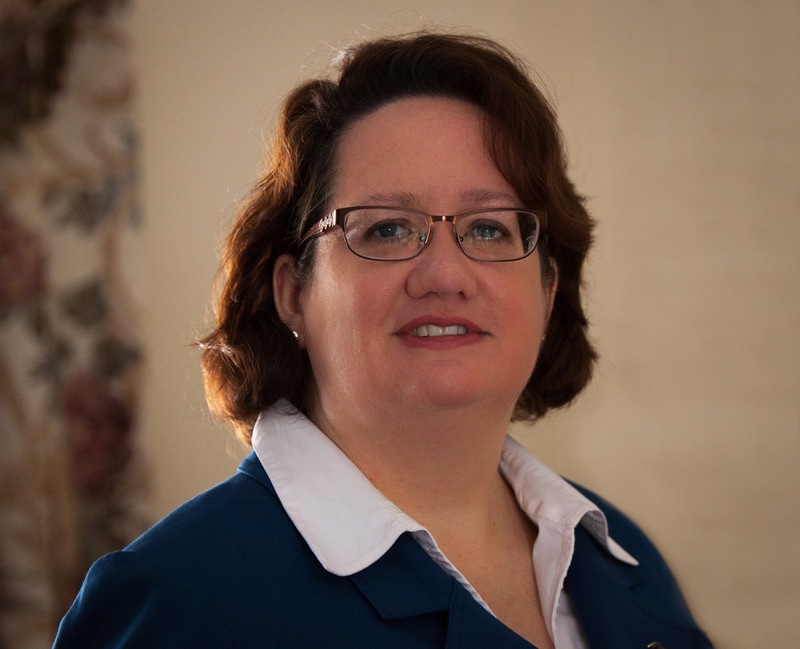 Kathleen practices workers compensation law and social security disability law and is as passionate about her pro bono clients as her private clients (see https://www.lawofficeofkathleenmdotoli.com/). We are very grateful for her support and for the support of the Ocean County Bar Association. The SJLS Private Attorney Involvement Program thanks Jeffrey Alan Kerstetter, Esq. of Kerstetter Law, LLC for concluding a divorce for a low-income Camden County woman today. Despite many service issues, Jeff persisted with the case and attended the hearing today during which a Final Judgment of Divorce was entered. Jeff never gives up with our clients and we are very grateful for his support. 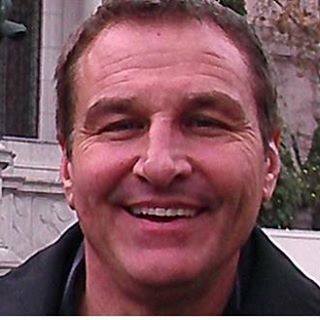 For more information on Jeff and his firm, please visit the following website: http://www.familylawsj.com/. The SJLS Private Attorney Involvement Program thanks Bonnie Laube, Esq. of the Law Firm of Greenblatt & Laube, P.C. in Vineland for accepting a pro bono divorce for a Cumberland County man this week. Bonnie has been a gracious supporter of our program for many years and we thank her for her dedication to the low-income population in South Jersey. For more information on Bonnie's firm, please visit the following website: http://greenblattlaube.com/. The SJLS Private Attorney Involvement Program thanks Angie Gambone, Esq. of Flaster Greenberg PC in Cherry Hill for recently concluding a pro bono divorce for a low-income Camden County man. Ms. Gambone assisted the client throughout the process and attended the hearing with the client on February 20th during which a Final Judgment of Divorce was entered. Ms. Gambone immediately volunteered to accept another case, and we are very thankful to her for that! 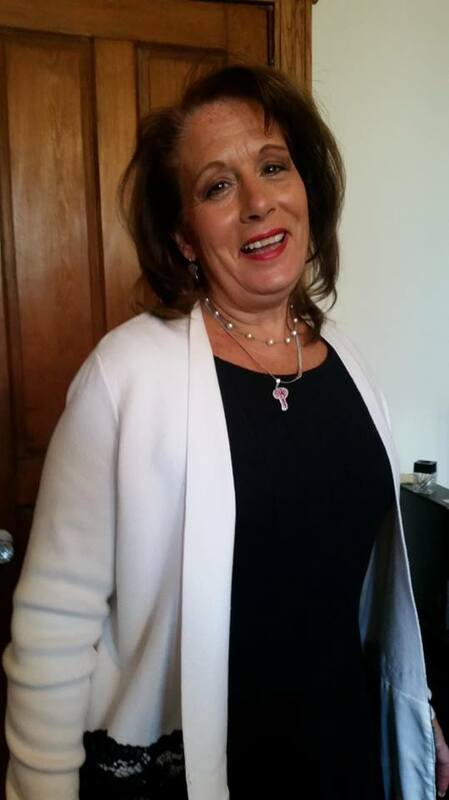 For more information on Ms. Gambone and her firm, please visit the following: https://www.flastergreenberg.com/people-Angie_Gambone.html. Thank you The Law Office of Rachel S. Cotrino, LLC! The SJLS Private Attorney Involvement Program thanks Rachel S. Cotrino, Esq. 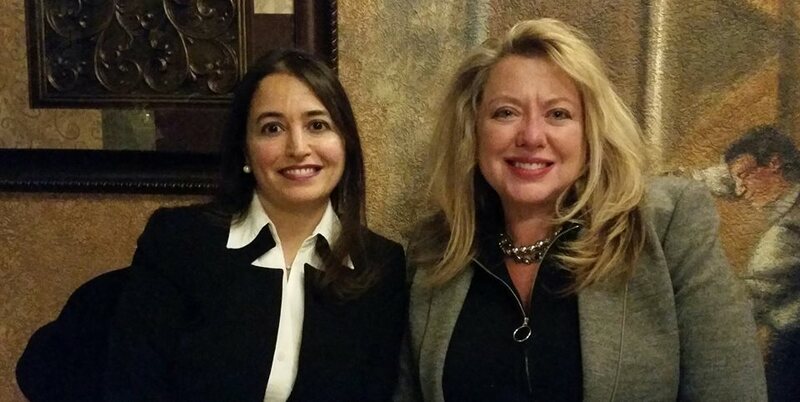 (pictured right) and Joanna J. Schiaffo, Esq. (pictured left) for each recently concluding pro bono divorces through our Divorce Project. These attorneys have volunteered to help low-income people in their community with divorces for the last several years through our program and we are very appreciative of their help. For more more information on the firm, please visit the following website: https://www.cotrinolaw.com/. The SJLS Private Attorney Involvement Program thanks S. Joseph Litvak, Esq. of the Litvak Legal Group, PLLC for concluding a pro bono Chapter 7 bankruptcy for a Monmouth County resident. The client contacted us because she was overwhelmed with her credit card debt. Mr. Litvak helped the client with her case and an Order of Discharge was entered on February 1, 2019. Thank you! For more information on Mr. Litvak and his firm, please visit the following: http://www.litvaklegalgroup.com/home.html. The SJLS Private Attorney Involvement Program thanks Daniel L. Reinganum, Esq. of McDowell Law, PC in Maple Shade for recently concluding a pro bono Chapter 7 bankruptcy for a low-income Camden County woman. Dan is a consistent supporter of The Honorable Judith H. Wizmur Bankruptcy Pro Bono Project at Rutgers Law School in Camden and we are grateful that he chooses to share his expertise to help the low-income population in South Jersey. 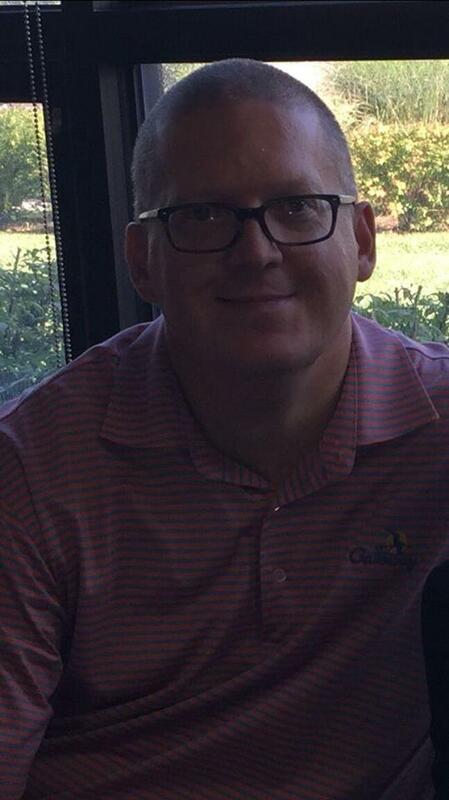 For more information on Dan and his firm, please visit the following https://www.mcdowelllegal.com/. The SJLS Private Attorney Involvement Program thanks Neal Walters, Esq. 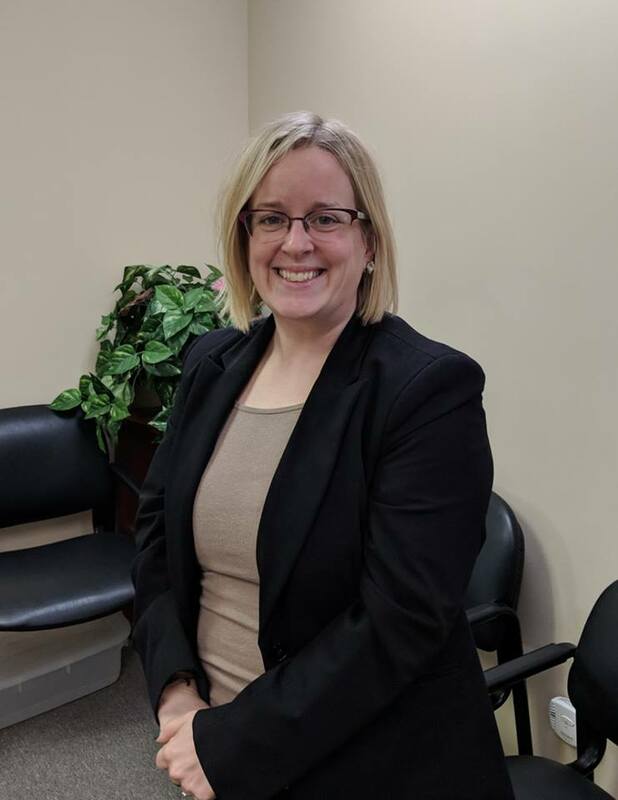 of Ballard Spahr LLP in Cherry Hill and Michele Sharp, Legal Administrative Assistant, for successfully securing an expungement order for a low-income Burlington County woman. Mr. Walters participated in an Expungement CLE last year and volunteered to accept this case. The Order Granting Expungement was signed on January 25, 2019. Thank you to Mr. Walters and Ms. Sharp for their support! For more information on Mr. Walters, please visit the following: https://www.ballardspahr.com/people/attorneys/walters_neal.aspx. The SJLS Private Attorney Involvement Program thanks Lawrence L. Hubert, Esq. for recently concluding an expungement pro bono case through The SJLS Expungement Project. Mr. Hubert's practice includes personal injury and workers' compensation cases, including automobile accident cases, fall-down accidents and product liability claims. 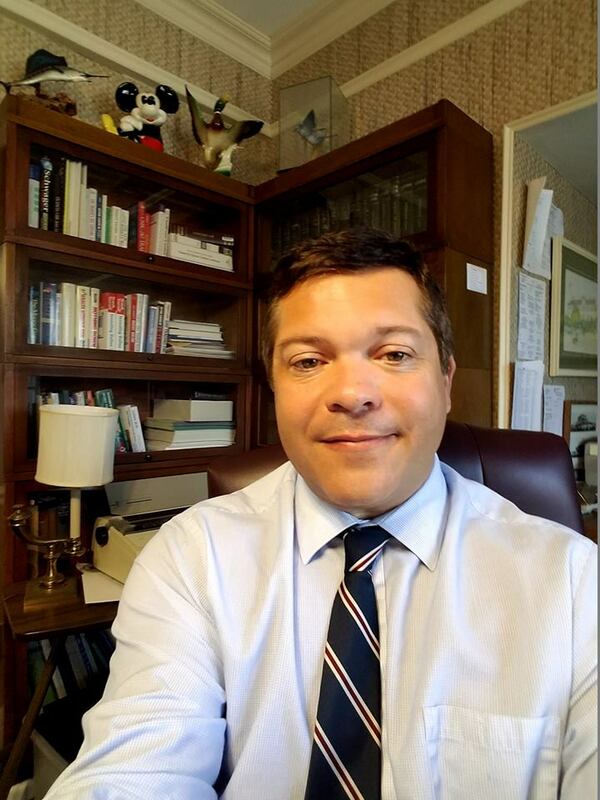 As a former Assistant County Prosecutor, Municipal Prosecutor and Public Defender, his practice also includes criminal defense, juvenile matters, traffic, DWI and Municipal Court defense. For more information on Mr. Hubert and his firm, please visit the following website: http://www.lawhub.net/. Pictured are Mr. Hubert and his paralegal, Jan. Thank you to volunteer attorney and SJLS Board Member Kristen S. Henninger, Esq. of Kristen S. Henninger, Esquire, LLC who volunteered in our Ocean County office in February with our Family Assist Project. 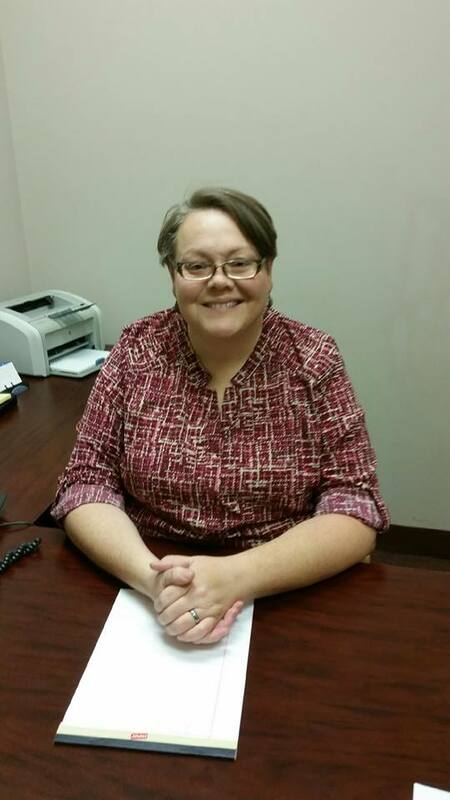 Ms. Henninger is scheduled to provide 30-minute consultations to four low-income clients in need of family law advice. Thank you for your generosity and willingness to volunteer your time and expertise! The SJLS Private Attorney Involvement Program thanks Nona L. Ostrove, Esq. for concluding three pro bono bankruptcies through The Honorable Judith H. Wizmur Bankruptcy Pro Bono Project at Rutgers Law School in Camden. Nona met with these clients and the law students last semester and all the clients received an Order of Discharge on February 1st. Nona volunteered again last night at Rutgers and met with two additional clients and students. 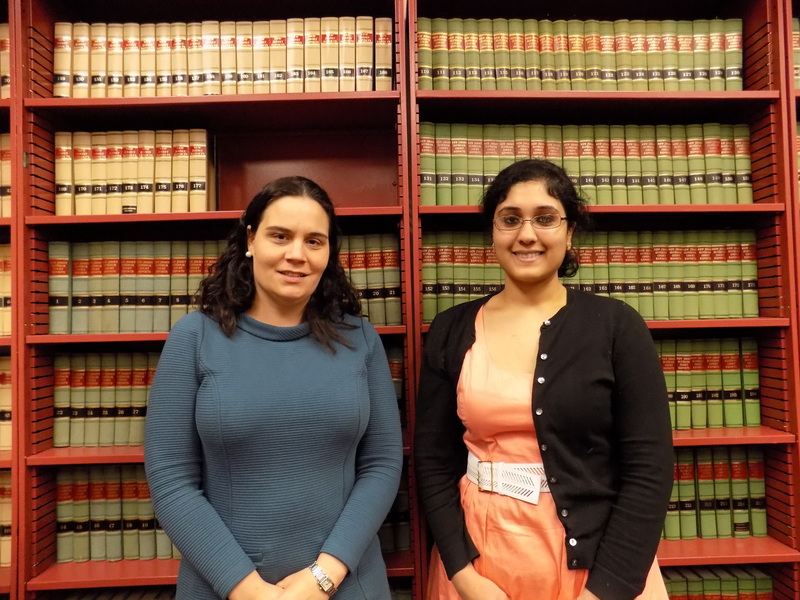 Nona has volunteered with this project for years and is a great mentor to the law students. She is always enthusiastic and thorough and we appreciate all her help. For more information on Nona and her firm, please visit the following: http://ostrovelaw.com/. Thank you to John Tatulli, Esq. 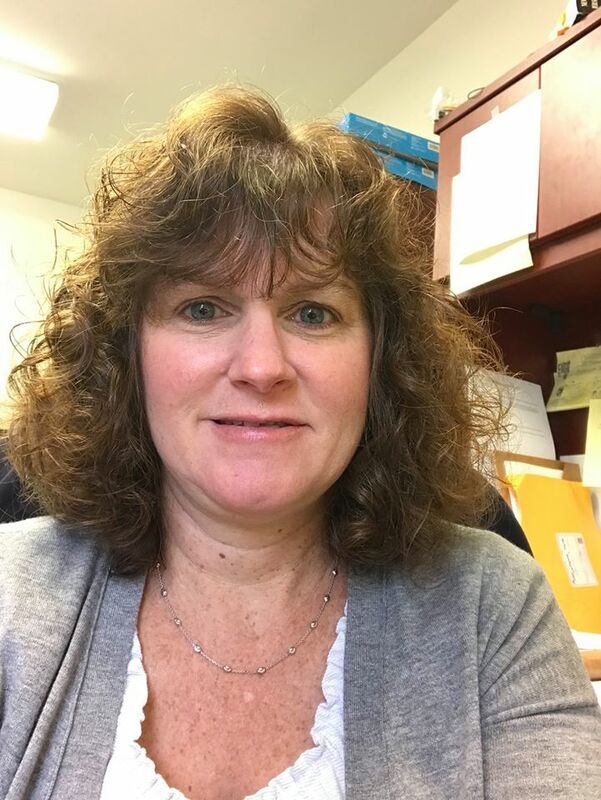 and Cindy Clayton, Paralegal, of the Law Offices of John R. Tatulli in Shrewsbury for concluding another pro bono expungement through our Expungement Project. John and Cindy worked together to help a Camden County man with his expungement and the Expungement Order was entered on January 11th. Thank you to both John and Cindy for their dedication to our Expungement Project and for helping so many people get a new start. For more information on Mr. Tatulli and his firm, please visit the following website: http://www.tatullilaw.com/. The SJLS Private Attorney Involvement Program thanks R. Stephen Stigall, Esq. of Ballard Spahr LLP in Cherry Hill for recently concluding a pro bono expungement case for a Camden County man. 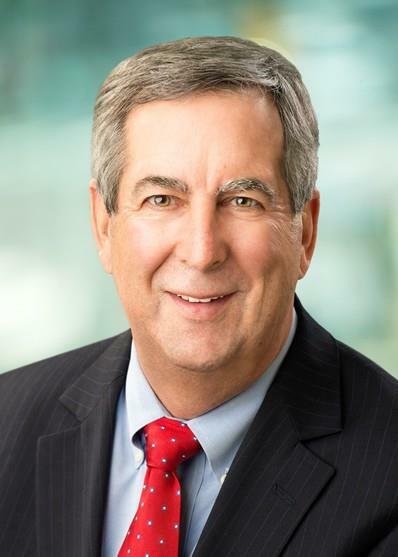 Mr. Stigall participated in a training for volunteer attorneys at Ballard Spahr in 2018 and immediately started work on this case. The Order Granting Petition for Expungement was signed on January 11, 2019. 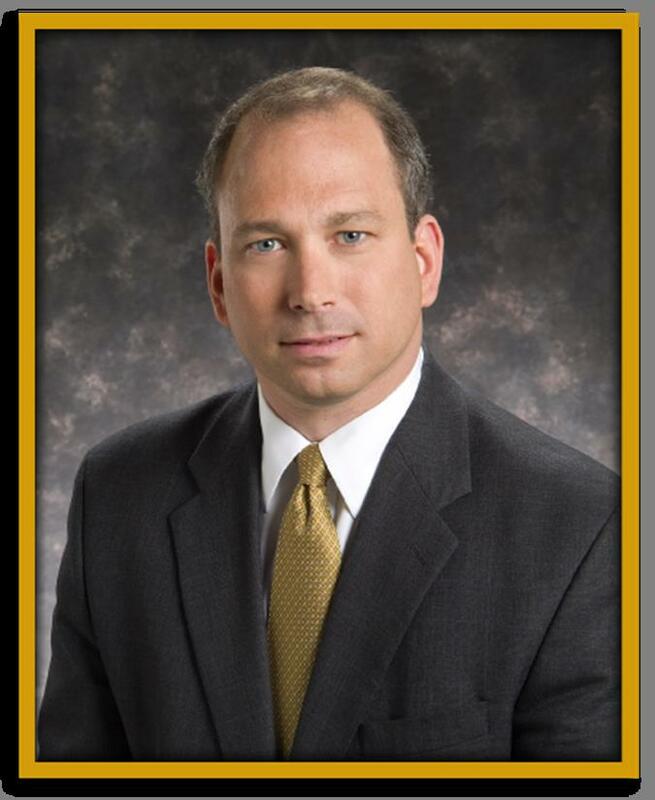 Mr. Stigall served more than 15 years as an Assistant U.S. Attorney in the U.S. Attorney's Office in Camden and was the Attorney-in-Charge of that office for more than five years as well as Deputy Attorney-in-Charge for three years. As an Assistant U.S. Attorney, he led multi-agency government investigations and tried a range of high-profile white collar cases. His experience ranges from handling nine-figure securities fraud matters to prosecuting cases involving bank, health care, and mortgage fraud as well as corporate embezzlement, bribery, and export violations. We are very thankful that Mr. Stigall chooses to volunteer with us. 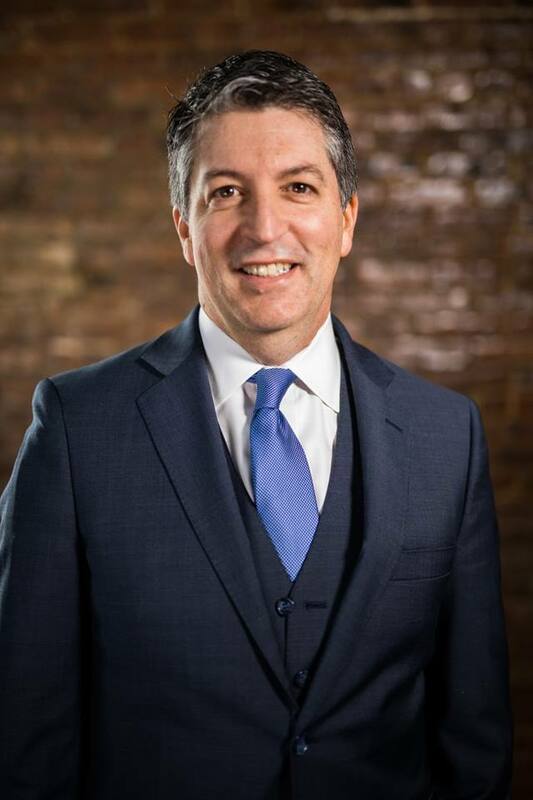 For more information on Mr. Stigall, please visit the following: https://www.ballardspahr.com/people/attorneys/stigall_stephen.aspx. The SJLS Private Attorney Involvement Program thanks Laurie Ruben, Esq. of the Law Office of Neal Ruben in Shrewsbury for recently assisting a low-income Ocean client with advice on filing a Chapter 7 bankruptcy. Although the client did not file for Chapter 7 bankruptcy, she was given valuable advice by Ms. Ruben that would allow the client to file and receive a discharge successfully at a later time. Ms. Ruben has graciously offered to accept this matter again when the time is right for the client to file. We are very fortunate to have her on our volunteer panel! Thank you to Steven B. Sacharow, Esq. of Flaster Greenberg PC in Cherry Hill! Steve volunteered to help a low-income Camden County woman with her divorce last year. The client had been separated for almost 10 years and was anxious to get a divorce and move on with her life. Steve attended the hearing with the client on January 24th and a Final Judgment of Divorce was entered. Thank you Steve! For more information on Steve and his firm, please visit the following website: https://www.flastergreenberg.com/people-Steven_Sacharow.html. The SJLS Private Attorney Involvement Program thanks Karen P. Sampson, Esquire of Karen P. Sampson, Esq. LLC for concluding a pro bono divorce for a low-income Burlington County woman last week. Ms. Sampson accepted the case through our Divorce Project and attended the final hearing last week during which a Final Judgment of Divorce was entered. Ms. Sampson promptly volunteered to accept another case and we are very thankful for her willingness to help again. For more information on Ms. Sampson and her firm, please visit the following website: www.karenpsampson.com. 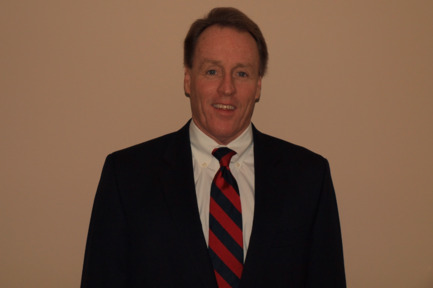 The SJLS Private Attorney Involvement Program thanks John M. Keating, Esq. of the Law Office of John M. Keating in Glassboro for concluding a pro bono divorce through our Divorce Project for a Salem County woman who was waiting several months. Mr. Keating volunteered his time to meet with the client, file the necessary paperwork and attend her hearing with her. Thank you for your support, John - we really appreciate it! The SJLS Private Attorney Involvement Program thanks Joseph M. Casello, Esquire of Collins, Vella & Casello, LLC and current SJLS Board Member for recently concluding a pro bono Chapter 7 bankruptcy for a low-income woman in Monmouth County. Mr. Casello has volunteered with us for the last five years and we are very grateful for his help! For more information on Mr. Casello and his firm, please visit the following website: http://www.cvclaw.net/. Thank you from the Private Attorney Involvement Program to Maury K. Cutler, Esq. for always being willing to help when needed. Mr. Cutler has been a member of our pro bono panel for many years and never hesitates to help individuals who have very limited access to the legal system. THANK YOU! For more information on Mr. Cutler and his firm, please visit the following: https://mkcutlerlaw.com/. Thank you from the SJLS Private Attorney Involvement Program to Jill M. Tribulas, Esq. of the Law Office of Jill M. Tribulas for her continuous support of our bankruptcy pro bono program. Jill volunteered with the bankruptcy project at Rutgers while in law school in 2000 and 2001 and continues to volunteer with The Honorable Judith H. Wizmur Bankruptcy Pro Bono Project at Rutgers Law School in Camden. She has already signed up for two volunteer dates for this Spring. Jill says on her website that "I am optimistic and compassionate. I love finding solutions. I love what I do and I care about my clients. I love to help people." We are very grateful that she chooses to volunteer to help the low-income population in South Jersey and that she has done so consistently for many years. For more information on Jill and her firm, please visit the following: https://tribulas.com/about/. Thank you from the SJLS Private Attorney Involvement Program to Ciardi Ciardi & Astin in Philadelphia for volunteering to take three pro bono Chapter 7 bankruptcies. This firm is always willing to help clients in our service area and also veterans through their Military Assistance Project. For more information on the firm, please visit the following website: https://www.ciardilaw.com/. Many thanks to Greg Thomlison, Esq. of Matthew R. Abatemarco, Esq. LLC for his assistance with our Family Assist program in the SJLS Ocean County Neighborhood Office today! 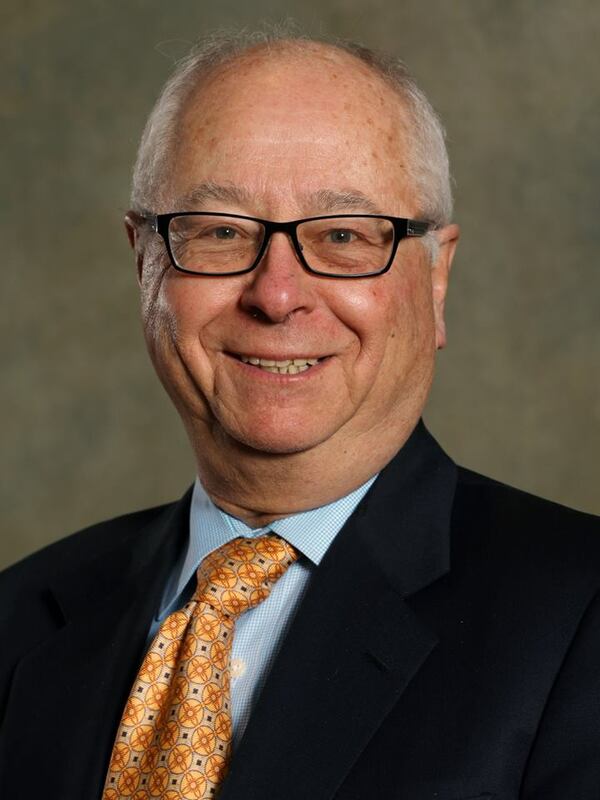 In addition to being an SJLS Private Attorney Involvement Program volunteer, Mr. Thomlison serves as the Chair of the Ocean County Bar Association’s Family Law Committee and is also on the District Ethics Committee. We are truly grateful for his willingness to continue assisting our clients with their family law matters. The SJLS Private Attorney Involvement Program thanks Barbara Barclay Moore, Esq. of Puff & Cockerill, LLC for concluding a pro bono divorce. Ms. Moore enthusiastically agreed to help a low-income Gloucester County man who had been waiting for a divorce. She attended the hearing last week during which a Final Judgment of Divorce was entered. We thank Ms. Moore for always being willing to help when asked. For more information on Ms. Moore, please visit the following website: http://pufflaw.com/barbara-barclay-moore/. Thank you to Karen Rose Karpousis, Esq. of the Law Offices of Charny, Karpousis, Altieri & Donoian, P. A. New Jersey for volunteering in our Camden office this afternoon to give 30-minute advice consultations to low-income individuals with family law questions. Ms. Karpousis is scheduled to meet with 7 clients today through our Family Assist Project and was very happy to provide her expertise and volunteer her time when asked. We are very grateful that she is willing to volunteer to help those who need it. For more information on Ms. Karpousis' firm, please visit the following website: http://wp.charnylaw.com/. Thank you from the SJLS Private Attorney Involvement Program to Mark R. Silber, Esq. for concluding a Chapter 7 bankruptcy for a low-income Ocean County resident. The client contacted our office with various consumer issues and a large amount of credit card debt. Mr. Silber volunteered to help him and the client's discharge order was entered on November 16, 2018. We are very thankful for Mr. Silber's willingness to help. For more information on Mr. Silber and his firm, please visit the following website: http://marksilber.com/. The Law Offices of Anthony Santangelo, Esq. 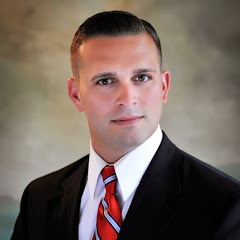 Thank you to Anthony Santangelo, Esquire of The Law Offices of Anthony Santangelo, Esq., MBA for recently concluding an expungement for a Camden County low-income woman. Mr. Santangelo prepared the petition for expungement and an Order for Expungement was entered on November 26, 2018. Mr. Santangelo has been assisting clients through our Expungement Project for almost three years and we are very grateful! THANK YOU from the SJLS Private Attorney Involvement Program to Joanne M. Ventura, Esq. of Neuner and Ventura LLP for recently concluding a pro bono divorce for a low-income Burlington County man. Ms. Ventura brings years of expertise to The SJLS Divorce Project where she is always willing to help low-income people with divorces. For more information on Ms. Ventura and her firm, please visit the following: https://www.nv-njlaw.com/. Thank you to Dan Straffi, Esq. of Straffi & Straffi Attorneys at Law in Toms River for recently concluding a pro bono Chapter 7 for an Ocean County senior citizen. 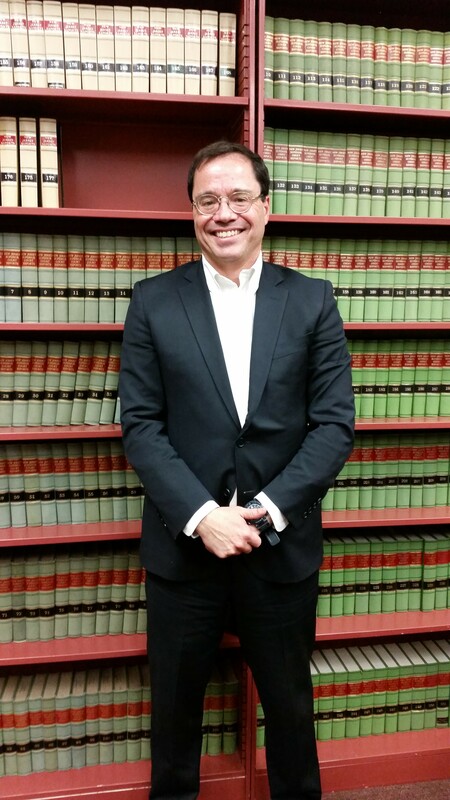 Mr. Straffi also volunteered to take another pro bono bankruptcy case even though he recently concluded one. We are thankful for his enthusiasm and willingness to help. For more information on Mr. Straffi and his firm, please visit the following website: https://www.straffilaw.com/. The SJLS Private Attorney Involvement Program thanks Phillip L. Lucas, Esq. of The Law Office of Piotr Rapciewicz, LLC with offices in Brick and Clifton for recently concluding a pro bono Chapter 7 bankruptcy for a low-income Monmouth County woman. The client contacted us because she was struggling to provide for her six children while working. She had a large amount of credit card debt and was also owed child support. Mr. Lucas helped her with her bankruptcy and helped her get a fresh start from her debt. For more information about Mr. Lucas and his firm, please visit the following website: https://rapciewiczlaw.com/. David Meth, Esq. and Kristen Henninger, Esq. 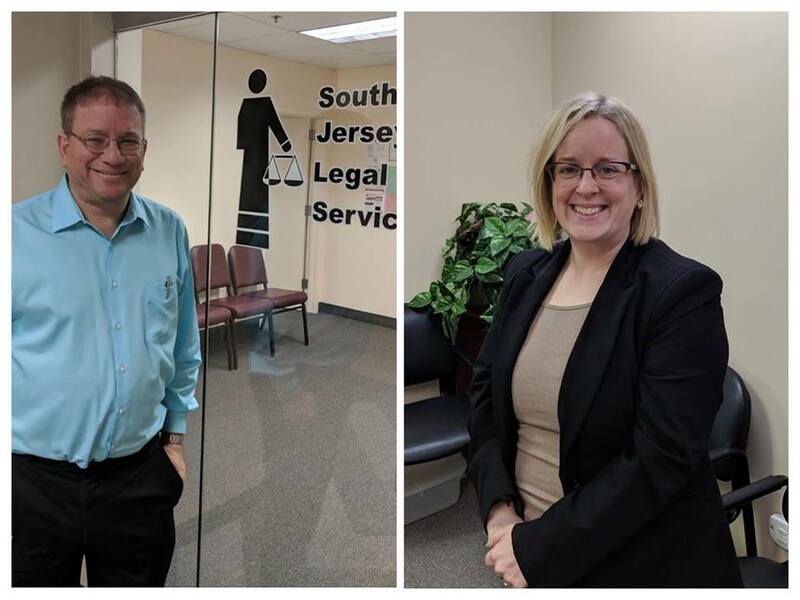 The SJLS Private Attorney Involvement Program (PAI) thanks David Meth, Esquire (left) with a law office in Freehold and Kristen S. Henninger, Esq. (right) of Kristen S. Henninger, Esquire, LLC and also an SJLS Board of Trustees Member for providing advice consultations in family law matters to our clients in Monmouth and Ocean Counties today through our Family Assist Project. Both David and Kristen have been volunteering with PAI for several years, assisting our clients with Chapter 7 bankruptcies and uncontested divorces, respectively. We are truly grateful for their willingness to help with the Family Assist Project as well. 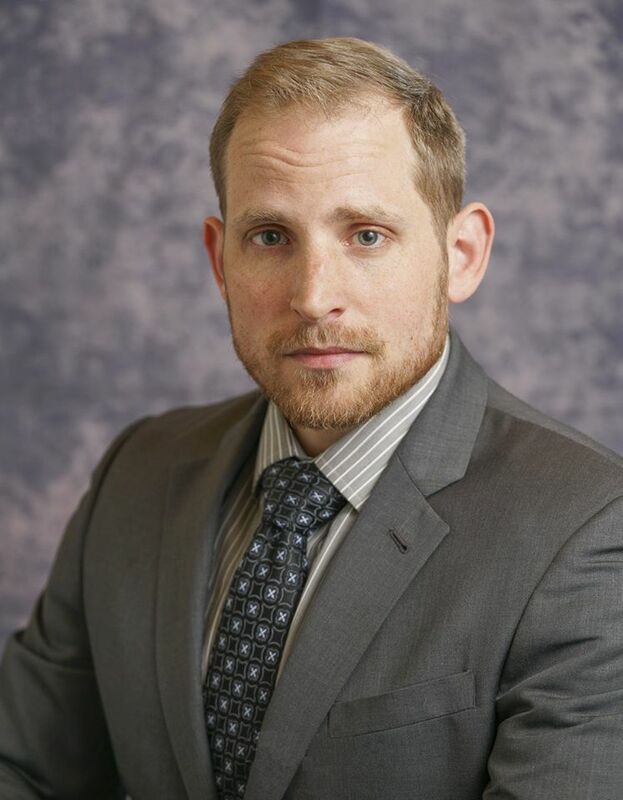 Thank you to Alex Faris, Esquire of Archer & Greiner PC for taking a pro bono Chapter 7 bankruptcy case through The Honorable Judith H. Wizmur Bankruptcy Pro Bono Project at Rutgers Law School in Camden. Mr. Faris met with the clients who live in Salem County in the Spring of 2018 and they received their discharge on November 9, 2018. Mr. Faris is an associate in the Bankruptcy, Restructuring, and Insolvency Litigation practice group at his firm. Prior to joining the firm, Alex clerked for the Honorable Richard R. Cooch, Resident Judge of the Superior Court of the State of Delaware in New Castle County. 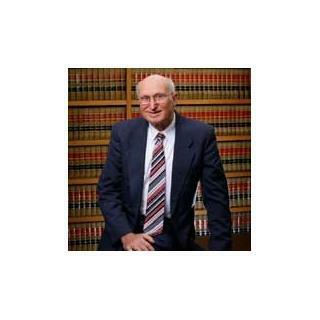 Thank you to longtime Private Attorney Involvement Program volunteer attorney Lawrence A. Brodsky, Esq. who conducted a debt seminar in our Atlantic City office. Mr. Brodsky met with clients to explain the debt collection process and then met with each client individually after the seminar. We are very grateful for his continued support and kindness to our clients. Thank you Larry! Also pictured are Kristine M. Carranceja-Gurski, Esq. SJLS Assistant Pro Bono Coordinator (left) and Michelle T. Nuciglio, Esq. SJLS Director of Pro Bono Services (right). 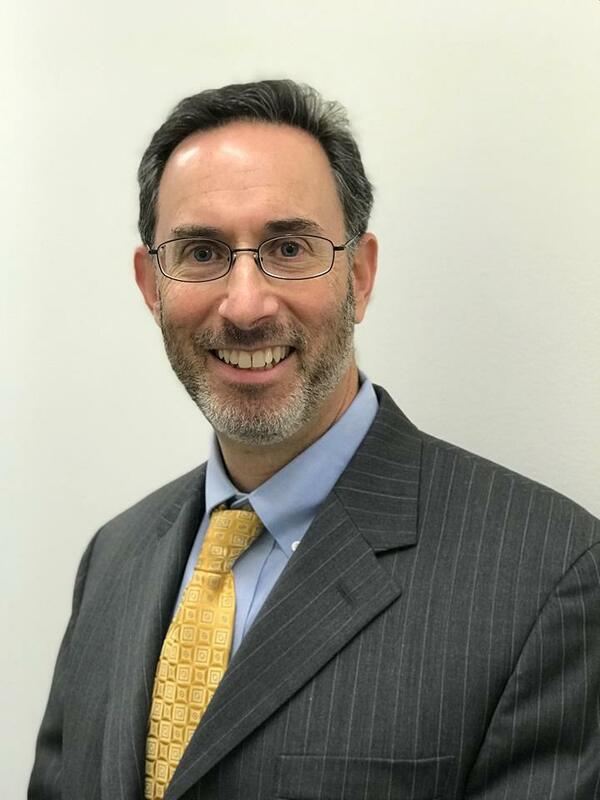 The SJLS Private Attorney Involvement Program would like to send thanks to Scott E. Kaplan, Esquire of Allentown for assisting a Spanish-speaking client in Ocean County with a Chapter 7 bankruptcy discharge. 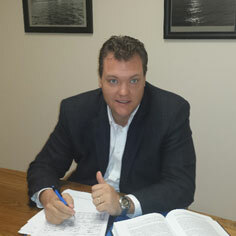 Mr. Kaplan graciously accepted two additional pro bono bankruptcy referrals after finishing his prior case. Mr. Kaplan’s firm also handles landlord and tenant issues, home foreclosures and real estate transactions. 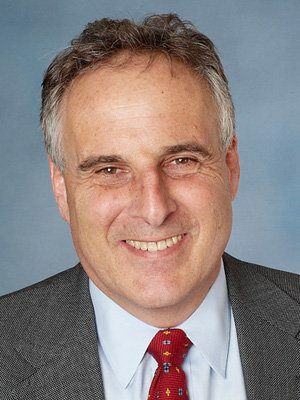 For more information on his practice, please visit Mr. Kaplan’s website at www.sekaplanlaw.com. Thank you once again from our Private Attorney Involvement Program to Chad Sherwood, Esq. 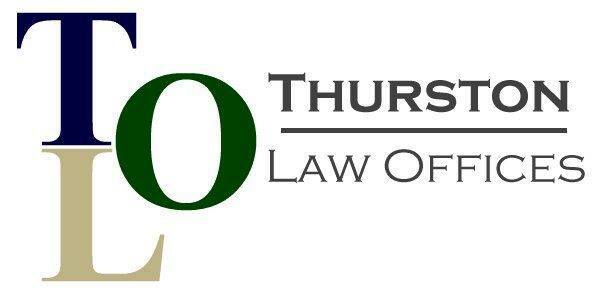 of the Law Office of Chad M Sherwood, LLC for always being willing to help when asked. Mr. Sherwood volunteered to handle a Chapter 7 bankruptcy this week pro bono for an Atlantic County senior who had been waiting months for assistance. Mr. Sherwood is always willing to help our clients and we are very thankful for his help! For more information on Mr. Sherwood, please visit the following: https://www.sherwoodlegal.com/. 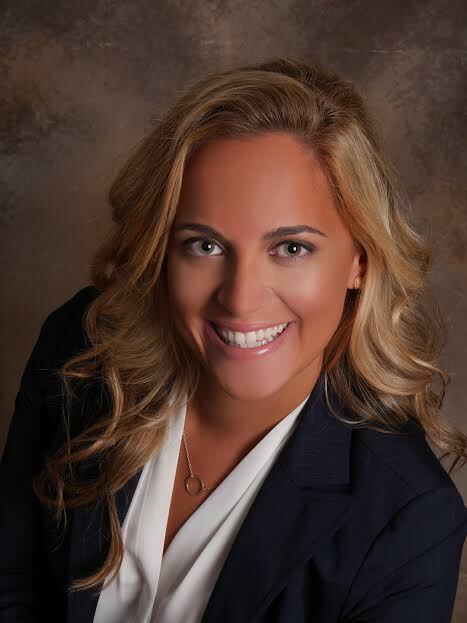 The SJLS Private Attorney Involvement Program is very thankful to Tara L. Hanna, Esq. and Jennie A. Owens, Esq. of Archer & Greiner PC for helping a Camden County senior citizen with a name change pro bono. The client was having great difficulty traveling because the name she was using was not accurately reflected on her social security card and other records. These attorneys helped her legally regain the name she had been using, which reflected the client's father's last name which was important to her. A Final Judgment was entered on October 8, 2018. We are especially proud of Ms. Hanna's work on this as she interned in our Private Attorney Involvement Program while in law school. Ms. Hanna recently stated that "Working as an intern for South Jersey Legal Services, Inc., specifically the Private Attorney Involvement Program (PAI), while a law student was an invaluable experience. My internship shed light on the great need for pro bono services for the South Jersey community, and the impact that private attorneys can have on those needs through PAI. Working now as a private family attorney, my memories working at Legal Services remind me of the immeasurable reward that private attorneys can experience when they lend their services and expertise to the community." 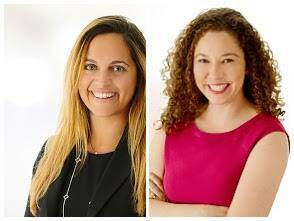 For more information on Ms. Hanna, Ms. Owens and their firm, please visit the following website: https://www.archerlaw.com/firm/. The SJLS Private Attorney Involvement Program thanks Tabatha L. Castro, Esq. for concluding a pro bono divorce for a low-income Camden County woman. The client had been waiting for quite some time and Ms. Castro volunteered to help. A Final Judgment of Divorce was recently entered. 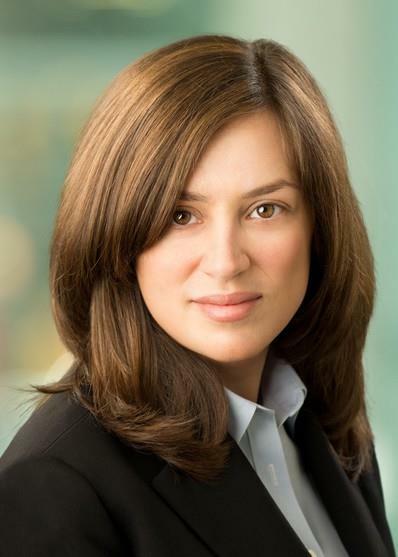 Ms. Castro recently joined our pro bono panel and we are happy that she did. 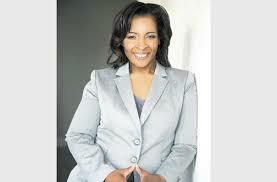 She is the President and Managing Attorney of The Castro Firm, Inc., a minority and woman-owned law firm. 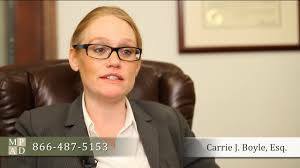 She is licensed to practice law in the states of Delaware and New Jersey. 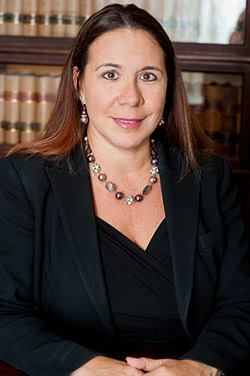 Ms. Castro is admitted to practice law before the United States Supreme Court, Federal District Court of Delaware, Delaware Supreme Court and New Jersey Supreme Court. For more information on Ms. Castro and her firm, please visit the following website: http://thecastrofirm.com/. The SJLS Private Attorney Involvement Program thanks Daniel Siedman, Esq. of Ciardi Ciardi & Astin in Philadelphia for recently concluding a pro bono Chapter 7 bankruptcy case. The client, a Camden County senior citizen, was very upset because of her large amount of credit card debt. Mr. Siedman volunteered to take her case on a pro bono basis and she received her discharge on October 19, 2018. Mr. Siedman has been helping low-income people with Chapter 7 bankruptcies through our pro bono program since 2012 and we are very thankful for his help. 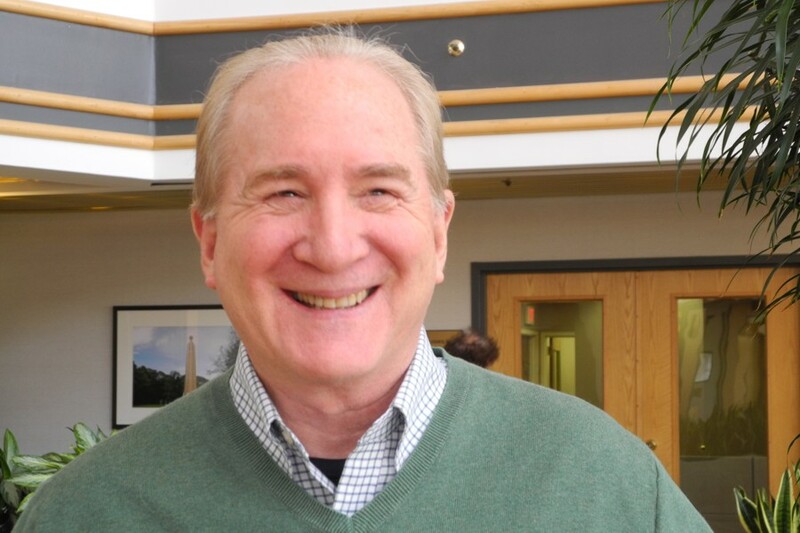 For more information on Mr. Siedman, please visit the following website: https://www.ciardilaw.com/daniel-siedman.asp. The SJLS Private Attorney Involvement Program thanks David W. Huang, Esq. of Evan F. Nappen Attorney At Law, PC for his extraordinary support of The SJLS Expungement Project. Mr. Huang has been a supporter of this project since 2015 and this week alone volunteered to accept four pro bono cases for low-income people in our service area who need help with expungements. We are thankful for the many clients he has helped clear their records and get a fresh start in life. 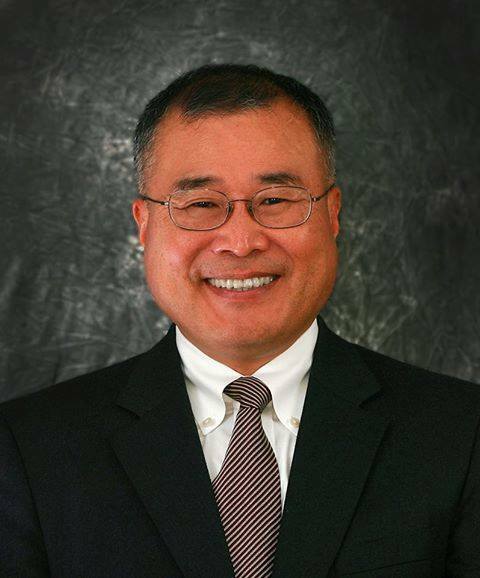 Mr. Huang currently focuses on rights restoration in three jurisdictions, ranging from: criminal expungements, juvenile sealings, medical record expungements, executive clemency, certificates of relief from disabilities, pardons, and the like. Please visit http://www.evannappen.com/ for more information on Mr. Huang and his firm. The SJLS Private Attorney Involvement Program sends a heartfelt thanks to Caroline Petrilla, Esquire. Ms. Petrilla accepted a pro bono referral earlier this year for a child whose application for Supplemental Security Income (SSI) was denied. Thanks to Ms. Petrilla’s thorough analysis of the medical documentation provided by the child’s mother and advocacy on the child's behalf, the child was determined to be disabled by the Social Security Administration. Ms. Petrilla’s practice focuses on mediation in civil, general equity and probate matters. The SJLS Private Attorney Involvement Program thanks Marta Cruz Gold, Esquire for helping an 80 year old, low-income Burlington County woman with a pro bono Chapter 7 bankruptcy. The client had a large amount of credit card debt and loans which were causing her a great deal of anxiety. Ms. Gold filed a Chapter 7 bankruptcy on the client's behalf and the client received a discharge on September 27, 2018. We are very happy that Ms. Gold is willing to help when needed - THANK YOU. For more information on Ms. Gold and her firm, please visit the following website: http://www.elegalfirm.com/. The SJLS Private Attorney Involvement Program thanks David R. Drake, Esq. of Drake Law Firm PC - Attorneys at Law in Absecon for concluding a pro bono divorce for a low-income Cape May county woman. The Drake Law Firm has been a supporter of our Divorce Project for several years and we are very grateful for their support. For more information on the Drake Law Firm, please visit www.drakelawfirmpc.com. Thank you to Douglas S. Stanger, Esq. 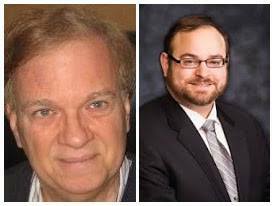 of Flaster Greenberg PC in Linwood for recently concluding a pro bono Chapter 7 bankruptcy for a low-income Atlantic County woman. The client contacted our office because she had credit card debt and was concerned about losing her home. With Mr. Stanger's help, the client's Discharge Order was entered on August 10, 2018. Thank you to Mr. Stanger and attorneys like him who consistently volunteer their time to give individuals a fresh start through bankruptcy. For more information on Mr. Stanger, please visit https://www.flastergreenberg.com/people-Douglas_Stanger.html. The SJLS Private Attorney Involvement Program thanks Carrie Boyle, Esq. of Boyle & Valenti Law, P.C. in Haddonfield for concluding another pro bono bankruptcy through The Honorable Judith H. Wizmur Bankruptcy Pro Bono Project at Rutgers Law School in Camden. Ms. Boyle has been volunteering with this project since 2012 and also participated in the project while she was a law student. Ms. Boyle is very kind to our clients and sensitive to the issues they face. We are proud that she chooses to volunteer with us! For more information on Ms. Boyle and her firm, please visit the following website: http://b-vlaw.com/. The SJLS Private Attorney Involvement Program thanks Jonathan C. Herron, Esq. of The Herron Law Firm, LLC for volunteering to help a Burlington County low-income man with a bankruptcy through The Honorable Judith H. Wizmur Bankruptcy Pro Bono Project at Rutgers Law School in Camden. Mr. Herron has been on our attorney volunteer panel since 2017 and we are very grateful that he chooses to share his expertise to help those in need. For more information on Mr. Herron and his firm, please visit the following website: https://herronesq.com/. The SJLS Private Involvement Program thanks Laurie Bahr, Esq. of Gramm & Bahr LLC in Northfield for concluding a pro bono guardianship. The mother contacted our office to obtain guardianship over her disabled daughter who would soon be 18 years old. Ms. Bahr enthusiastically agreed to assist through The SJLS Guardianship Project for Children and attended the hearing during which a Judgment of Incapacity was entered. We are very grateful for Ms. Bahr's willingness to help this family. For more information on Ms. Bahr and her firm, please visit the following: https://www.lauriejbahr.com/. Thank you to Rachelle Ann Waitz, Esq. (pictured left) of the Law Offices of Rachelle Ann Waitz and Nancy Morgenstern, Esq. (pictured right) of Morgenstern & Rochester - A Partnership of LLCs for their dedication to our Family Assist Project. Ms. Waitz and Ms. Morgenstern volunteered in our Camden office yesterday and gave pro bono 30 minute advice consultations to clients with issues such as removal, grandparent rights, custody and support. Both of these attorneys treat our clients with dignity and respect and often go above and beyond in the help they provide. A former client whom Ms. Morgenstern met with through this project in July made a special trip to our office yesterday to say that his case worked out "better than I could have hoped for" and he said it was due to the advice he received. Thank you to these dedicated volunteers! The SJLS Private Attorney Involvement Program thanks Robert C. Thurston, Esq. for concluding a pro bono divorce today for a low-income Camden County woman. The parties had been separated for over 30 years and the client was anxious to get divorced. Mr. Thurston attended the hearing with the client today and a Judgment for Divorce was entered. For more information on Mr. Thurston, please visit the following websites: http://thurstonlawpc.com/ and http://schoolkidslawyer.com/. Many thanks to Talbot Kramer, Esq. of Freidel & Kramer, P.C. in Turnersville for volunteering to help a couple who was in danger of losing their home to foreclosure. The parties successfully completed their trial modification plan and a Voluntary Dismissal was recently filed by the attorney for the foreclosing entity as the matter was amicably resolved. Great work! For more information on Mr. Kramer and his firm, please visit the following website: http://www.freidelkramerlaw.com/index.htm. Law Office of Stephanie Albrecht-Pedrick, Esq. The SJLS Private Attorney Involvement Program thanks New Jersey Bankruptcy Law Practice / Lee Perlman for the firm's generous support of our pro bono program. The firm agreed to accept two pro bono bankruptcies today for low-income individuals who have been waiting several months for help. We appreciate their help when needed and for their long-standing support! For more information on the firm, please visit the following website: https://www.newjerseybankruptcy.com/. Thank you from the SJLS Private Attorney Involvement Program to Daniel A. Frischberg, Esq. of the The Law Office of Andrew B. Finberg, LLC in Marlton for recently concluding a Chapter 7 pro bono bankruptcy for a low-income Burlington County woman. The client contacted our office earlier in the year because she was overwhelmed with credit card debt. Mr. Frischberg helped her and she received her Discharge Order in July. 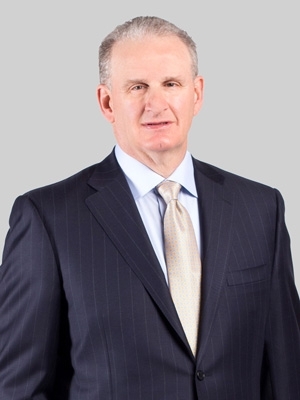 Mr. Frischberg is a 2014 Legal Services of New Jersey Equal Justice Medal Recipient for his efforts in helping the low-income population in New Jersey. 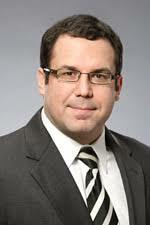 Please see the following website for more information on Mr. Frischberg and his firm: https://www.sjbankruptcylaw.com/daniel-frischberg-esq/. The SJLS Private Attorney Involvement Program thanks Christopher Stanchina, Esq. of The Law Office of Christopher Stanchina, LLC for concluding a guardianship pro bono case through The SJLS Guardianship Project for Children. Mr. Stanchina accepted a case for a child who was diagnosed with Autism Spectrum Disorder and who would never be able to take care of himself once he turned 18. The court entered a Judgment declaring the child's parents his legal guardians. Thank You to this attorney who was willing to help this family. Tamika Wyche, Esq. of the Law Office of David Paul Daniels in Camden, New Jersey continues to help low-income people in our service area with pro bono Chapter 7 bankruptcies. Ms. Wyche concluded a case yesterday and accepted two new cases today for Camden County residents. Ms. Wyche enthusiastically has volunteered with our program for several years and we are thankful for her support. Thank You J. Patrick McShane, Esq.! The SJLS Private Attorney Involvement Program thanks J. Patrick McShane, III, Esq. and his Assistant, Mary Ann Feeley, of Forkin, McShane, Manos & Rotz, P.A. for concluding a pro bono divorce for a Camden County senior. Mr. McShane appeared at the hearing and the Final Judgment of Divorce was recently granted. We thank Mr. McShane and his office for their hard work on behalf of this client. For more information on Mr. McShane and his firm, please visit the following website: https://www.fmmrfamlaw.com/attorney-prof…/j-patrick-mcshane/. The SJLS Private Attorney Involvement Program would like to thank Rachelle Waitz-Moskowitz, Esq. for her tireless efforts in our Family Assist Project. Recently, Ms. Waitz-Moskowitz met with a grandmother who had custody of her granddaughter. The child's mother was trying to regain custody but had some issues which likely would prevent her from doing so. Ms. Waitz-Moskowitz not only met with the grandmother through our project but also represented the grandmother after the advice appointment. Ms. Waitz-Moskowitz helped negotiate a Consent Order between the parties which was entered on June 18th thereby avoiding litigation. We thank this attorney for giving so generously of her time month after month to help individuals who need family law assistance. The SJLS Private Attorney Involvement Program thanks Maria Manganaro, Esq. for concluding a pro bono divorce through our Divorce Project. Ms. Manganaro experienced some difficulties with the case but persisted in order to get the client divorced. Ms. Manganaro even drafted a property settlement agreement for the client in order to protect the client's rights. A Final Judgment of Divorce was entered today. Thank you, Ms. Manganaro, for going above and beyond to help this client! Thank you to John R. Tatulli, Esq. of the Law Offices of John R. Tatulli in Shrewsbury for concluding another pro bono expungement through our Expungement Project. Mr. Tatulli is passionate about helping people get a fresh start in life and we are grateful that he is so willing to help. Thank you also to Cindy Clayton, Paralegal, for her dedication to this project as well. For more information on Mr. Tatulli and his firm, please visit the following website: http://www.tatullilaw.com/. Thank you to William J. DeSantis, Esq. and Sadé Calin, Esq. of Ballard Spahr LLP in Cherry Hill for their victory in a children's Supplemental Security Income appeal case. Mr. DeSantis accepted this case for pro bono representation in 2015. The child's parent stated that the child had many serious learning issues caused by his Attention Deficit Hyperactivity Disorder. Mr. DeSantis dealt with many obstacles as he worked through the case, most notably issues with obtaining necessary records to prove the child's disability claim. Ms. Calin joined in the case in 2017 and was very enthusiastic and willing to help fight for this child. The administrative law judge ruled that the child not only has a severe impairment but has been under a disability since 2015 which will result in a large retroactive payment for this child. Thank you to these attorneys who were so willing to share their time to help this family. The SJLS Private Attorney Involvement Program thanks Jennifer Iseman, Esq. of Obermayer Rebmann Maxwell & Hippel LLP in Cherry Hill for her support of our volunteer attorney programs. 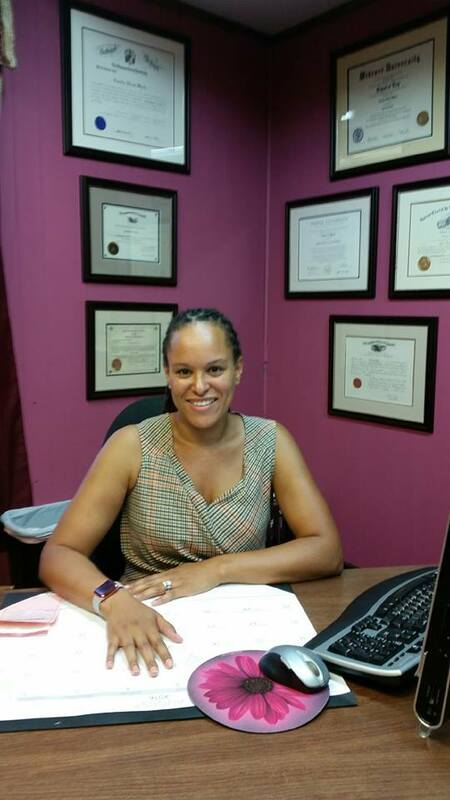 Ms. Iseman has given 30-minute advice consultations to victims of domestic violence and, this week, accepted an uncontested divorce through our Divorce Project for a low-income Camden County woman. We appreciate your support! For more information on Ms. Iseman and her firm, please visit the following website: http://www.obermayer.com/attorneys/jennifer-iseman/. Nancy Morgenstern, Esq. of Morgenstern & Rochester - A Partnership of LLCs is in our Camden office giving 30-minute advice consultations through our Family Assist Project. Thank you to her for spearheading this project and for volunteering month after month! Pictured below are Nancy Morgenstern, Esq. and Michelle T. Nuciglio, Esq. SJLS Director of Pro Bono Services. Thank you Andrew Rochester, Esq. of Morgenstern & Rochester - A Partnership of LLCs for donating your mornings to give 30-minute advice consultations to clients in our Mt. Holly office. We couldn't do it without your generous help and expertise! Pictured are Andrew Rochester, Esq. and Michelle T. Nuciglio, Esq. SJLS Director of Pro Bono Services. The SJLS Private Attorney Involvement Program thanks John P. Montemurro, Esq. of the Law Office of John P. Montemurro in Marlton for contacting us and requesting to help another low-income individual receive a divorce. Mr. Montemurro is a consistent volunteer with our program and we are especially grateful that he contacts us when he can help. The SJLS Private Attorney Program (PAI) is very thankful for the continuing contributions of Trinna Rodgers, Esq. Ms. Rodgers retired from a dedicated career at South Jersey Legal Services, Inc. last year and has volunteered since her retirement through our PAI Expungement Project. Ms. Rodgers has reviewed the criminal records of seventeen clients and we are so grateful for her help as there are so many individuals who need this assistance. Ms. Rodgers brings dedication, respect and kindness to her pro bono clients and we cannot thank her enough! Thank you to Rob Thurston, Esq. 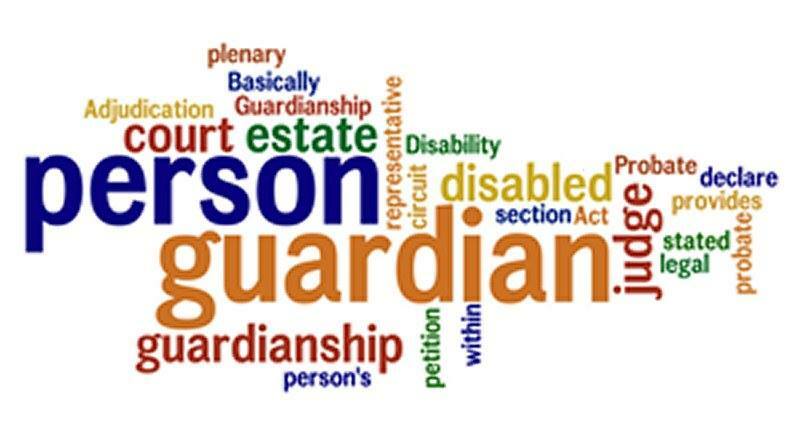 of School Kids Law and Thurston Law Offices for helping a single mother obtain guardianship over her disabled child through the SJLS Private Attorney Involvement Program's Guardianship Project for Children. Despite some issues obtaining the requisite documentation from the child's school and physicians, Mr. Thurston continued to advocate for this child and mother. Today, a Judgment of Incapacity and Appointment of Guardian(s) of the Person and Estate was entered. Pictured below are Mr. Thurston and his client (client pictured with permission). Mr. Thurston is a tireless advocate for children with special needs and we are grateful that he volunteers his time and expertise with our program. For more information on Mr. Thurston and his practice, please visit the following websites: http://thurstonlawpc.com/ and http://schoolkidslawyer.com/. 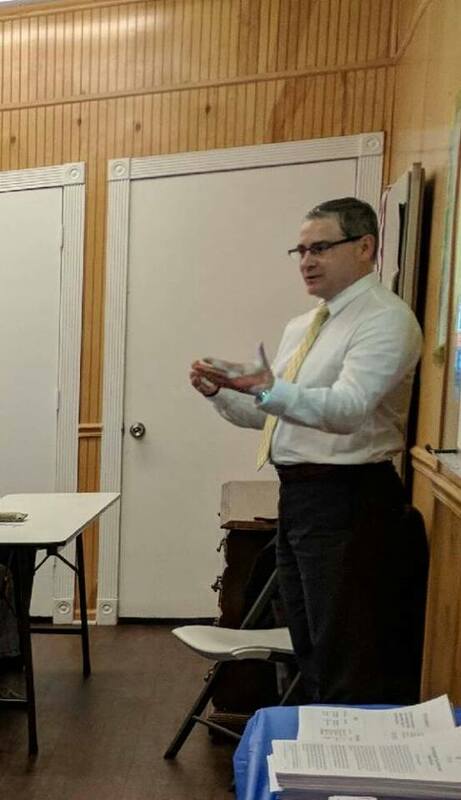 Many thanks to John Tatulli, Esquire who gave an expungement presentation at the Community Affairs and Resource Center in Asbury Park, New Jersey. Mr. Tatulli talked about what crimes are eligible for expungement and the process. He answered questions from attendees and gave thoughtful answers. He is very enthusiastic about our Expungement Project and is kind and caring to all our clients. As there are many people who need expungements, we are grateful for his willingness to continue to volunteer his time both with taking cases for representation and also with educating the community. For more information on Mr. Tatulli, please visit his Facebook and LinkedIn pages at https://www.facebook.com/john.tatulli.9 and https://www.linkedin.com/in/john-tatulli-9603925. The SJLS Private Attorney Involvement Program thanks Devon McKee, Esq. 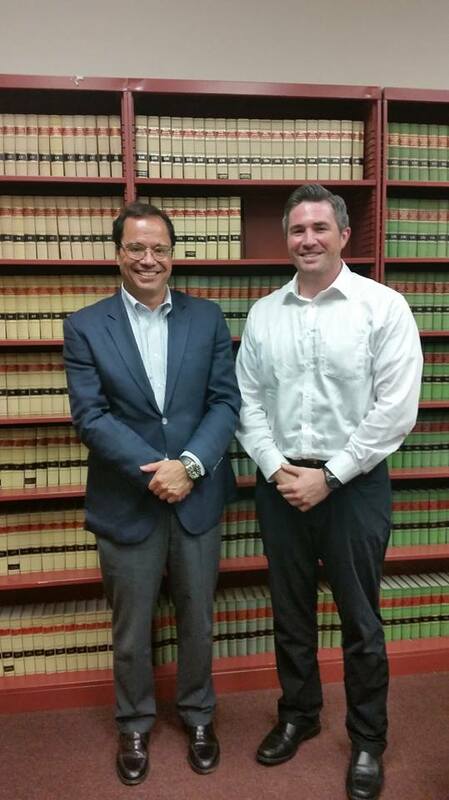 of Collins Vella & Casello, LLC in Manasquan for accepting two pro bono bankruptcies. We are very thankful for the support of this firm in assisting the low-income population in South Jersey. For more information, please visit http://www.cvclaw.net/Law-Firm-Our-Attorneys-Farmingdale-NJ.html. Thank you to Ed Wiercinski, Esq. of the Law Office of Edward R Wiercinski for concluding a Chapter 7 pro bono bankruptcy for a woman who had credit card debt and loans that were overwhelming. The client received a discharge of her debts on May 11, 2018 and we are very thankful for Mr. Wiercinski's help. 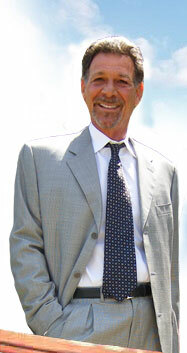 Please visit http://www.affordablebankruptcynj.com/home.html for more information on Mr. Wiercinski and his firm. Thank you from the SJLS Private Attorney Involvement Program to Kevin J. Barnes, Esq. for concluding a pro bono Chapter 7 bankruptcy for a low-income couple in Cape May County. Mr. Barnes graciously agreed to help this couple who had credit card debt that they could not repay. Mr. Barnes helped the clients get a fresh start and a discharge order was entered on May 11, 2018. Mr. Barnes' firm concentrates on bankruptcy, tax resolution, estate planning and real estate. For more information on Mr. Barnes and his firm, please visit http://www.ocnjlaw.com/about.html. Through our Private Attorney Involvement Program, Kelly M. Newman, Esq. of the Law Offices of Lynda L. Hinkle, LLC helped a low-income Camden woman with a civil dissolution. Ms. Newman often assists with divorces and civil dissolution matters in various counties and also with our Family Assist Project and we are very thankful for her help. For more information on Ms. Newman's firm, please visit the following website: https://www.lyndahinkle.com/about/. 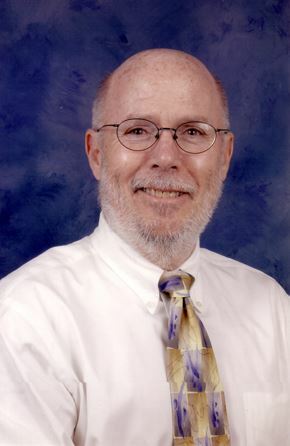 In 2014, Edward L. Paul, Esq. was awarded an Equal Justice Medal for his extraordinary pro bono contributions to South Jersey Legal Services, Inc. Mr. Paul has been a supporter of our bankruptcy project for many years before he received the award and has continued his support since. He consistently takes 4-5 cases per semester through The Honorable Judith H. Wizmur Bankruptcy Pro Bono Project at Rutgers Law School in Camden. Mr. Paul concluded a case this week for a low-income Camden resident. 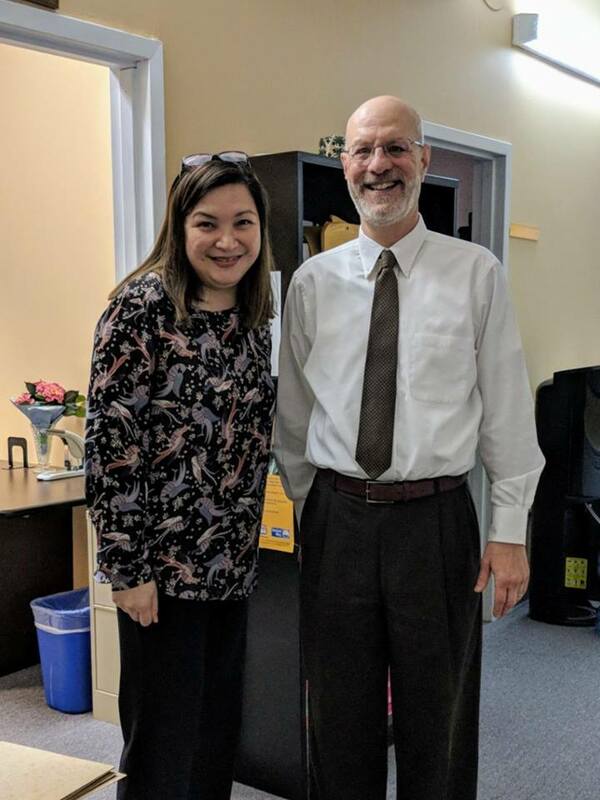 Our Private Attorney Involvement Program is thankful for Mr. Paul's long-standing support and also for the support of his office staff including Veronica Buckley, Legal Assistant. Please visit http://paulandkatzlaw.com/ for more information on the firm. 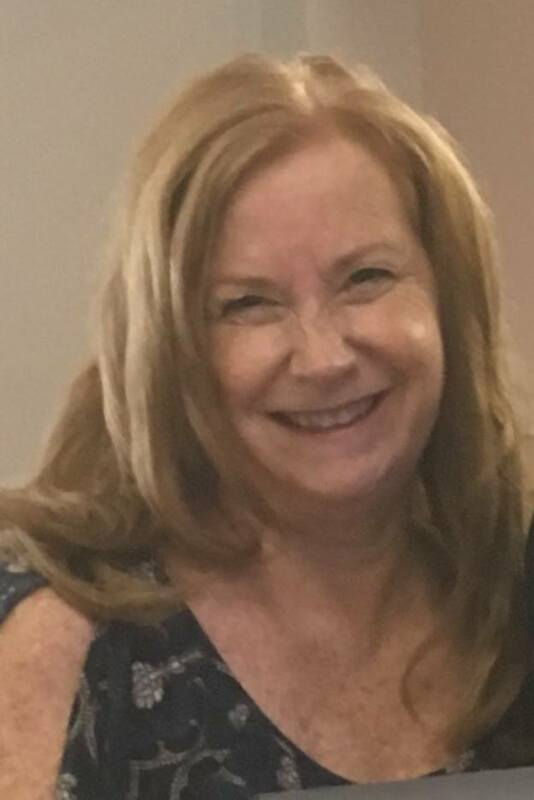 The SJLS Private Attorney Involvement Program (PAI) thanks Jean DeAngelis, Sr. Legal Secretary in our Woodbury office, for consistently assisting with our Family Assist Project advice appointments each month. We also thank Nick Yurick, Esq. of the Law Offices of Andrew N. Yurick in Woodbury, who often volunteers to share his time to give family law advice. Ms. DeAngelis greets the attorneys and clients and has the clients sign the relevant paperwork required to meet with the attorney. She is always willing to help out, even in the midst of all the other tasks she has to do throughout the day. We are very appreciative of Ms. DeAngelis' positive attitude and willingness to pitch in to help PAI. Mr. Yurick always is willing to help as well, and often with little notice for clients who contact us shortly before the monthly appointment date. THANK YOU to both of these dedicated advocates for the low-income population in their communities. 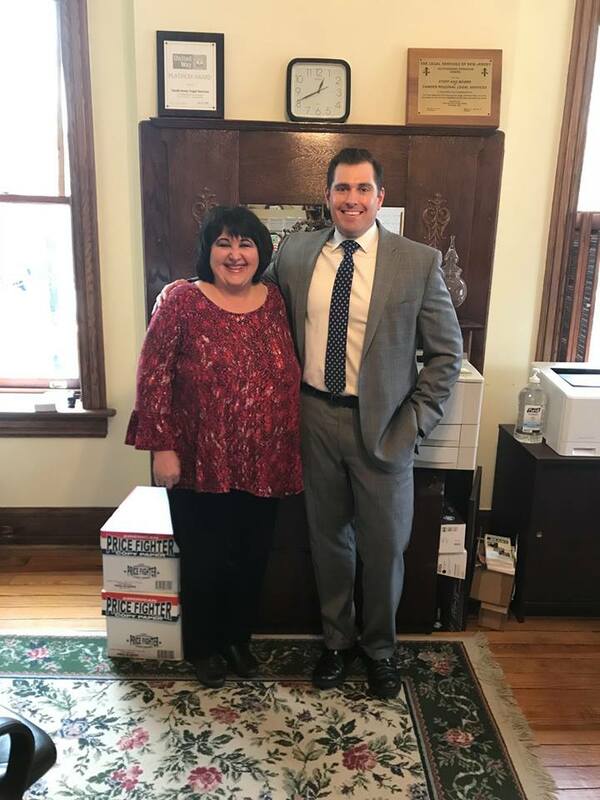 Ms. DeAngelis is pictured below with volunteer attorney Nick Yurick, Esq. See http://yuricklawoffices.com/ for more information on Mr. Yurick's firm. The SJLS Private Attorney Involvement Program thanks Ernest Aponte, Esq. for accepting a Chapter 7 bankruptcy referral for an Atlantic County resident. 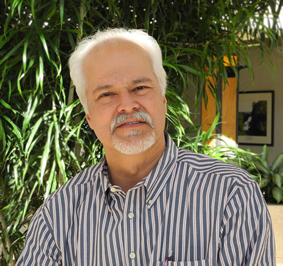 Mr. Aponte has been an active volunteer with our program since 2009, helping our clients obtain a fresh start. Mr. Aponte also handles matters in criminal defense and social security disability. For more information about Mr. Aponte and his practice, please visit http://ernietheattorneylaw.com/. The SJLS Private Attorney Involvement Program thanks John J. LoSordo, Esq. for accepting a pro bono expungement this week. 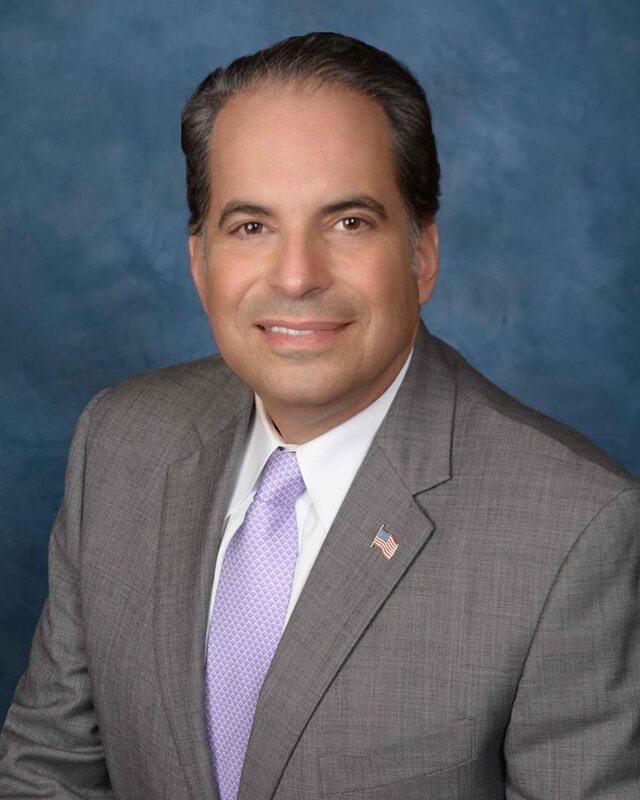 Mr. LoSordo has volunteered to help low-income people in Ocean and Monmouth counties with Chapter 7 bankruptcy assistance over the last two years. We are happy that he has enthusiastically volunteered to represent someone who needs an expungement and who could not otherwise afford an attorney. Thank You. 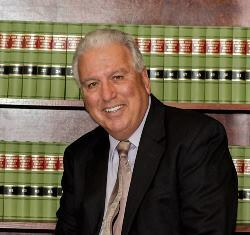 For more information on Mr. LoSordo and his firm, please visit www.jlosordolaw.com. The SJLS Private Attorney Involvement Program thanks Alan Domers, Esq. of Domers Bonamassa & Hynes, PC in Marlton for concluding an uncontested divorce through the SJLS Divorce Project. Mr. Domers has volunteered with our program for many years and also participates in our Family Assist Project which provides 30-minute family law advice appointments to family law attorneys. We are very grateful for this attorney's willingness to consistently volunteer his time. For more information on Mr. Domers and his firm, please visit the following website: http://dbhlawfirm.com/. 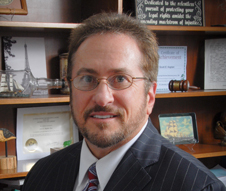 Many and continued thanks from our Private Attorney Involvement Program to David C. Epler, Esq. for concluding an uncontested divorce through the SJLS Divorce Project for a low-income Camden County woman this week. 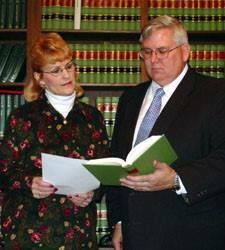 Mr. Epler has assisted countless clients with divorces for over three decades. He ALWAYS asks for another case when he concludes one because he believes that a lawyer should always have at least one pro bono case open in his or her office at any given time. If you are an attorney willing to take an uncontested, no issue divorce for pro bono representation (if any issues develop at all, the attorney may send the case back for closure), please contact Michelle T. Nuciglio, Esq. SJLS Director of Pro Bono Services, at 856-964-2010 ext. 6229 or at MNuciglio@lsnj.org or Kristine Carranceja-Gurski, Esq. SJLS Assistant Pro Bono Coordinator, at 732-414-6750 ext. 6516 or at KCGurski@lsnj.org (for attorneys wanting to volunteer in Monmouth or Ocean counties). Thank you from the SJLS Private Attorney Involvement Program to volunteer attorney Steven B. Sacharow, Esq. of Flaster Greenberg in Cherry Hill for concluding a divorce for a Camden County low-income woman this morning. Mr. Sacharow has extensive family law experience, and we are proud that he has chosen to volunteer with us. Mr. Sacharow also immediately volunteered to accept another pro bono case and we are very thankful. The SJLS Private Attorney Involvement Program and staff of our Atlantic City office thank James Gentile, Esq. for successfully obtaining a Final Restraining Order for an Atlantic County senior citizen. The client returned a note to our office, thanking Mr. Gentile, and stating that "Mr. Gentile made me feel comfortable and I felt assured I was going to receive the help I needed...The day of court I was an emotional wreck. 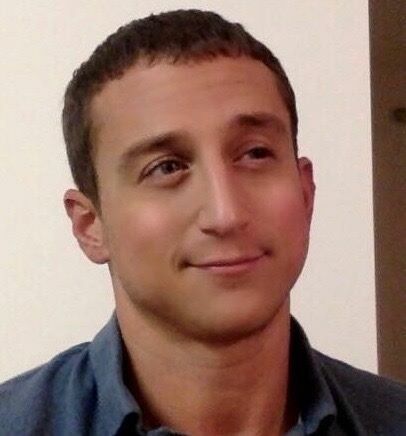 [Mr. Gentile] talked me down and...explained how my composure was extremely necessary to obtain the necessary result. He assured me I was able to do this task...I have nothing but compliments for his much needed help." Thank you very much to Mr. Gentile who volunteers his time generously. Great work! Many thanks to Robert A. Gleaner, Esq. in Audubon, New Jersey for concluding two pro bono divorces this week. Mr. Gleaner always takes more than one case at a time, and always handles the cases quickly and professionally. Our Private Attorney Involvement Program is very, very thankful for his long-standing support. Please see http://www.ragpc.com/ for more information on Mr. Gleaner's firm. The SJLS Private Attorney Involvement Program thanks Richard A. DeMichele, Jr., Esq. of DeMichele & DeMichele, P.C. for recently concluding two pro bono divorces through our Divorce Project for low-income individuals in Burlington and Gloucester counties. Through the SJLS Divorce Project, low-income people throughout our service area receive the assistance of volunteer attorneys willing to help them with uncontested divorces that do not have any issues. Mr. DeMichele has supported this project for many years and we thank him on behalf of all the people he has helped. 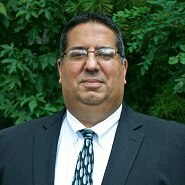 For more information on Mr. DeMichele and his firm, please visit: http://southjerseylawfirm.com/blog/. The SJLS Private Attorney Involvement Program thanks John G. Holl, Esquire for his assistance with the SJLS Expungement Project. Mr. Holl has accepted five cases in the last six months and assisted our clients by reviewing their records for expungement eligibility and representing those who have records which are eligible to expunge. Mr. Holl recently retired after 33 years of prosecutorial and victim assistance experience with the NJ Attorney General's Office. While at the NJ Attorney General’s Office, he served as the Deputy Director and Chief of Staff of the Division of Criminal Justice, the Bergen County Prosecutor (Acting), the State Director of Drug Policy, the Director of Division of ABC, the Executive Assistant Attorney General, the Director of the Governor's Office of Recovery and Victim Assistance (9/11 response program), and the Deputy Director of the Victims of Crime Compensation Office. We are very grateful for Mr. Holl’s willingness to volunteer his time to our program and to assist our clients who cannot otherwise afford legal assistance. Thank you! Thank you from the SJLS Private Attorney Involvement Program to Joel R. Spivack, Esq. who assisted four low-income clients last semester through The Honorable Judith H. Wizmur Pro Bono Bankruptcy Project at Rutgers Law School in Camden. Mr. Spivack is a long-time supporter of this project which helps low-income people file for Chapter 7 bankruptcy. We are grateful for his continued support and for his volunteering to help those who cannot otherwise afford an attorney. For more information on Mr. Spivack and his firm, please visit https://www.spivacklaw.com/. The SJLS Private Attorney Involvement Program thanks David L. Alba, Esq. for volunteering to help an Ocean County low-income person with a pro bono Chapter 7 bankruptcy. The client contacted our office due to a large amount of credit card and medical debt and she could not afford an attorney to help her. We are thankful for Mr. Alba's generosity. For more information on Mr. Alba and his firm, please visit the following: https://www.albalawyer.com/. The SJLS Private Attorney Involvement Program thanks Jill Friedman, Associate Dean for Pro Bono and Public Interest at Rutgers Law School in Camden (pictured right), and Pam Mertsock-Wolfe, Director, Pro Bono and Public Interest Program at Rutgers Law School in Camden (pictured left), for their long-standing support of our clients through The Honorable Judith H. Wizmur Bankruptcy Pro Bono Project. We are very appreciative of the hard work that goes into the daily activities (scheduling attorneys and clients, addressing issues that come up throughout the semester, organizing trainings and appreciation events for everyone involved) that have made this project a success since 1993. Thank You both! The SJLS Private Attorney Involvement Program thanks Andrew J. Kelly, Esq. of The Kelly Firm in Spring Lake for volunteering to help a low-income Ocean County client with a Chapter 7 bankruptcy. 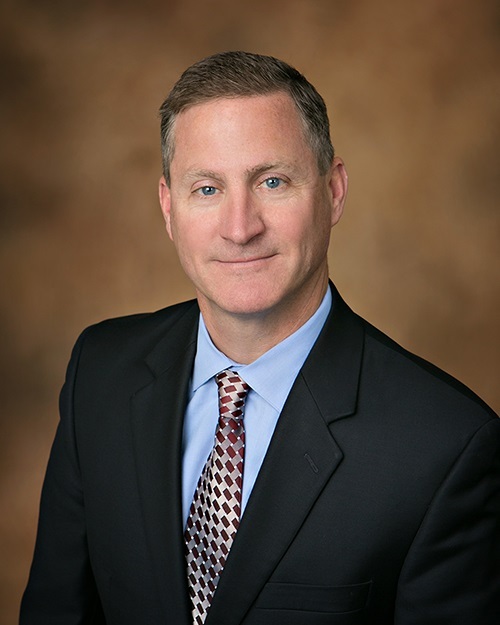 Mr. Kelly is the founding member of his firm, and concentrates his practice on bankruptcy, commercial litigation and commercial real estate. 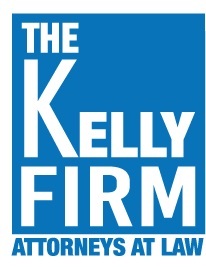 For more information on Mr. Kelly and his firm, please visit the following website: http://thekellyfirmnj.com/andrew-j-kelly/. The SJLS Private Attorney Involvement Program thanks Charlene Cathcart, Esq. with a law office located in Audubon, NJ for assisting a Camden County resident with a pro bono divorce. Ms. Cathcart has been a long-time supporter of our pro bono program and has helped many clients with divorces who could not afford to hire an attorney. For more information on Ms. Cathcart and her firm, please visit http://charlenecathcart.com/. Many thanks to David A. Thatcher, Esq. of Thatcher Passarella P.C. in Turnersville for assisting a low-income Camden woman with a divorce. Mr. Thatcher has been on our pro bono panel for many years and is always willing to help when asked. He has a general practice which includes Personal Injury, Family Law/Divorce, Civil and Commercial Litigation, Elder and Estate Law, Municipal Court, Local Land Use and Real Estate Law. On behalf of his most recent pro bono client and the many other clients he has helped over the years who otherwise would not have been able to afford an attorney, we say Thank You. Please visit https://www.thatcherpassarella.com/ for more information on Mr. Thatcher's firm. Many thanks to Phillip L. Lucas, Esq. in Brick for accepting a pro bono Chapter 7 case for an Ocean County senior client. The client was anxious to have a fresh start and to end the continuous harassment from creditors. 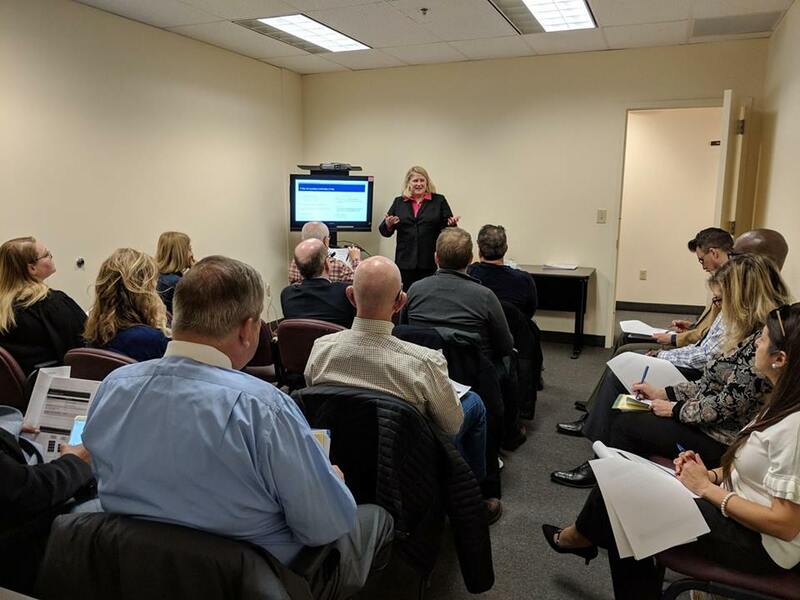 Ballard Spahr Attorneys Giving Low-Income People Second Chances On Monday, the SJLS Private Attorney Involvement Program (PAI) presented a CLE at Ballard Spahr LLP in Cherry Hill. Volunteer attorney Murray Honig, Esq. of Honig & Greenberg, LLC in Cherry Hill and his paralegal, Amy Holmes, spoke on expungement eligibility, procedural requirements and the newly enacted law. Those in attendance asked thoughtful questions and were excited to participate in The SJLS Expungement Project by each taking a case for pro bono representation at the conclusion of the training - a total of 10 cases were accepted! PAI is extremely thankful to Mr. Honig and Ballard Spahr LLP for sharing so much of their time and for everyone who helped make this CLE a success. 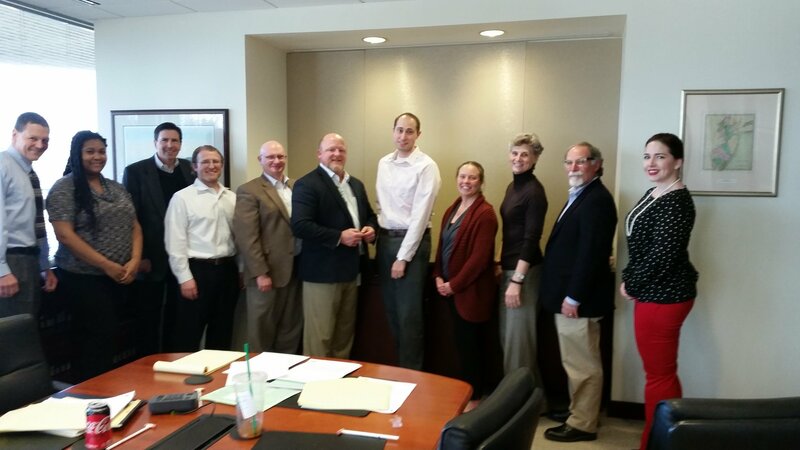 Pictured from left to right are Stephen Stigall, Esq., Sadé Calin, Esq., William DeSantis, Esq., Joseph W. Weill, Esq., David A. Haworth, Esq., Neal Walters, Esq., Casey G. Watkins, Esq., Amy L. Bashore, Esq., Denise Keyser, Esq., Murray Honig, Esq. and Amy Holmes (not pictured but in attendance were also William Reiley, Esq. 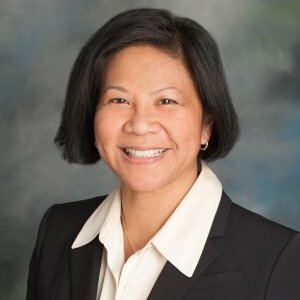 of Ballard Spahr LLP, Kristine Carranceja-Gurski, Esq. SJLS Assistant Pro Bono Coordinator, and Michelle T. Nuciglio, Esq. SJLS Director of Pro Bono Services). Thank You from the SJLS Private Attorney Involvement Program to Donald Elsas, Esq. for concluding another divorce for a low-income individual in our service area. Mr. Elsas has been a volunteer for many years and gives of his time generously. Thank You. 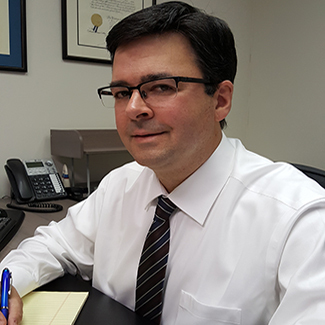 Michael S. Di Croce, Esq. of Di Croce Law Office, PC in Shamong successfully helped a Burlington County woman expunge her criminal record. Mr. Di Croce worked through the case, despite many difficulties, and an Order to Expunge the Record was signed on January 22, 2018. The SJLS Private Attorney Involvement Program appreciates his dedicated efforts and his membership on the Burlington County Bar Association Lawyer Referral/Pro Bono/Legal Services Committee. 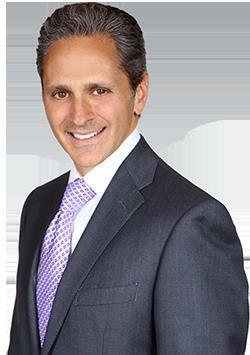 For more information on Mr. Di Croce, please visit http://www.sjticketlawyer.com/. He may also be contacted at mdclegal@comcast.net. 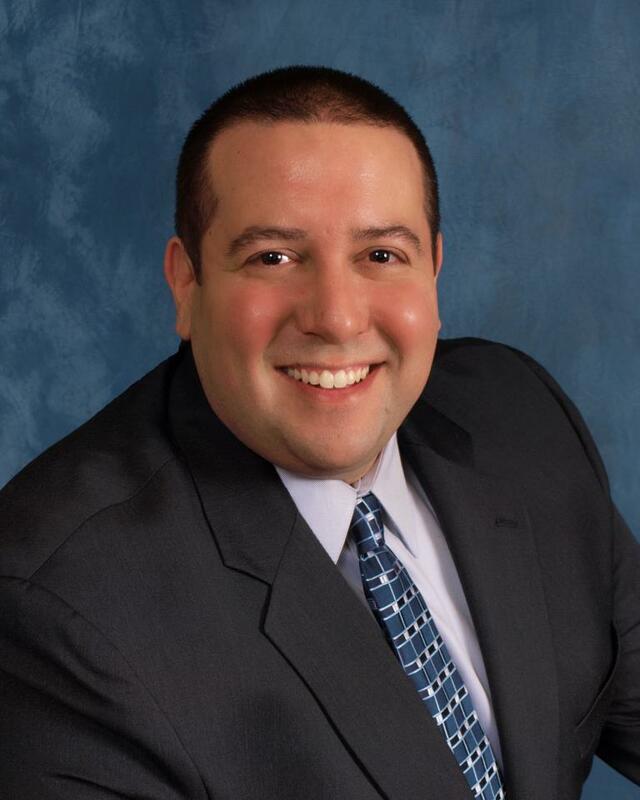 Through our Private Attorney Involvement Program, Nicholas G. Dramesi, Esq. of Dramesi Law Group volunteered to help a Gloucester County low-income woman in need of a divorce. The client had been waiting for help for quite some time and was anxious to get on with her life. Mr. Dramesi represented the client at her hearing when she obtained her Final Judgment of Divorce. Attorneys like Mr. Dramesi willing to volunteer their time are always needed. The SJLS Private Attorney Involvement Program thanks Christopher G. Cassie, Esq. of the Law Offices of Lee M. Perlman, Esq. 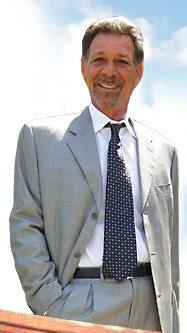 for his years of helping low-income individuals in South Jersey with bankruptcy assistance. Mr. Cassie is a supporter of The Honorable Judith H. Wizmur Pro Bono Bankruptcy Project at Rutgers Law School in Camden. 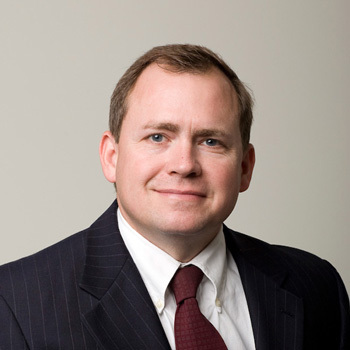 He acts as a mentor to law students and works with them to help our clients get bankruptcy relief. Most recently, Mr. Cassie concluded a pro bono bankruptcy through the project for a Camden County Spanish-speaking senior citizen who needed help. 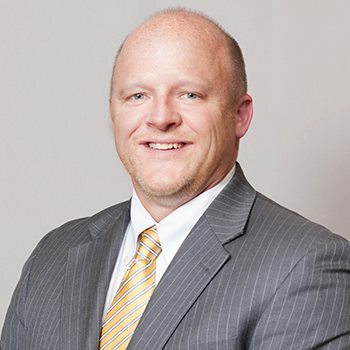 For more information on Mr. Cassie and his firm, please visit the following website: https://www.newjerseybankruptcy.com/#. The SJLS Private Attorney Involvement Program has been a partner with Ciardi Ciardi & Astin in Philadelphia for almost 10 years. Created by Ciardi Ciardi & Astin, the Military Assistance Project (MAP) is a non-profit organization established in 2011 to provide free legal services for active duty, reserve component, or veteran military personnel and their widow/spouses in the form of pro bono consumer and selected veteran’s administrative law services. Special thanks to Sheila Hughes, Esq. who has traveled many times to meet our clients in our various offices and who recently concluded several pro bono Chapter 7 bankruptcies for our clients who are veterans. http://militaryassistanceproject.org/. Thank you from the SJLS Private Attorney Involvement Program to Robert A. Loefflad, Esq. for recently concluding two pro bono Chapter 7 bankruptcy cases. Because of attorneys like Mr. Loefflad, many low-income individuals in South Jersey have received bankruptcy assistance that would have been otherwise unavailable. Thanks also to Mr. Loefflad for his support for over 7 years. For more information on Mr. Loefflad and his firm, please visit the following: http://ffhlaw.webs.com/. Through our volunteer attorney program, Barbara Barclay Moore, Esq. responded to a call for help in September of last year. A seriously ill client contacted SJLS for assistance with a divorce. Ms. Moore responded immediately that she would help and she did. The client received his Final Judgment of Divorce on January 10, 2018. Ms. Moore is always generous with her time for those in need. Please visit the following website for more information on Ms. Moore and her firm: http://pufflaw.com/. The SJLS Private Attorney Involvement Program says THANK YOU to Kurt Reinheimer, Esq. of Toms River. In the last year, Mr. Reinheimer volunteered to accept five Chapter 7 bankruptcy cases from our pro bono program to support the growing demand for this service in Ocean County. We also thank Mr. Reinheimer’s Paralegal, Lindsey Svenson (pictured left), and his Legal Assistant, Christina Do (pictured right), for their professionalism in dealing with our clients and their willingness to go above and beyond to assist them. Mr. Reinheimer and his staff are assets to our program and we are sincerely grateful for their support. For more information about Mr. Reinheimer and the services his firm provides, please visit http://www.reinheimer.com/. The SJLS Private Attorney Involvement Program thanks Eric Clayman, Esquire of Jenkins & Clayman for his long-standing support of our volunteer bankruptcy program. Mr. Clayman has participated in The Honorable Judith H. Wizmur Pro Bono Bankruptcy Project at Rutgers Law School in Camden for many years. 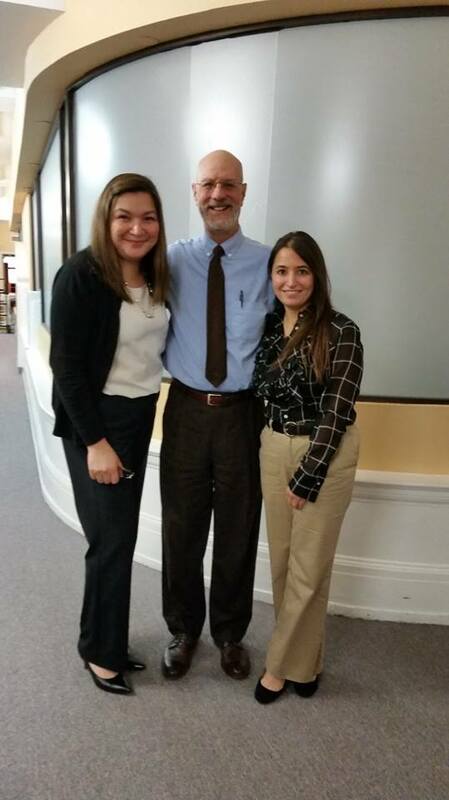 This semester, Mr. Clayman met with two pro bono clients and law students at Rutgers. We are thankful for the support of Mr. Clayman and attorneys like him who volunteer year after year to help those in need. For more information on Mr. Clayman and his firm, please visit the following website: http://www.jenkinsclayman.com/. The SJLS Private Attorney Involvement Program would like to thank Douglas G. Leney, Esq. of Archer Law for volunteering to accept pro bono Chapter 7 bankruptcy cases. Mr. Leney has participated in The Honorable Judith H. Wizmur Pro Bono Bankruptcy Project at Rutgers Law School in Camden for many years. 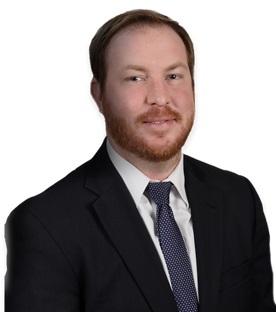 At Archer, Mr. Leney practices in the litigation department and concentrates his practice in matters involving bankruptcy and corporate restructuring, and debtor/creditor rights. For more information on Mr. Leney and his firm, please visit the following website: https://www.archerlaw.com/attorneys/douglas-g-leney/. The SJLS Private Attorney Involvement Program thanks Harry Chung, Esq. of the Law Office of Harry Chung, LLC in Cherry Hill for concluding a Chapter 7 bankruptcy for a low-income Camden County senior citizen. The client came to SJLS due to her credit card bills and other debt and was looking to get relief from her debt. Mr. Chung attended the 341(a) Meeting of Creditors with the client and she received her discharge on December 22, 2017. Thank you from the SJLS Private Attorney Involvement Program (PAI) to Amy L. Knapp, Esq. of the Law Offices of Amy L. Knapp for assisting a Gloucester County senior citizen with a Chapter 7 pro bono bankruptcy. Ms. Knapp contacted SJLS after she met with the client and thought he might qualify for pro bono help through PAI. He did qualify and Ms. Knapp proceeded to help him through the process, attended the 341(a) Meeting of Creditors with him and helped him get his discharge which he received on December 22, 2017. Ms. Knapp said that the client was "overjoyed with the news" and was looking forward to his fresh start. We are very thankful that Ms. Knapp gave of her time to help this client. Thank you from the SJLS Private Attorney Involvement Program to Moshe Rothenberg, Esq. for assisting a Camden County low-income woman with a pro bono Chapter 7 bankruptcy. Mr. Rothenberg joined our pro bono panel this year and volunteered to help this client. The client received a discharge on December 22, 2017 because of Mr. Rothenberg's help. For more information on Mr. Rothenberg and his firm, please visit the following website: http://www.mosherothenberg.com/. The SJLS Private Attorney Involvement Program thanks Kathleen P. Stockton, Esq. of Archer in Haddonfield for helping a low-income Burlington County individual obtain a Final Restraining Order. We are thankful for Ms. Stockton's willingness to help this victim of domestic violence. For more information on Ms. Stockton and her firm, please visit the following website: https://www.archerlaw.com/attorneys/kathleen-p-stockton/. 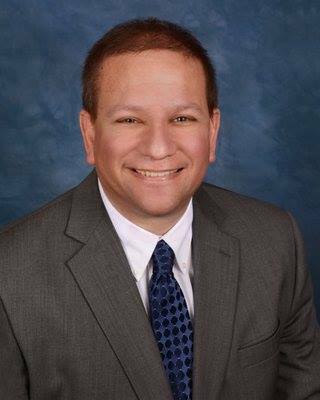 The SJLS Private Attorney Involvement Program would like to thank John LoSordo, Esquire of Hazlet for assisting four clients on a pro bono basis this past year with their Chapter 7 bankruptcies. In addition to bankruptcy, Mr. LoSordo’s extensive practice includes areas such as workers compensation, divorce, commercial and residential real estate, property development, estate planning, corporate and commercial litigation, acquisitions, personal injury and municipal court matters. We are truly grateful for his continued participation in our program and for always offering to accept cases when he is available. 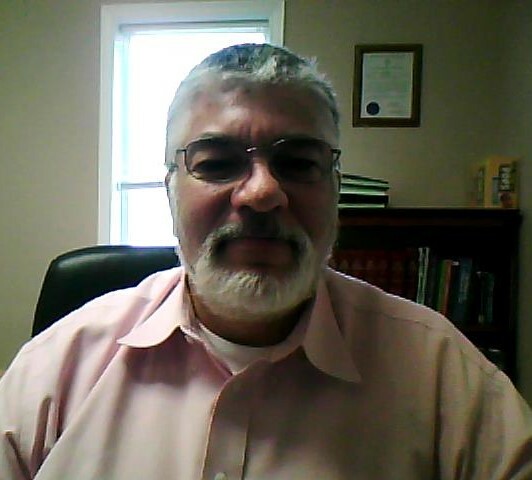 For more information on Mr. LoSordo, please visit his website at http://www.jlosordolaw.com/index.html. 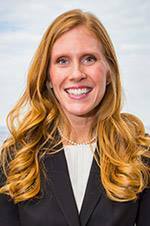 The SJLS Private Attorney Involvement Program would like to send a heartfelt thanks to Rachel S. Cotrino, Esquire in Jackson for accepting five pro bono cases this year for uncontested divorces. The clients have praised Ms. Cotrino’s professionalism and compassion, and one client remarked how he was treated by all in her firm as though he were a paying client. 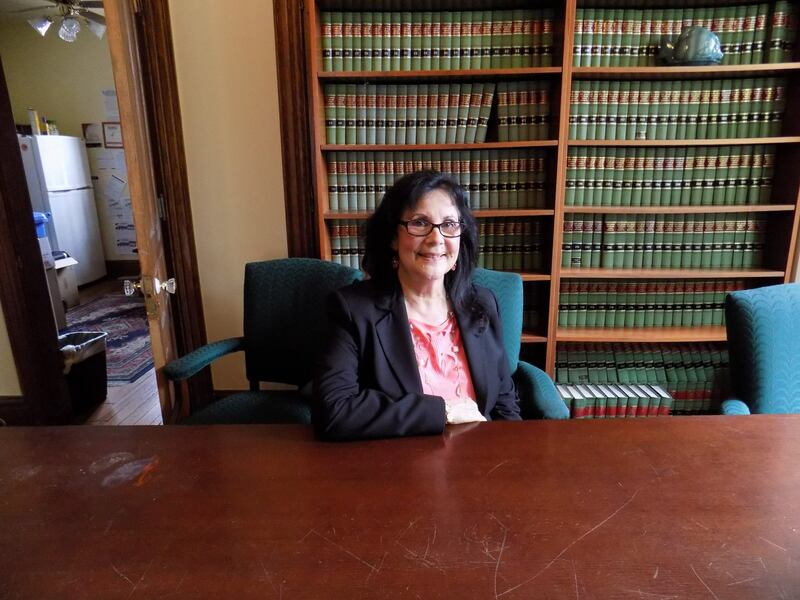 In addition to focusing on family law matters in her firm, Ms. Cotrino is actively involved in both the New Jersey State Bar and the Ocean County Bar Associations. We are truly grateful for her assistance with our clients in Monmouth and Ocean Counties. For more information about Ms. Cotrino and her firm, please visit http://www.divorcelawyerjacksonnj.com/. On December 13 in our Camden office, our monthly debt seminar/advice appointments were held. 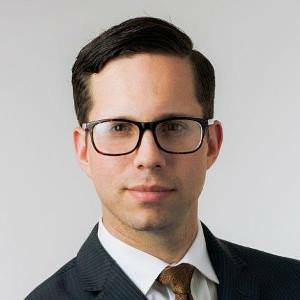 Through the SJLS Private Attorney Involvement Program, volunteer attorney and former SJLS Board Member Jay M. Feinman, Esq. provides low-income individuals in Burlington, Camden and Gloucester counties information on debt collection and how to respond to a Summons and Complaint. Mr. Feinman also meets with individuals privately to answer any individual questions they have. Mr. Feinman has been doing these seminars and advice appointments since 2011 and has assisted hundreds of individuals through this project. The SJLS Private Attorney Involvement Program (PAI) was happy to host a debt seminar today in our Atlantic City office. Several times a year, volunteer attorney Lawrence Brodsky, Esq. conducts debt seminars for low-income clients in Atlantic County. He also meets with the clients after the seminar privately. During the seminars, Mr. Brodsky discusses the debt collection process, negotiation techniques and judgments. 7 clients attended the seminar today. Mr. Brodsky has volunteered with our PAI program since the early 1990s. He is kind, patient and extremely knowledgeable and we are very grateful that he is part of our team. Mr. Brodsky received the 2017 Equal Justice Medal from Legal Services of New Jersey earlier this year. 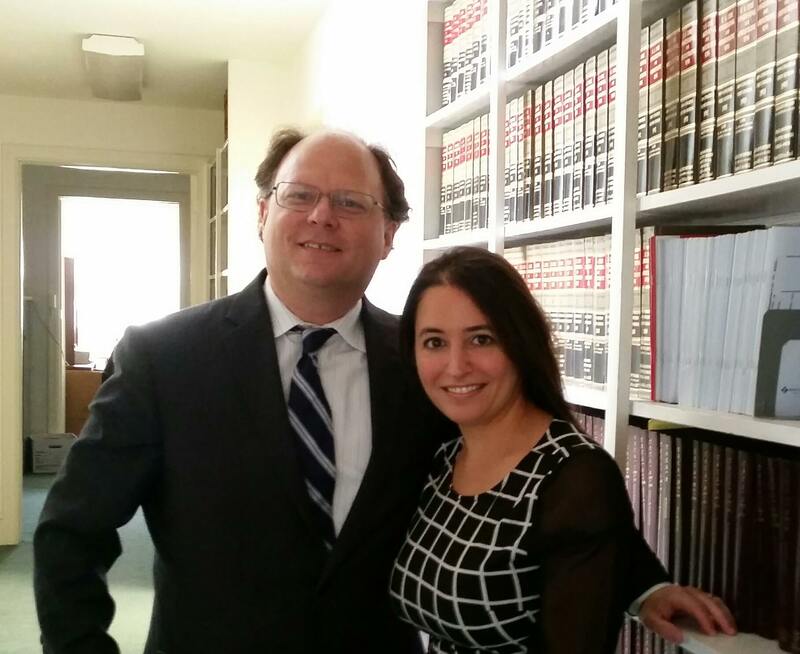 Pictured below are Kristine Carranceja-Gurski, Esq., SJLS Assistant Pro Bono Coordinator, and Lawrence Brodsky, Esq. On December 6, the SJLS Private Attorney Involvement Program held Family Assist Project advice appointments. Through the Family Assist Project, low-income people in Atlantic, Burlington, Camden and Gloucester counties receive 30-minute family law advice consultations with experienced family law attorneys. Many thanks to the attorneys and paralegal who participated yesterday, pictured below: Nick Yurick, Esq. (top left); Berge Tumaian, Esq. and Any Tumaian, Paralegal (top right); Nancy Morgenstern, Esq. (bottom left); James Gentile, Esq. (bottom right). If you are an attorney and would like to share a couple hours of your time and expertise with this project, please contact Michelle T. Nuciglio, Esq., SJLS Director of Pro Bono Services, at (856) 964-2010 ext. 6229 or MNuciglio@lsnj.org. The SJLS Private Attorney Involvement Program thanks Mark A. Gulbranson, Esq. of Attorneys Hartman, Chartered for reviewing cases for clients who need expungements. As there are many clients who need expungements in order to secure employment, attorneys like Mr. Gulbranson are very much appreciated. Mr. Gulbranson accepted two cases this year and we are very thankful for his help. 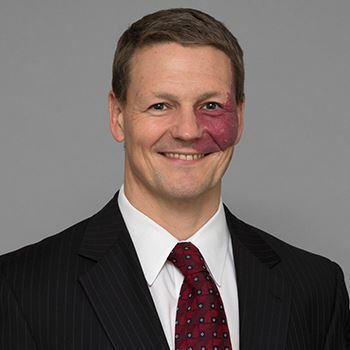 For more information on Mr. Gulbranson and his firm, please visit the following website: http://attorneyshartman.com/mark-a-gulbranson/. Law Offices of Jeff Vandrew, Jr.
Special thanks from the SJLS Private Attorney Involvement Program to Jeff Vandrew Jr., Esq. 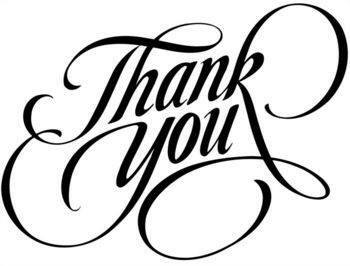 for always being willing to help our clients with wills, powers of attorney and living wills. Most recently, Mr. Vandrew prepared a Last Will and Testament for an Atlantic County senior. Mr. Vandrew is always willing to help when asked and always handles his pro bono cases quickly. 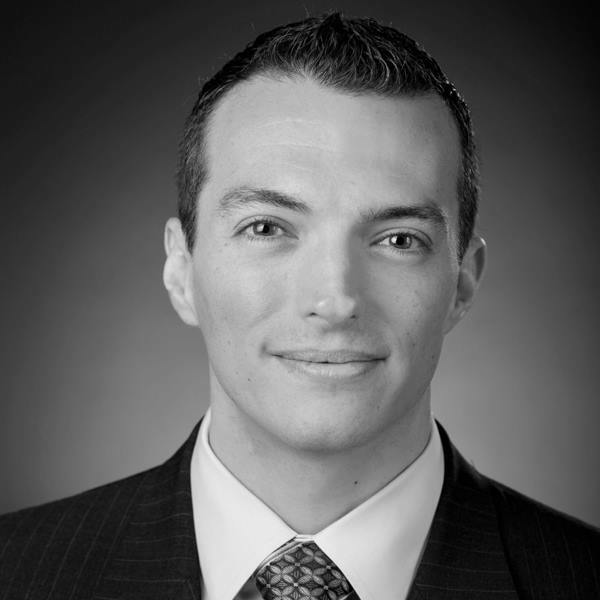 In addition to being an attorney, Mr. Vandrew is a CPA, CFP and Board-Certified Estate Planning Law Specialist. For more information on Mr. Vandrew and his firm, please visit the following website: https://vandrew.com/. The SJLS Private Attorney Involvement Program thanks Andrew T. Archer, Esq. of The Law Offices of Brenner Brenner & Spiller for concluding a pro bono Chapter 7 bankruptcy for a Cumberland County low-income man. Mr. Archer and his firm, including Managing Partner Brad Spiller, Esq., have been very supportive of our pro bono bankruptcy project and for that we are extremely grateful. The firm concentrates on bankruptcy, personal injury and other debt relief services. For more information on Mr. Archer and the firm, please visit the following website: https://www.brennerlawoffice.com/. Thank you from the SJLS Private Attorney Involvement Program to Kathleen M. Vella, Esquire for helping an Atlantic County man receive a divorce. The client had been waiting several months for a divorce and was anxious to move on with his life. Ms. Vella attended the hearing with the client on November 30, 2017 and the client received his Final Judgment of Divorce. Ms. Vella has been a volunteer with our program for several years and always handles the cases efficiently and professionally. For more information on Ms. Vella and her law and mediation practice, please visit the following website: https://www.kvellamediation.com/. Thanks from the SJLS Private Attorney Involvement Program to Daniel Frischberg, Esq. of The Law Office of Andrew B. Finberg, LLC for concluding a pro bono Chapter 7 bankruptcy for a low-income Burlington County woman. The client contacted SJLS because she had consumer debt, a license suspension and surcharges. She needed a bankruptcy to help restore her license and to clear other debt that she had. Mr. Frischberg helped her and attended her 341(a) Meeting of Creditors. The client received her discharge on November 17, 2017. 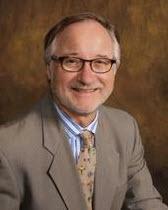 For more information on Mr. Frischberg and his firm, please visit the following website: http://www.sjbankruptcylaw.com/. The SJLS Private Attorney Involvement Program thanks Robert A. Gleaner, Esq. and his staff for their longstanding support of The SJLS Divorce Project. Mr. Gleaner and his staff have helped many low-income individuals obtain divorces over the years. When asked if he was willing to accept another divorce this week, Mr. Gleaner offered to help with three. Mr. Gleaner concentrates his practice on family law, real estate and business law and always handles his pro bono cases efficiently and with compassion for our clients and the difficulties they face. For more information on Mr. Gleaner and his firm, please visit the following website: http://www.ragpc.com/. The SJLS Private Attorney Involvement Program would like to thank Victoria Steffen, Esq. for assisting a Cape May County low-income woman with a pro bono Chapter 7 bankruptcy. The client contacted PAI due to the large amount of credit card debt she had. The client received a discharge in September. Ms. Steffen has been a supporter of our bankruptcy program for many years, and we are very grateful for her help. Thank you from the SJLS Private Attorney Involvement Program to Lee M. Perlman, Esq. for concluding a pro bono Chapter 7 bankruptcy for a low-income Camden County client. The client had a large amount of credit card debt and was being sued. She came to SJLS to try to get this debt discharged so she could obtain a fresh start which she was able to do with the help of Mr. Perlman. 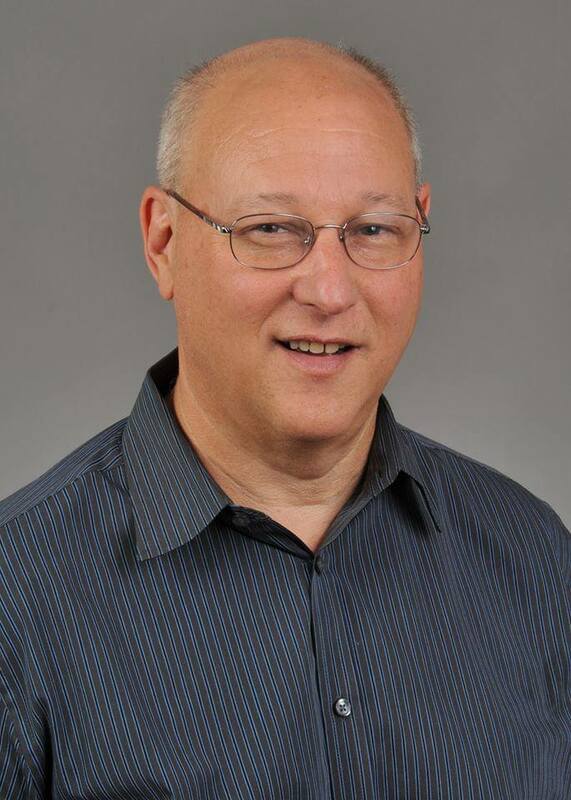 Mr. Perlman concentrates his practice on consumer bankruptcy, FCRA and FDCPA work. 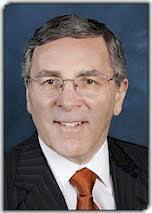 Mr. Perlman has supported our bankruptcy pro bono project for many years and is always willing to help when asked. 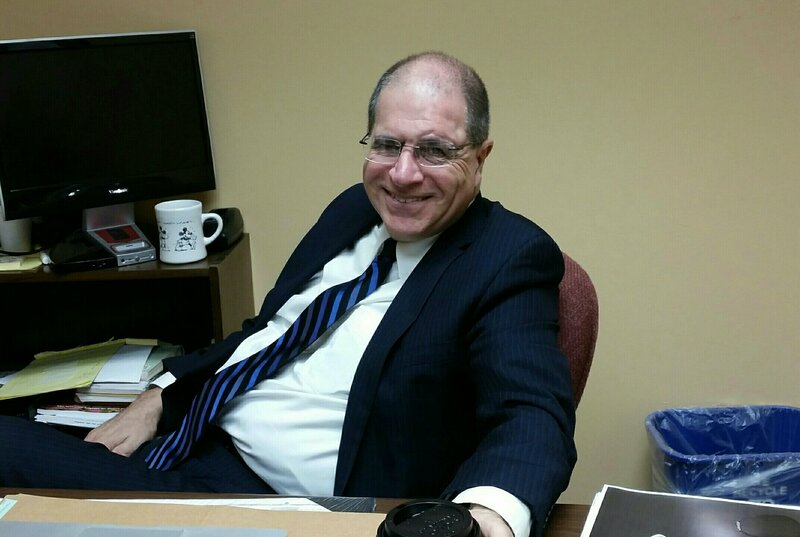 For more information on Mr. Perlman and his firm, please visit the following website: https://www.newjerseybankruptcy.com/. Thank you to Joseph J. Slachetka, Esq. of Hoffman DiMuzio for concluding a pro bono Chapter 7 bankruptcy case for a Gloucester County low income individual. The client contacted our office due to her large amount of debt which included a car repossession, credit card debt and loans. Mr. Slachetka attended the client's 341(a) meeting and forwarded our Private Attorney Involvement Program a copy of the Discharge of Debtor entered on October 13, 2017. Mr. Slachetka has been a volunteer since 2010 and we appreciate the help he has given to our clients. For more information on Mr. Slachetka and his firm, please visit the following website: https://www.hoffmandimuzio.com/attorneys/joseph-j-slachetka/#. 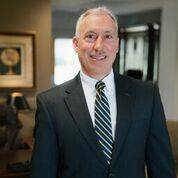 The SJLS Private Attorney Involvement Program sends a sincere thank you to Neal Ruben, Esquire in Shrewsbury for assisting a low-income Ocean County resident with a pro bono Chapter 7 bankruptcy. Thanks to Mr. Ruben’s patience and professionalism, the client was able to have a fresh start after being burdened by credit card debt and medical bills that she could no longer afford. Mr. Ruben’s firm handles bankruptcy and consumer matters, family law, and foreclosure. We are particularly grateful to have both Mr. Ruben and his wife, Laurie Ruben, Esquire, as volunteers in our PAI Program. Thank you for your continued support! Thank you from the SJLS Private Attorney Involvement Program to Mark S. Cherry, Esq. for volunteering to help a Camden County senior citizen with a pro bono Chapter 7 bankruptcy. The client contacted SJLS because she could not sleep at night due to the incessant calls from creditors. Mr. Cherry helped her through the process and the client received her discharge on October 13, 2017. We are very thankful that Mr. Cherry was willing to help. For more information on Mr. Cherry and his firm, please visit the following website: http://markcherrylaw.com/contact-us/. Many thanks from the SJLS Private Attorney Involvement Program (PAI) to Steven R. Neuner, Esq. of Neuner & Ventura LLP. 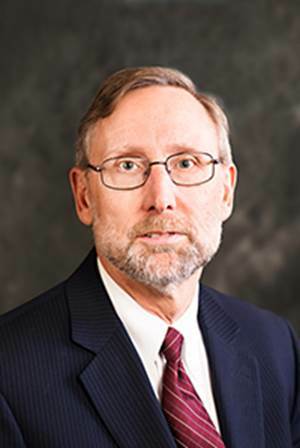 Mr. Neuner has participated in The Honorable Judith H. Wizmur Pro Bono Bankruptcy Project, our joint project with Rutgers Law School in Camden, for many years. When PAI refers bankruptcies through this project, the volunteer attorneys meet with the clients and law students and mentor the students through the process. 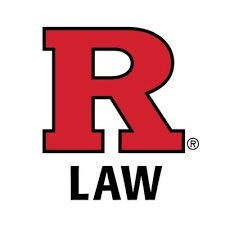 Recently, Rutgers received the following feedback from a student Mr. Neuner met with: "Counsel was great. He realized it was our first time so he was very thorough in explaining what questions we should be asking and what we should be focusing in on." Another student said that "[the attorney] allowed us to interact with the client and answered any questions we had. I look forward to completing the schedules. Thank you for the opportunity!". This project has served low-income individuals in need of bankruptcy since 1993 and is truly a joint effort by all involved. 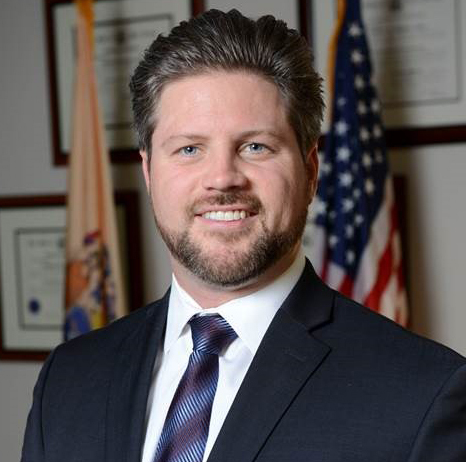 For more information on Mr. Neuner, please visit the following website: http://www.nv-njlaw.com/. The SJLS Private Attorney Involvement Programs thanks David Meth, Esquire of Freehold for assisting a low-income client in Monmouth County with a Chapter 7 bankruptcy pro bono. The recently disabled single mother was burdened with a large amount of credit card debt, loans and medical bills and had to be assisted by family members to make ends meet. Mr. Meth practices family law and is a certified mediator in family law cases through the the New Jersey Administrative Office of Courts. We are truly grateful for Mr. Meth’s willingness to volunteer with our program. For more information about Mr. Meth and his practice, please visit http://methnjlaw.com/Home.html. 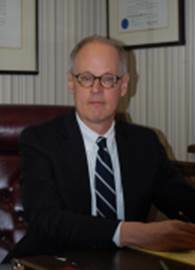 The SJLS Private Attorney Involvement Program thanks Raymond Osterbye, Esquire of Keansburg for accepting two more pro bono Chapter 7 bankruptcies. Mr. Osterbye is a New York and New Jersey licensed attorney with a practice that focuses in immigration, bankruptcy and family law. His practice also handles criminal matters, wills and estate planning, and incorporation and tax matters related to small businesses. For more information about Mr. Osterbye’s practice, please visit http://legalservicecenter.org/. The SJLS Private Attorney Involvement Program thanks Jennifer C. McEntee, Esquire of Ciardi Ciardi & Astin in Philadelphia for concluding a pro bono Chapter 7 bankruptcy this week for a low-income Camden County man. The client had a current wage garnishment and a large amount of credit card debt. Thanks to Ms. Cranston, the client received his fresh start. 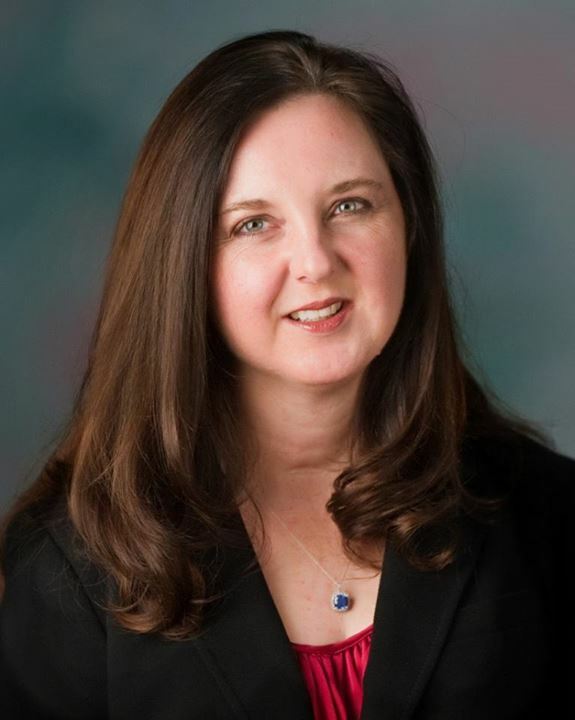 Ms. McEntee focuses her practice on bankruptcy and corporate litigation and has served our clients since 2010. For more information on Ms. McEntee and her firm, please visit the following website: http://www.ciardilaw.com/jennifer-cranston-mcentee.asp. Thank you from the Private Attorney Involvement Program to Adrienne Anderson, Esq. of Ciardi Ciardi & Astin in Philadelphia for helping a Camden County senior with a pro bono Chapter 7 bankruptcy. The client had medical issues and her debts were causing her additional stress. Ms. Anderson's office forwarded a copy of the Discharge of Debtor to our office today which was entered on October 13th. Ms. Anderson has provided pro bono Chapter 7 bankruptcy assistance through our program for over 7 years and we are very grateful for her help. For more information on Ms. Anderson and her firm, please visit the following website: http://www.ciardilaw.com/adrienne-anderson.asp. Thank You from the SJLS Private Attorney Involvement Program (PAI) to Donald N. Elsas, Esq. for accepting another pro bono divorce. Mr. Elsas has been a supporter of our volunteer program for several years and is always willing to help when asked. The SJLS Private Attorney Involvement Program sends a very special thank you to MaryBeth Schroeder, Esquire of Toms River for assisting a disabled client pro bono with a bankruptcy matter. Ms. Schroeder worked patiently with our client and was successful in obtaining a Chapter 7 discharge. Ms. Schroeder's practice focuses on bankruptcy. We are very grateful for Ms. Schroeder's continued involvement with our Program. For more information about Ms. Schroeder, please visit her website at www.mbschroeder.com. A powerhouse of family law attorneys volunteered on October 4, 2017 through our Family Assist Project. Many thanks from our Private Attorney Involvement Program to Alan Domers, Esq. of Domers Bonamassa & Hynes, P.C. 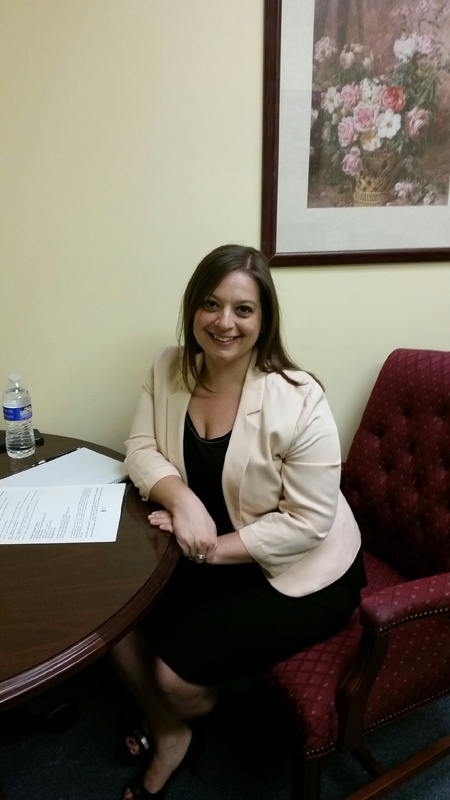 (volunteered in Burlington County), Nicole Donoian-Pody, Esq. of the Law Offices of Charny Karpousis Altieri & Donoian, P.A. 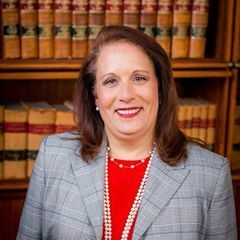 (volunteered in Camden County), Karen R. Karpousis, Esq. of the Law Offices of Charny Karpousis Altieri & Donoian, P.A. 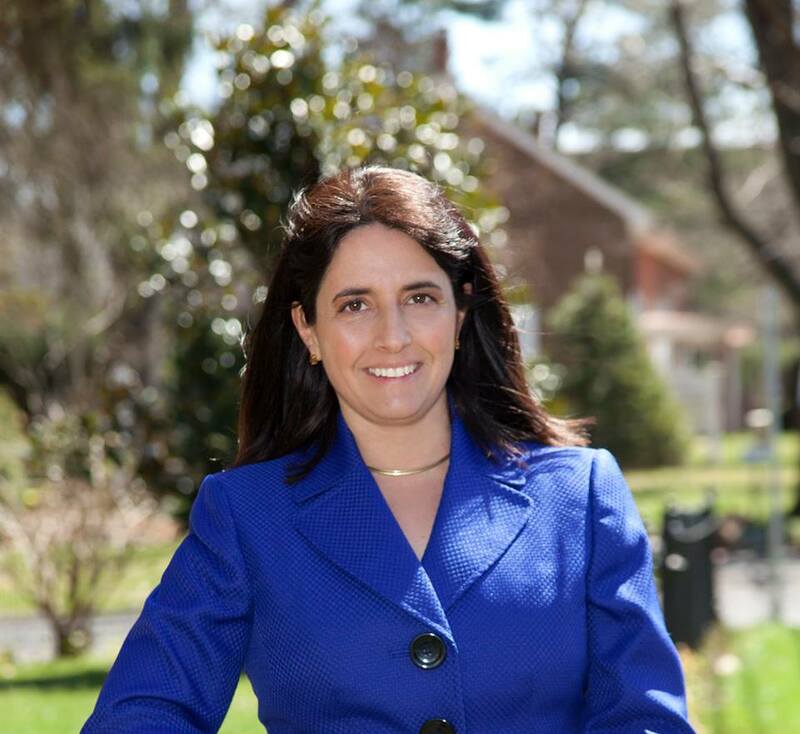 (volunteered in Camden County) and Rachelle Waitz-Moskowitz, Esq. (volunteered in Gloucester County). For more information on Mr. Domers, please visit the following website: http://dbhlawfirm.com/. 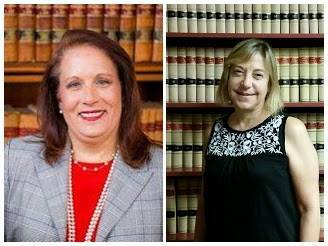 For more information on Ms. Donoian-Pody and Ms. Karpousis and their firm, please visit the following website: http://charnylaw.com/. 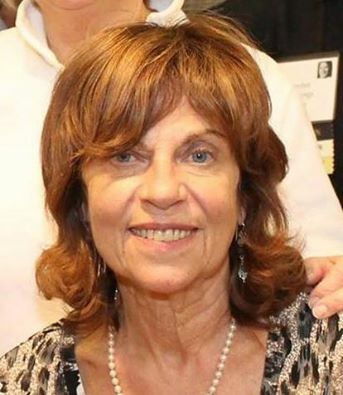 For more information on Ms. Waitz-Moskowitz, please visit the following site: https://www.facebook.com/rachelle.waitzmoskowitz. On October 4, 2017 in our Camden office through our Private Attorney Involvement Program was a debt seminar open to residents of Burlington, Camden and Gloucester counties. 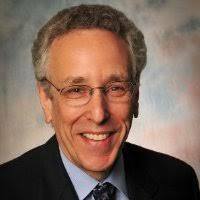 Jay Feinman, Distinguished Professor at Rutgers Law School in Camden and former SJLS Board Member, volunteers every month to give seminars to our clients. He explains what to do if they are sued by a creditor, how to handle a summons and complaint if the clients receive them and what a creditor can take from them once a judgment is entered. He then meets with any clients privately who wish to do so. He empowers the clients to handle their debt collection matters while they wait for assignment to a bankruptcy attorney. We are extremely appreciative of Mr. Feinman's willingness to share his expertise and knowledge with our clients. 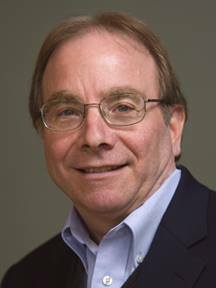 For more information on Mr. Feinman, please visit the following website: https://law.rutgers.edu/directory/view/feinman. Thank you from the Private Attorney Involvement Program to Jonathan Edward Ingram, Esq. ("Jack") of Borger Matez, P.A. in Cherry Hill, New Jersey for helping a Camden County low-income man with a divorce. Mr. Ingram attended the hearing with the client in September and forwarded the Judgment of Divorce to our office. As there are many individuals waiting for divorces, the help of this firm is greatly appreciated. For more information on Mr. Ingram and his firm, please visit the following website: http://www.njfamilylaw.net/divorce-attorneys-nj/attorneys/jonathan-e-ingram-esq/. Thank you from our Private Attorney Involvement Program to Daniel Frischberg, Esq. of The Law Office of Andrew B. Finberg, LLC. Mr. Frischberg recently concluded a pro bono Chapter 7 bankruptcy for one of our clients and promptly volunteered to help on another case. Mr. Frischberg is also a 2014 recipient of the Legal Services of New Jersey Equal Justice Medal. 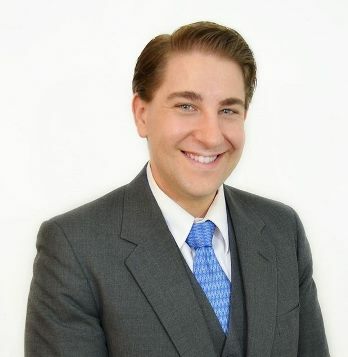 For more information on Mr. Frischberg and his firm, please visit the following website: http://www.sjbankruptcylaw.com/daniel-frischberg-esq/. The SJLS Private Attorney Involvement Program thanks Kelly M. Newman, Esq. for helping a low-income Camden County woman receive a divorce. Ms. Newman is particularly helpful to our program because she is Spanish-speaking and is able to easily communicate with our Spanish-speaking clients and make them feel comfortable. 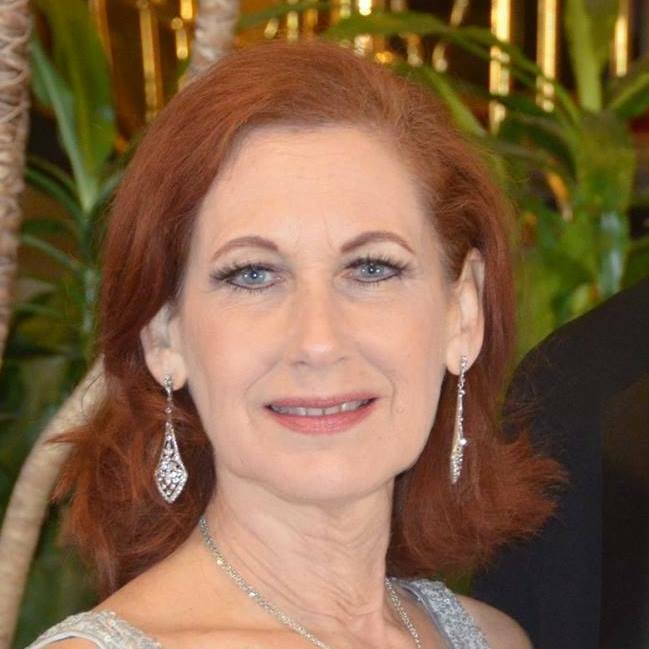 For more information on Ms. Newman and her firm, please visit the following website: https://www.lyndahinkle.com/about/contacts-bios/. Thank you from the SJLS Private Attorney Involvement Program to Leonard R. Wizmur, Esq. (pictured left) and Daniel L. Reinganum, Esq. (pictured right) of McDowell Posternock Apell & Detrick, PC for their long-standing support of The Honorable Judith H. Wizmur Pro Bono Bankruptcy Project, our joint bankruptcy project with Rutgers Law School in Camden. Mr. Wizmur has been a supporter of this project for many years and Mr. Reinganum for the last several years. Both attorneys recently concluded Chapter 7 pro bono bankruptcies for clients within our service area. Both are enthusiastic volunteers and we value their commitment and expertise. 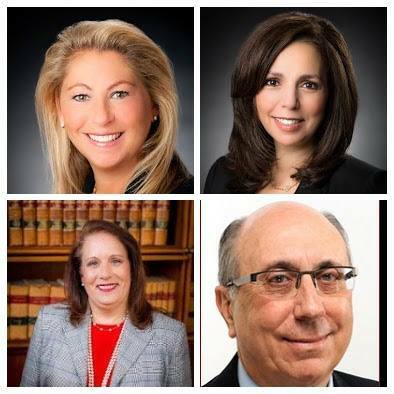 For more information on these attorneys and their firm, please visit the following website: https://www.mrpattorneys.com/. Thank you from the SJLS Private Attorney Involvement Program to Carrie Boyle, Esq. of the Law Offices of McDowell Posternock Apell & Detrick, PC for assisting a low-income South Jersey woman with a bankruptcy. The client was hearing-impaired and Ms. Boyle and her staff worked with a sign language interpreter to help the client receive her discharge. Ms. Boyle participated in The Honorable Judith H. Wizmur Pro Bono Bankruptcy Project as a law student and now is an active attorney volunteer. We are very grateful for her long-standing support of this project. For more information on Ms. Boyle, please visit the following website: https://www.mrpattorneys.com/. Thank you to Ralph Paul Busco, Esq. of Brigantine, New Jersey for volunteering to help a low-income Atlantic County senior with a Last Will and Testament. The client executed her will this week with Mr. Busco's help. Mr. Busco's firm focuses on real estate, land use, and will, trust and estate law. For more information on Mr. Busco and his firm, please visit the following website: http://www.briglawyer.com/attorneys-1.html. The SJLS Private Attorney Involvement Program sends a heartfelt thanks to the law firm of Capone & Keefe in Spring Lake for their volunteer efforts with Monmouth and Ocean County clients since 2015. 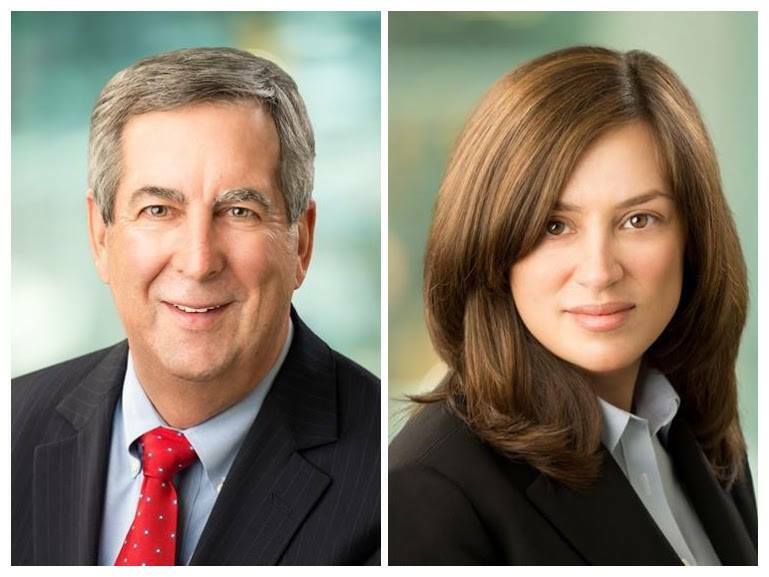 Both partners, Marc Capone, Esquire and Liza Keefe, Esquire, along with their professional and knowledgeable staff continue to provide assistance to clients in need of a fresh start with Chapter 7 bankruptcies. The firm’s practice also includes loan modifications and real estate, along with trusts and wills. We are truly grateful for all their assistance with our program. For more information about Mr. Capone and Ms. Keefe and their firm, please visit www.caponeandkeefe.com. Thank you from the SJLS Private Attorney Involvement Program to Douglas Stanger, Esq. and Administrative Assistant/Paralegal Lilly Felici of Flaster Greenberg for their support of our volunteer bankruptcy program. Mr. Stanger accepted a pro bono bankruptcy case recently for a low-income Atlantic County woman and has been available to help when needed for many years. 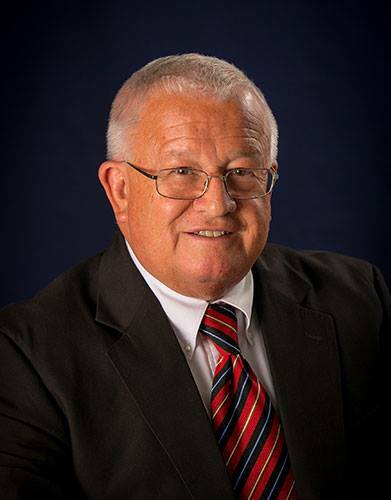 For more information on Mr. Stanger and his firm, please visit the following website: http://www.flastergreenberg.com/people-Douglas_Stanger.html. Thank you to Daniel H. Long, Esq. of Wade, Long, Wood & Long, LLC for assisting a low-income Camden county woman with a divorce pro bono. Mr. Long attended the hearing with the client on September 13, 2017 and forwarded our Private Attorney Involvement Program a copy of the Final Judgment of Divorce. We are thankful for the support of Mr. Long and his firm with these cases. For more information on Mr. Long, please visit the following website: http://www.wlwllaw.net. The SJLS Private Attorney Involvement Program thanks Robert A. Loefflad, Esq. of Ford Flower Hasbrouck & Loefflad with offices in Ocean City and Linwood for his steadfast support of our volunteer bankruptcy program. Mr. Loefflad has been a supporter since 2010 and has assisted many low-income individuals in need of Chapter 7 bankruptcy assistance. Last week, he volunteered to accept two additional clients who live in the Atlantic County area. We are grateful for his help. For more information on Mr. Loefflad and his firm, please visit the following website: http://ffhlaw.webs.com/robert-a-loefflad. 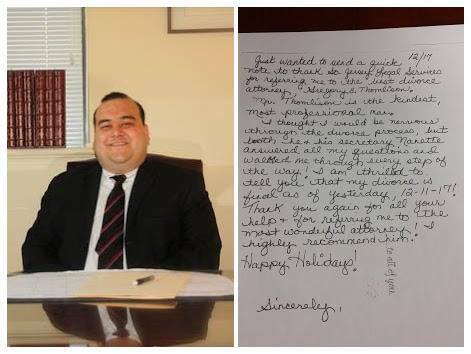 Thank you from our Private Attorney Involvement Program (PAI) to Wesley Fenza, Esq. of Fenza Legal Services in Collingswood, New Jersey for assisting a low-income woman with an uncontested, no issue divorce through The SJLS Divorce Project. The client was married for a short time before she separated from her husband over 10 years ago. She was very thankful for the help that Mr. Fenza provided. If you are an attorney willing to volunteer to help a low-income individual with a divorce (the parties can have no debt or asset issues and the client must provide PAI with court orders for custody and child support before the file is referred to a volunteer), please contact Michelle T. Nuciglio, Esq., SJLS Director of Pro Bono Services, at (856) 964-2010 ext. 6229 or at MNuciglio@lsnj.org. For more information on Mr. Fenza and his firm, please visit the following website: http://fenzalaw.com/. 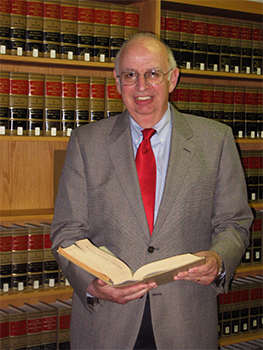 The SJLS Private Attorney Involvement Programs sends a sincere thanks to Robert J. Sims, Esq. in Spring Lake, New Jersey for concluding a pro bono divorce case for a low-income Monmouth County client. Mr. Sims’ practice focuses on real estate. We are very thankful for Mr. Sims’ assistance with our Divorce Project. For more information about Mr. Sims, please visit https://www.facebook.com/RJSimsLegal/. A big Thank You from our Private Attorney Involvement Program to Chad M. Sherwood, Esq. of the Law Office of Chad M. Sherwood, LLC in Pleasantville for responding to our call for bankruptcy volunteers in the Atlantic County area. Mr. Sherwood volunteered to help two low-income Atlantic County residents who have been waiting since March for assignment to an attorney. Mr. Sherwood has been a generous volunteer for over 7 years and we are grateful that he is willing to help these clients get a fresh start. For more information on Mr. Sherwood and his firm, please visit the following website: http://www.sherwoodlegal.com/. The SJLS Private Attorney Involvement Program thanks Maria C. Manganaro, Esq. for concluding a pro bono divorce for a low-income Camden County woman. The client was married for several years in the 1980s and separated shortly after. She wanted the divorce to move on with her life. We are thankful that Ms. Manganaro gave her the ability to do so. 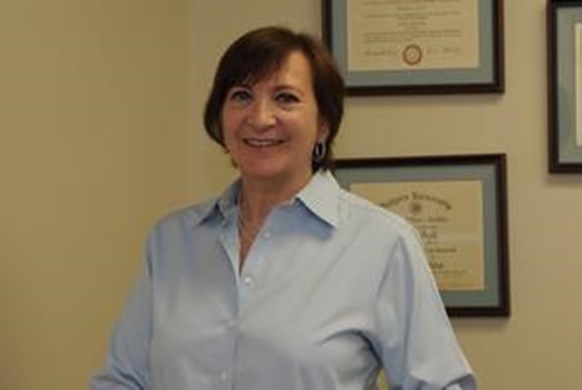 Ms. Manganaro's practice is located in Haddonfield and she has been a supporter of our pro bono program for many years. 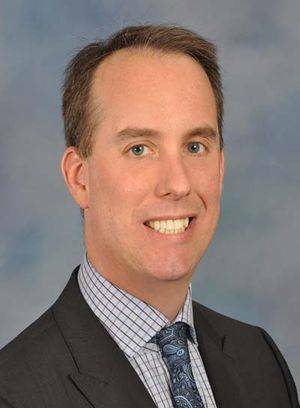 The SJLS Private Attorney Involvement Program thanks Adam Schneider, Esquire of Long Branch for assisting a disabled Ocean County client with a bankruptcy. The client had a large amount of debt that included medical bills, repossessions, credit cards, and delinquent utilities and was looking to get a fresh start in his life. Mr. Schneider represented the client in a Chapter 7 bankruptcy and forwarded our Private Attorney Involvement Program a copy of the Order of Discharge which was entered on August 17, 2017. 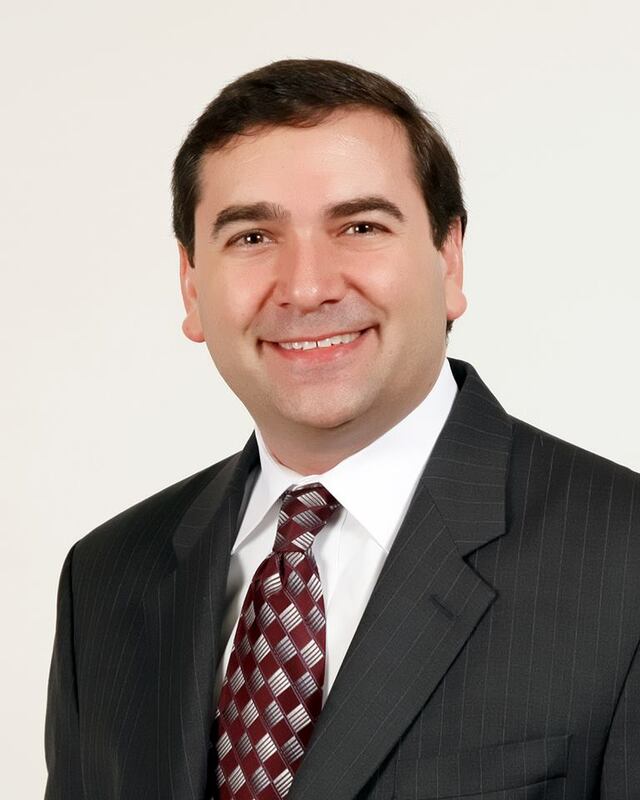 Mr. Schneider focuses his practice on bankruptcy, family law, real estate, and wills and estate management. We are thankful that Mr. Schneider is a part of our pro bono team. For more information about Mr. Schneider and his firm, please visit www.aschneiderlawoffice.com. Thank you to Jill T. Bryan, Esq. for her dedication to our Private Attorney Involvement Program. Most recently, Ms. Bryan concluded a Chapter 7 pro bono bankruptcy for an Atlantic County resident with a large amount of debt, a significant portion of which was medical debt. 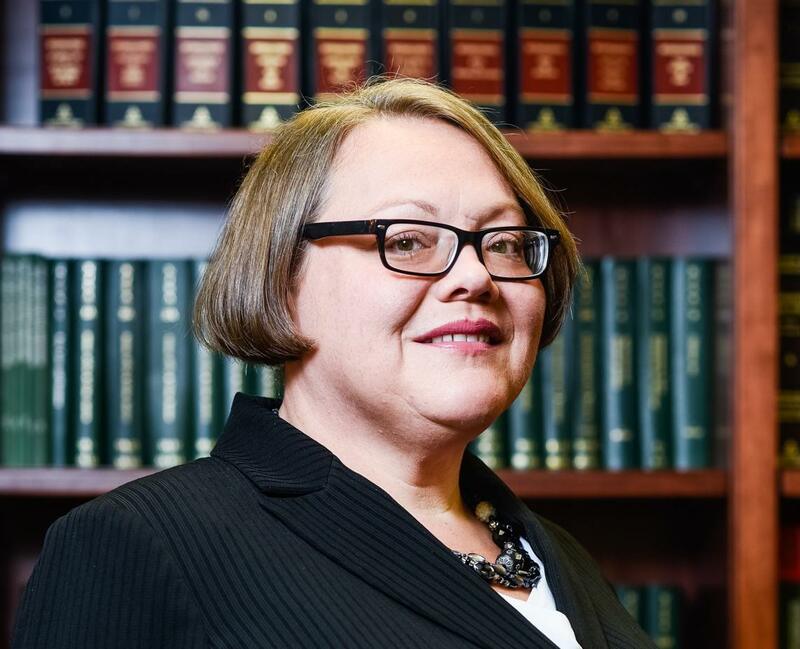 Ms. Bryan has participated in The Honorable Judith H. Wizmur Pro Bono Bankruptcy Project for many years and is a great mentor to the students in the project. 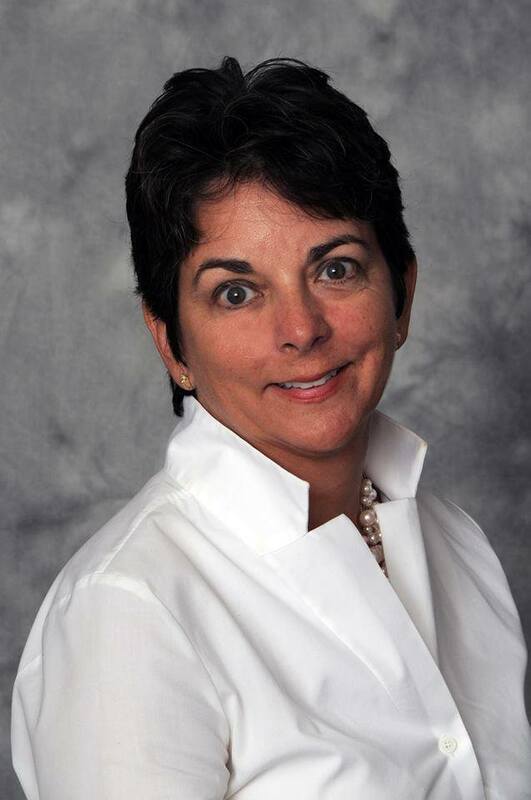 Ms. Bryan has over twenty years of experience practicing consumer bankruptcy law in South Jersey. She represents individuals and small businesses in Chapter 7 and Chapter 13 bankruptcies as well as creditors in bankruptcy. For more information on Ms. Bryan and her firm, please visit the following website: http://www.jillbryanlaw.com/. Thank you to Harry Chung, Esq. who met with a pro bono bankruptcy client in our Camden office this week. 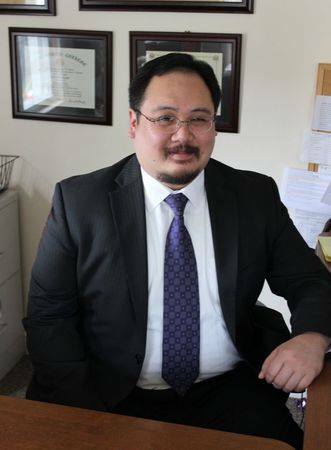 Mr. Chung has assisted our Private Attorney Involvement Program (PAI) by accepting pro bono divorces and bankruptcies since he graduated from law school in 2011. Prior to and throughout law school, Mr. Chung worked in PAI and prepared files for referrals to volunteers. Mr. Chung's practice focuses on family law and estate matters for the Korean community in PA and NJ and he also handles business and real estate transactions. The SJLS Private Attorney Involvement Program sends a big Thank You to Christine L. Matus, Esquire of Toms River for accepting a pro bono referral for an adult guardianship. 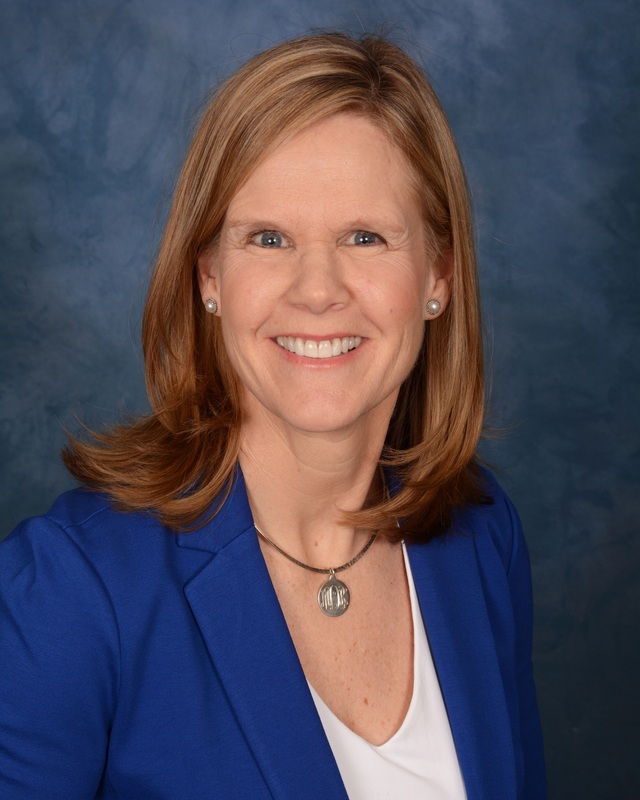 Ms. Matus has been instrumental in SJLS’s efforts to establish the Ocean County Bar Association’s Pro Bono Committee and we are excited to have her on our volunteer panel. With offices in Toms River and Red Bank, Ms. Matus’ practice focuses on estate planning, special needs planning, special education and real estate. For more information about Ms. Matus and her firm, please visit www.matuslaw.com. The SJLS Private Attorney Involvement Program thanks Mark G. Carusillo, Esq. for volunteering to help a Camden County low-income woman with a Chapter 7 bankruptcy. The client had been waiting for many months for assignment to an attorney and was very grateful for the help she received from Mr. Carusillo. 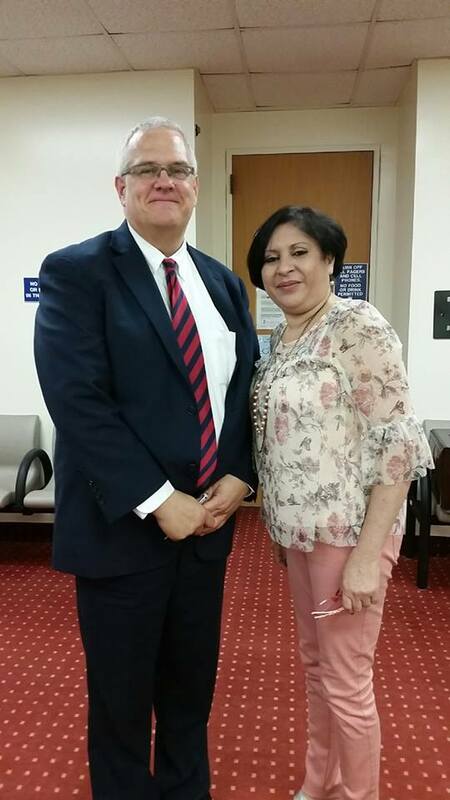 The client recently received a discharge of her debts thanks to Mr. Carusillo's willingness to help her. 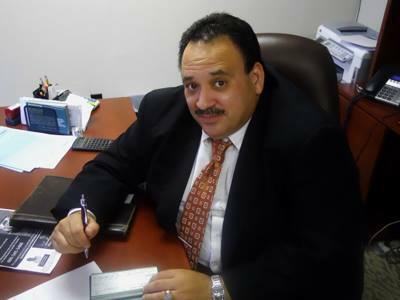 Mr. Carusillo's practice areas include real estate, bankruptcy, business and foreclosure. For more information on Mr. Carusillo and his firm, please visit the following website: https://carusillolaw.com/. The SJLS Private Attorney Involvement Program thanks Kathleen M. Dotoli, Esq. for her support of our volunteer attorney program. She recently accepted a case through The Children's SSI Project for a young child whose SSI benefits were being terminated. 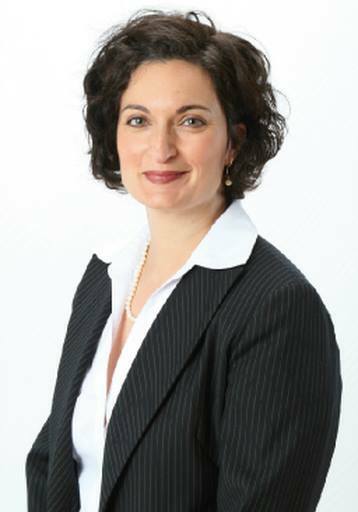 Ms. Dotoli currently serves as the co-chair of the OCBA Worker’s Compensation Committee and as a Board Trustee of the OCBA. 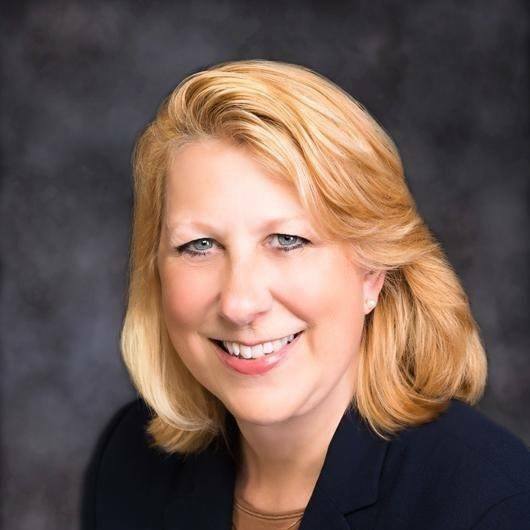 She is a member of various committees through the NJ State Bar Association, the NJ State Bar Foundation and Ocean County College and is also a Board Member of the American Red Cross – South Jersey Region. We are especially grateful for her contributions to the Ocean County Bar Association’s Pro Bono Committee of which she is an active member. In her practice, Ms. Dotoli seeks justice for those who have been injured or disabled and need assistance in receiving medical treatment, wage replacement and permanent disability benefits. For more information about Ms. Dotoli, please visit the following website www.jerseyshoreworkerscomp.com. Thank you to Amy K. Knapp, Esq. of the Law Offices of Scott J. Goldstein, LLC for volunteering to help a Burlington County low-income woman with a Chapter 7 bankruptcy. The client had a large amount of student loan debt and loans and was looking to get a fresh start in her life. Ms. Knapp enthusiastically represented the client and forwarded our Private Attorney Involvement Program a copy of the Order of Discharge which was entered on August 1, 2017. 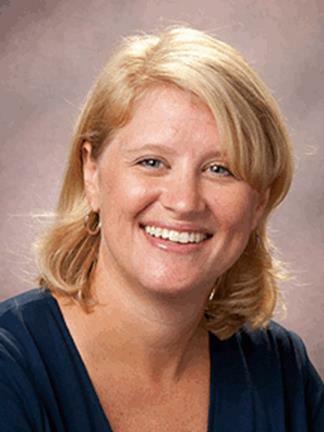 Ms. Knapp focuses her practice on bankruptcy, consumer law and loan modifications/workouts. Before law school, Ms. Knapp worked with social services in the Pemberton Township, Department of Public Assistance and helped homeless individuals and families. We are thankful that Ms. Knapp is a part of our pro bono team. 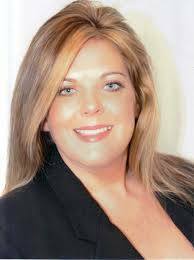 For more information on Ms. Knapp's firm, please visit the following website: http://sgoldsteinlaw.com/. The SJLS Private Attorney Involvement Program thanks Stephanie Albrecht-Pedrick, Esq. for assisting a mother with guardianship over her soon-to-be 18 year old disabled daughter. Ms. Albrecht-Pedrick accepted this case through The SJLS Guardianship Project For Children in October of last year. 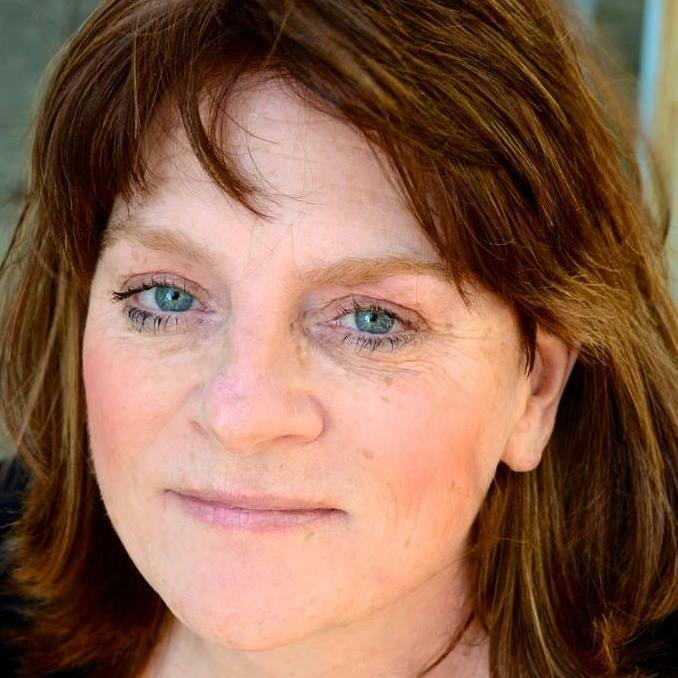 The parent contacted SJLS seeking guardianship over her daughter who was diagnosed with Wolf Hirschhorn Syndrome, Parkinsonism and epilepsy and who would never be able to care for herself. Ms. Albrecht-Pedrick attended the hearing where the judge entered a Judgment of Incapacity and Order Appointing Guardian of the Person and Estate. We thank Ms. Albrecht-Pedrick for her willingness to volunteer when needed. 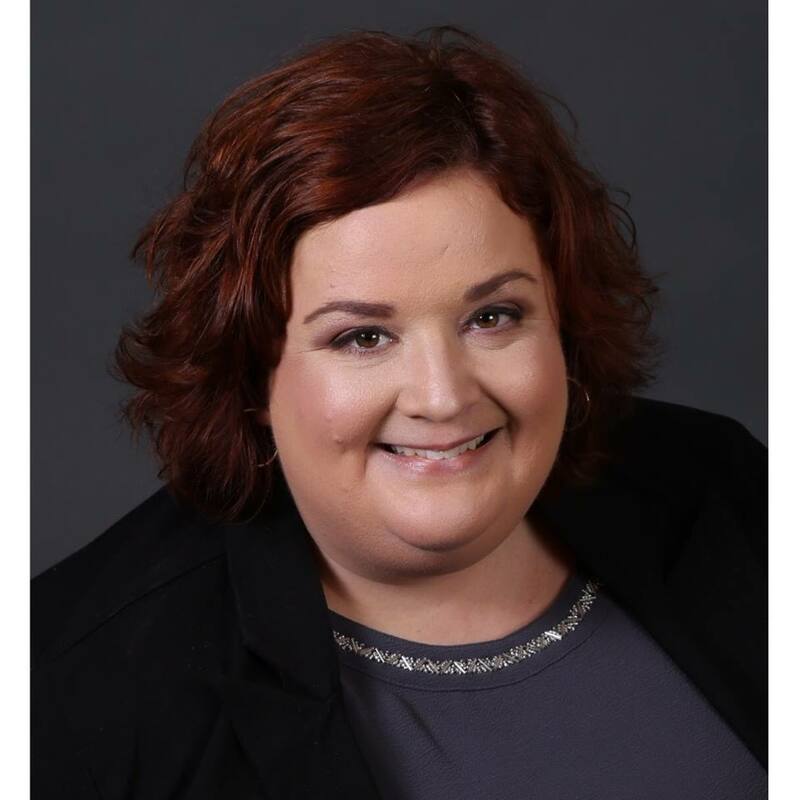 For more information on Ms. Albrecht-Pedrick, please visit the following website: http://www.ylslegal.com/attorneys/Stephanie_Albrecht_Pedrick.html. 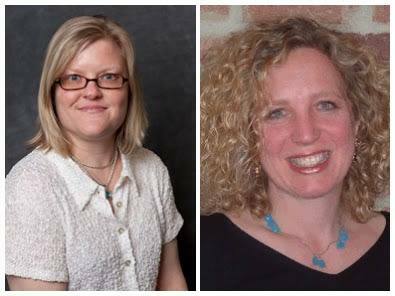 Through The SJLS Guardianship Project For Children, volunteer attorneys give their time to help parents of disabled children who will soon turn 18 years of age. If you are an attorney willing to volunteer, please contact Michelle T. Nuciglio, Esq., SJLS Director of Pro Bono Services, at (856) 964-2010 ext. 6229 or MNuciglio@lsnj.org. The SJLS Private Attorney Involvement Program sends a sincere Thank You to Rachelle Waitz-Moskowitz, Esq. who met with a low-income Camden woman in March through the Family Assist Project. Through this project, experienced family law attorneys give 30-minute advice consultations to individuals who are having custody, child support, parenting time, divorce or other family law issues. After meeting with the client, Ms. Waitz-Moskowitz called our Director of Pro Bono Services and offered to represent the client further. Ms. Waitz-Moskowitz filed a motion to increase child support and to request some relief for her client whose husband had not paid the mortgage for the former marital residence which resulted in the residence being foreclosed on. Ms. Waitz-Moskowitz was successful in obtaining an increase in the payor’s child support obligation. She also was successful in having the judge order the payor and client’s husband to pay a large sum directly to the client within two (2) weeks as a result of the client’s husband’s failure to keep up the mortgage payments as he was ordered to do. 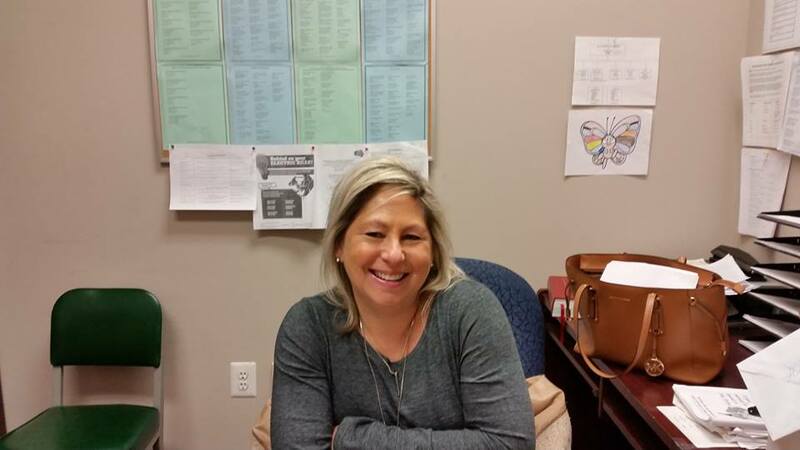 We are thankful for the willingness of Ms. Waitz-Moskowitz to go the extra mile when she saw someone who needed help. If you would like to volunteer to give a 30-minute advice consultation to an individual in need of family law advice, please contact Michelle T. Nuciglio, Esq., SJLS Director of Pro Bono Services, at (856) 964-2010 ext. 6229 or MNuciglio@lsnj.org. The SJLS Private Attorney Involvement Program thanks Jennifer L. Iseman, Esq. of Patricia Ronayne, Esquire, P.C. for providing advice consultations to victims of Domestic Violence last night at Providence House Domestic Violence Services in Delran. Ms. Iseman met with four women and gave them advice on divorce, custody, child support and domestic violence. We are very thankful that Ms. Iseman is willing to take time out of her day to provide this service to individuals who need it. For more information on Ms. Iseman, please visit the following website: http://www.ronayneesquire.com/About-Us/Jennifer-L-Iseman.shtml. For more information on Providence House Domestic Violence Services, please visit the following website: https://www.catholiccharitiestrenton.org/domestic-violence-services/. The SJLS Private Attorney Involvement Program thanks Jon DeMasi, Esquire for volunteering to help a low-income Gloucester County man with a divorce. The client was referred to Mr. DeMasi in February and Mr. DeMasi attended the divorce hearing last week. Through The Divorce Project, attorneys like Mr. DeMasi help low-income people in the 9-county SJLS service area obtain a divorce. The parties cannot have any debt or assets issues and they must provide copies of custody and child support orders for any children born of the marriage prior to their file being referred to a volunteer attorney. 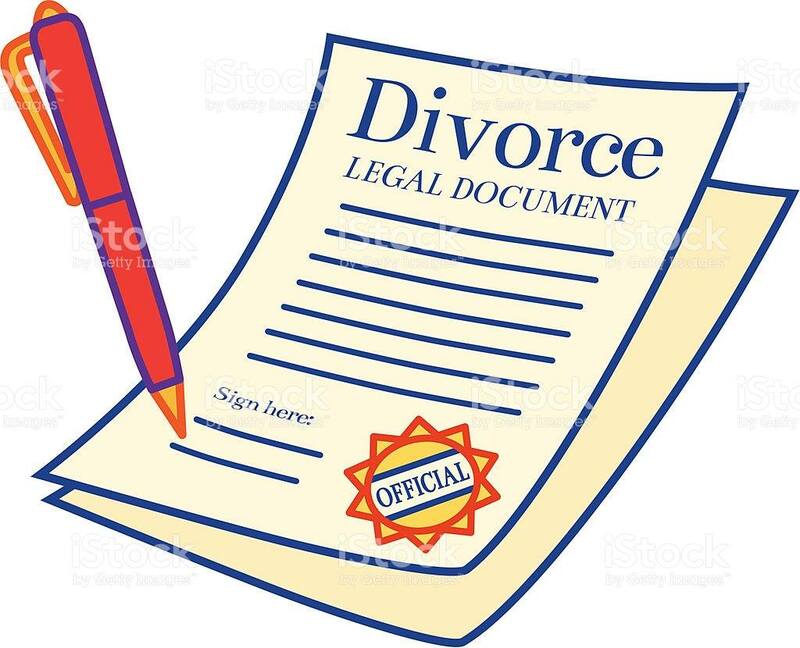 If you are an attorney who would like to share your expertise in this way and help someone obtain a divorce, please contact Michelle T. Nuciglio, Esq., Director of Pro Bono Services at SJLS, at (856) 964-2010 ext. 6229 or MNuciglio@lsnj.org. 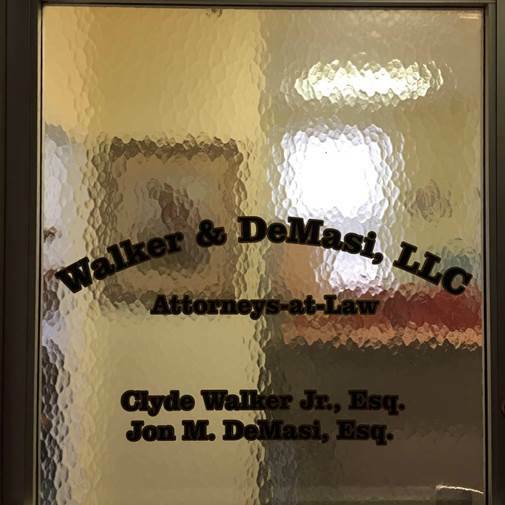 For more information on Walker & DeMasi, LLC, please visit their Facebook page at https://www.facebook.com/jonlegal/?hc_ref=PAGES_TIMELINE&fref=nf. Many thanks to John R. Tatulli, Esquire with an office in Shrewsbury, New Jersey for helping a low-income Monmouth County woman obtain an expungement. This case was particularly time-consuming because objections were filed by the prosecutor’s office. Mr. Tatulli worked closely with the client to compile all the relevant information to demonstrate that she was entitled to an expungement at this time and did not have to wait for the ten year period to expire before filing this petition. Mr. Tatulli states that “It is really an honor to serve with you and your team for people are in the most need of legal help. [This client] is an absolutely extraordinary human being. I'm glad to play a part in helping her to move from this chapter in her life. I know she will do great things.” As there are many people who need expungements, we are grateful for his willingness to continue to volunteer. For more information on Mr. Tatulli, please visit his Facebook and LinkedIn pages at https://www.facebook.com/john.tatulli.9 and https://www.linkedin.com/in/john-tatulli-9603925. If you are an attorney and would like to volunteer to help a low-income individual with an expungement, please contact Michelle T. Nuciglio, Esq., Director of Pro Bono Services at SJLS, at (856) 964-2010 ext. 6229. Thank you from the SJLS Private Attorney Involvement Program (PAI) for the long-standing support of Richard A. DeMichele, Jr. of DeMichele & DeMichele in Haddon Heights, New Jersey. Mr. DeMichele recently concluded a divorce for a low-income man who lives in Glassboro. Mr. DeMichele has assisted our office with many uncontested, no issue divorces through The SJLS Divorce Project. 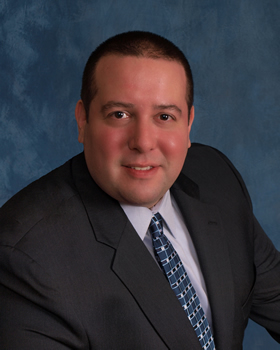 Mr. DeMichele practices mostly family law and personal injury. 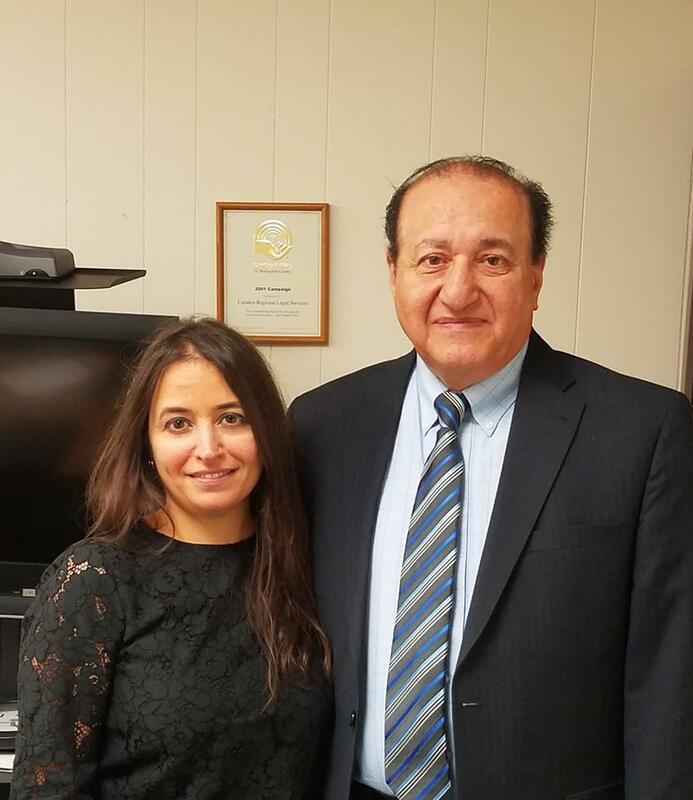 Many thanks also to Jenna Savitsky, Legal Assistant, of DeMichele & DeMichele, for her prompt attention to the cases and for always keeping PAI updated on the status of the cases we refer. 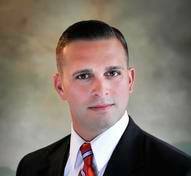 For more information on Mr. DeMichele and his firm, please visit the following website: http://southjerseylawfirm.com/blog/. A special thanks to Catherine Finnerty, Esquire for representing a disabled senior in Monmouth County in her Chapter 7 bankruptcy case. The client had significant medical issues during the course of the representation, but Ms. Finnerty ensured that the client was always informed, accommodated and given moral support throughout the case. The client stated that Ms. Finnerty was “excellent and professional in all aspects” and that she was “completely satisfied” with the services provided. Ms. Finnerty has graciously taken several bankruptcy cases and a custody case from the SJLS Private Attorney Involvement Program since the beginning of the year. We are truly thankful for her compassion and dedication to assisting our clients in Ocean and Monmouth counties. For more information about Ms. Finnerty, please visit her website at http://lawfinnerty.com/. A sincere thank you to Diane Ault Cullen, Esquire for continuing to support and volunteer with the SJLS Private Attorney Involvement Program. 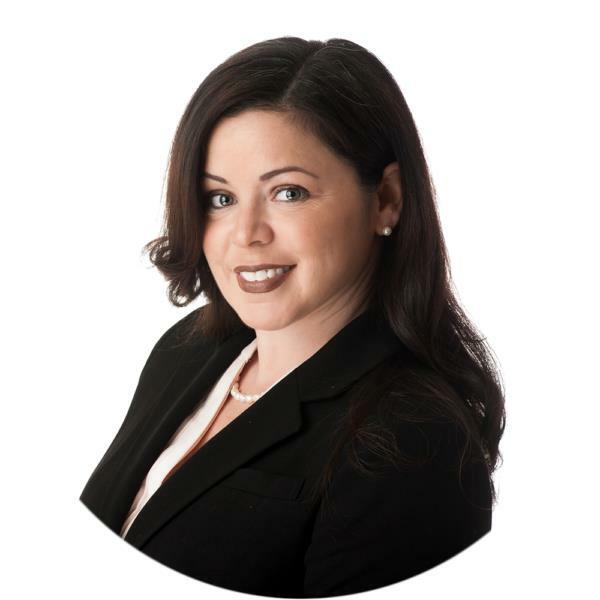 Ms. Cullen’s knowledge and expertise with Chapter 7 bankruptcies and in foreclosure matters plays an integral part in providing our Ocean County clients with the relief and peace of mind they are seeking. 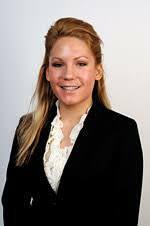 Ms. Cullen also practices in the areas of Business and Commercial Law, Personal Injury and Real Estate Transactions. 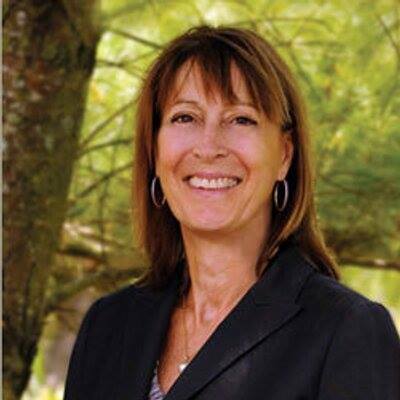 For more information please visit Ms. Cullen’s website at https://www.dianeaultcullenlawyer.com/attorneys-1.html. 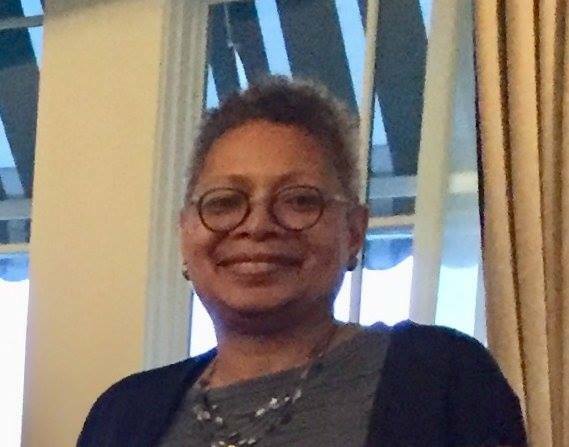 The SJLS Private Attorney Involvement Program would like to thank Adrienne N. Anderson, Esquire for her assistance to our Ocean and Monmouth County clients. Both clients’ goals were to get their credit and finances back in order. Thanks to Ms. Anderson’s pro bono representation, both clients obtained Chapter 7 bankruptcy discharges allowing them to have true fresh starts. Ms. Anderson is an associate at Ciardi Ciardi & Astin in Philadelphia and focuses her practice on corporate litigation and bankruptcy. She is licensed in both New Jersey and Pennsylvania. For more information on Ms. Anderson, please visit http://www.ciardilaw.com/adrienne-anderson.asp. Thank you to Suzanne M. Noyes, Esq. of Pepper Hamilton LLP in Princeton for traveling to our Camden office today to meet with the parent of a child who had been denied SSI benefits. Ms. Noyes is not only a member of the team at Pepper Hamilton LLP which works on these cases, but she is also a member of the firm’s Child Advocacy Program, a pro bono effort to represent children who are the victims of alleged abuse or neglect and are under the care and supervision of Philadelphia’s Department of Human Services. The SJLS Private Attorney Involvement Program is thankful for Ms. Noyes’ willingness to help. 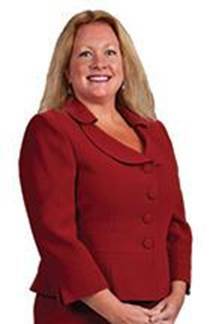 For more information on Ms. Noyes, please visit the following website: http://www.pepperlaw.com/people/suzanne-m-noyes/. 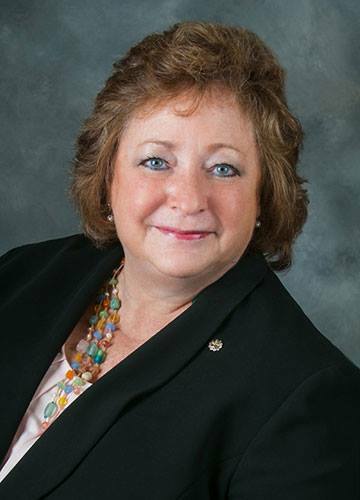 The SJLS Private Attorney Involvement Program (PAI) would like to thank Mary A. Krieger, Esquire of Collins, Vella & Casello, LLC in Manasquan for assisting an Ocean County senior with a Chapter 7 bankruptcy. The client was burdened by significant credit card that she could no longer repay due to a disability that made it difficult for her to continue working. The client stated to PAI that she is completely satisfied with Ms. Krieger’s representation and obtained all her objectives with this bankruptcy. Ms. Krieger’s practice focuses on debtor/creditor matters and debt workouts. Ms. Krieger has been volunteering with our bankruptcy project since 2014. 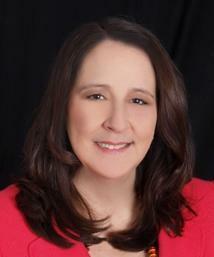 For more information about Ms. Krieger, please visit the firm’s website at http://www.cvclaw.net/. Last night, Andrew Rochester, Esq. of Morgenstern & Rochester in Cherry Hill provided advice consultations to victims of domestic violence at Providence House Domestic Violence Services in Delran. He met with women in need of advice regarding divorce and restraining orders. Mr. Rochester’s willingness to share his expertise with Providence House both by giving seminars and these advice appointments is much appreciated. Once a month, the SJLS Private Attorney Involvement Program arranges for a volunteer attorney to give advice consultations to victims of domestic violence. If you are an attorney who would like to provide an advice consultation on a family law matter to a victim of domestic violence, please contact Michelle T. Nuciglio, Esq., Director of Pro Bono Services at SJLS, at (856) 964-2010 ext. 6229 or MNuciglio@lsnj.org. 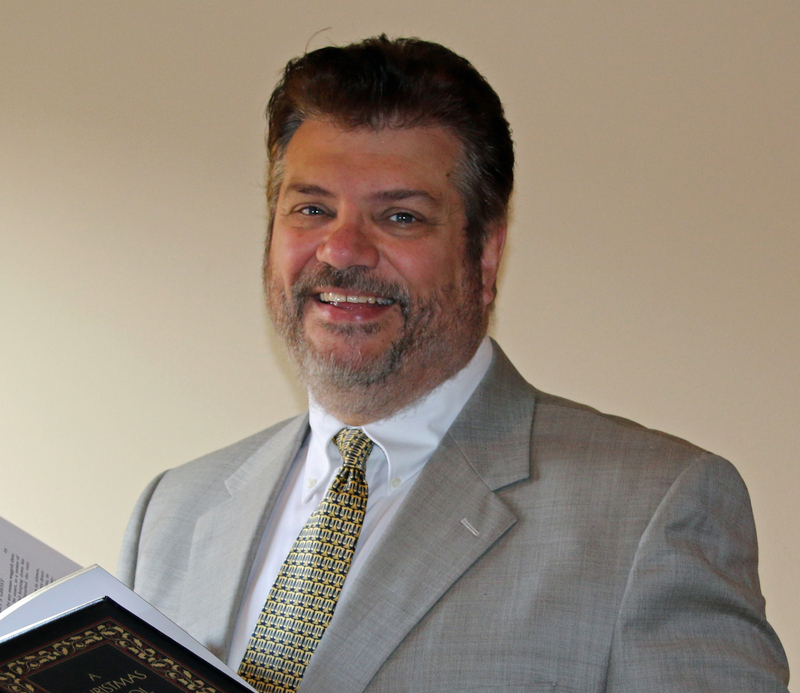 For more information on Mr. Rochester and his firm, please visit the following website: http://www.mandrlaw.net/. For more information on Providence House Domestic Violence Services and their comprehensive services to victims of domestic abuse and their children, please visit the following website: https://www.catholiccharitiestrenton.org/domestic-violence-services/. 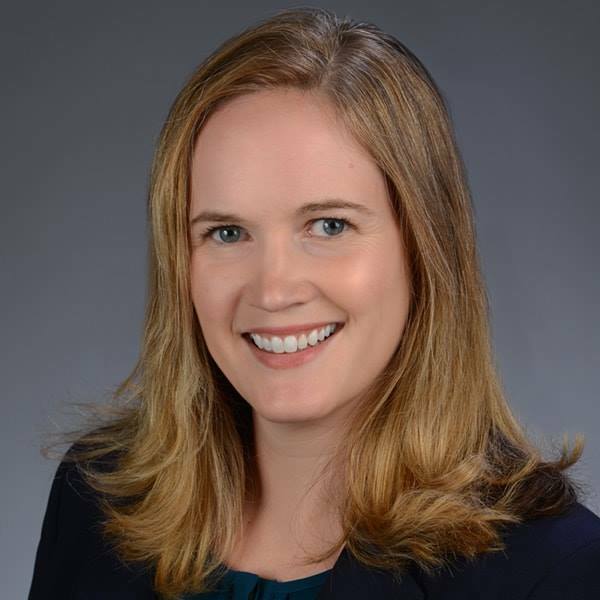 Congratulations to Meredith Schalick, Esq., founder of the Child and Family Advocacy Clinic (CFAC) at Rutgers Law School in Camden, for a favorable disability determination on a case referred through our Children’s Supplemental Security Income (SSI) Project. The case was referred to the CFAC in January 2017. The claimant was a 7 year old girl who had been denied SSI benefits once. The child had Attention Deficit Hyperactivity Disorder and Oppositional Defiant Disorder and had attended the CASTLE program for her emotional and behavioral difficulties. The disability adjudicator held that the child had marked impairments in the Interacting and Relating with Others and Caring For Yourself functional domains. For more information on Meredith Schalick, Esq. and the CFAC, please visit the following website: https://law.rutgers.edu/directory/view/schalick. The SJLS Private Attorney Involvement Program thanks Erika-Leigh Kelley, Esq. of Cooper Levenson in Atlantic City who accepted a pro bono case today through The SJLS Guardianship Project for Children. Ms. Kelley volunteered to assist parents who needs guardianship over their disabled son who will soon turn eighteen years old. Through this project, volunteer attorneys assist parents who need guardianships for their disabled children who will soon turn 18. If you are an attorney who wants to share his or her expertise in this area while earning your Madden credits, please contact Michelle T. Nuciglio, Esq., SJLS Director of Pro Bono Services, at (856) 964-2010 ext. 6229. Ms. Kelley practices in the Commercial Litigation Group of Cooper Levenson on a wide array of matters including business, real property and franchise disputes. The special emphasis of Ms. Kelley’s practice is on probate matters, including trust administration disputes, guardianship work and will contests. For more information on Ms. Kelley, please visit the following website: https://www.cooperlevenson.com/team/content/?name=Erika-Leigh_Kelley. Continued thanks to Pepper Hamilton LLP for their pro bono assistance in our Children’s Supplemental Security Income Project. Pepper Hamilton LLP accepted a case through this project in March 2016 and has been working with a parent whose child received a termination of SSI benefits notice last year. The child, a thirteen year old boy, has asthma and communication issues. Jonathan M. Preziosi, Esq. traveled to our Camden office to meet with the child’s parent today to prepare for the upcoming hearing. The attorneys at Pepper Hamilton LLP have many made trips to our Camden office this year alone to help these families and their efforts are very much appreciated. For more information on Mr. Preziosi, please visit the following website: http://www.pepperlaw.com/people/jonathan-m-preziosi/. Michelle T. Huntsman, Esq. and Melissa A. Chuderewicz, Esq. A big Thank You from the SJLS Private Attorney Involvement Program to Pepper Hamilton LLP attorneys, Michelle T. Huntsman, Esq. and Melissa A. Chuderewicz, Esq., for traveling to our Camden office today to meet with the parent of a child whose disability benefits have been terminated. Ms. Huntsman and Ms. Chuderewicz accepted this case pro bono in March 2017. Shortly thereafter, the claimant’s parent received notice that a hearing was scheduled for May 2017. These attorneys immediately scheduled a meeting with the parent and expressed that even though the hearing was scheduled on such short notice, they will make their best efforts to get all the evidence and advocate for this child who has speech and language impairments, Attention Deficit Hyperactivity Disorder and asthma. Pepper Hamilton LLP has been a staunch supporter of our Children’s Supplemental Security Income Project and has obtained many favorable decisions for these children who may not have otherwise received representation. 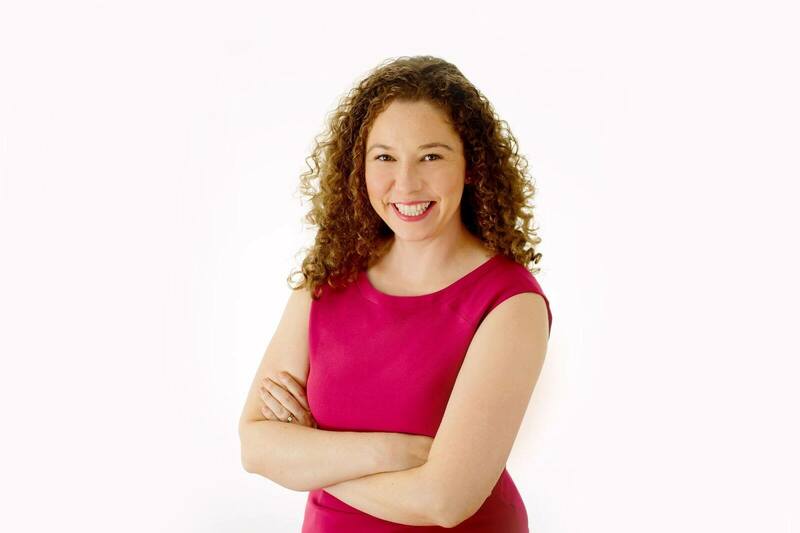 For more information on Ms. Chuderewicz, please visit the following website: http://www.pepperlaw.com/people/melissa-a-chuderewicz/. For more information on Ms. Huntsman, please visit the following website: http://www.pepperlaw.com/people/michelle-t-huntsman/. The SJLS Private Attorney Involvement Program thanks Kelly Newman, Esquire from the Law Offices of Lynda L. Hinkle located in Turnersville, New Jersey. Ms. Newman is always willing to help low-income individuals in need of divorce through our program. Ms. Newman recently completed an uncontested divorce and has since accepted three others. Ms. Newman’s practice focuses on family law, estate planning & litigation and family immigration matters. We are very happy for her continued support of our Private Attorney Involvement Program. For more information about Ms. Newman and her firm, please visit http://www.kelly@lyndahinkle.com. 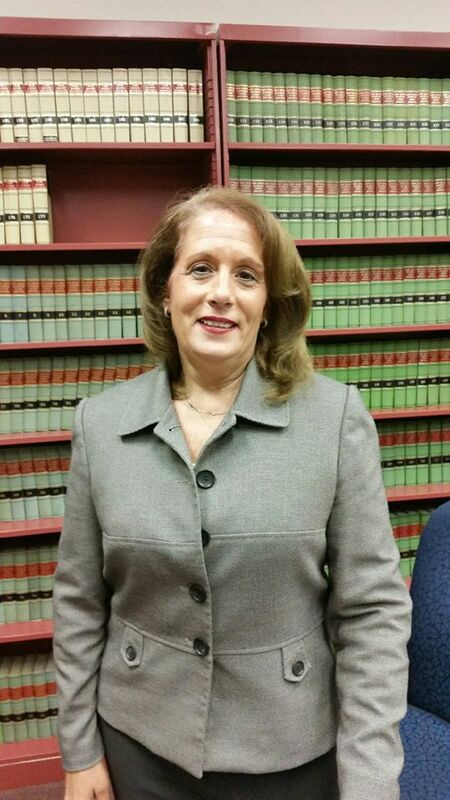 The SJLS Private Attorney Involvement Program thanks Pamela Johnson, Esquire of the Johnson Law Firm LLC in Freehold for assisting a disabled senior in Monmouth County in obtaining a divorce. The client was very thankful for Ms. Johnson’s assistance and was very satisfied with the representation. Ms. Johnson’s practice focuses on worker’s compensation and social security disability matters. For more information about Ms. Johnson and her firm, please visit http://www.pamelajohnsonlaw.com/. 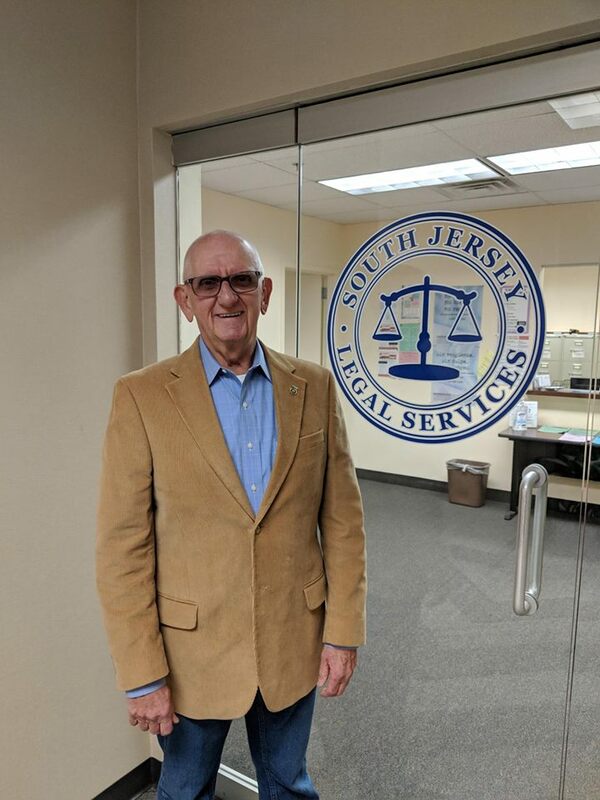 The SJLS Private Attorney Involvement Program thanks Gregory J. Bevelock, Esquire of The Law Office of Gregory J. Bevelock, LLC, for volunteering to assist a Monmouth County resident with an expungement. Mr. Bevelock focuses his practice on civil matters including business disputes, personal injury and professional malpractice. 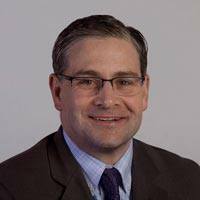 He is also a member of the District XA Ethics Committee and the Board of Trustees of the Catholic Academy of Passaic County. For more information on Mr. Bevelock, please visit https://www.bevelocklaw.com/. The SJLS Private Attorney Involvement Program thanks James Gentile, Esq. who has been volunteering in our Atlantic County office for one year. He has been mainly volunteering with SNAP benefits, food stamps and domestic violence cases. Mr. Gentile recently accepted an uncontested divorce for an Atlantic County low-income resident. Today, Mr. Gentile met with a young woman with physical injuries resulting from a domestic violence matter and agreed to represent her. 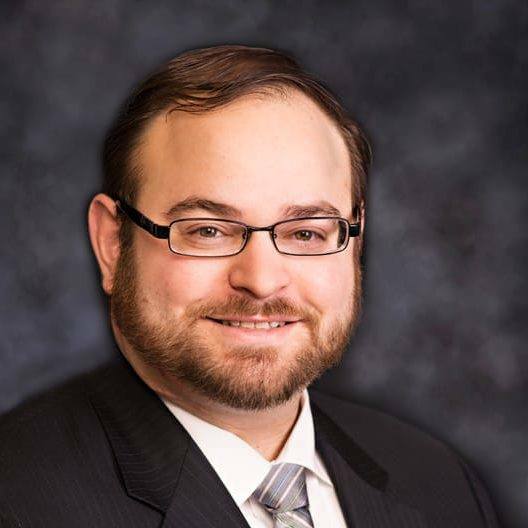 Mr. Gentile will be the presenter at the upcoming Breakfast Briefing seminar on Wednesday, March 29th at 10:00 am in our Atlantic City office and will focus on the Family Reunification Process in NJ. We are happy that Mr. Gentile has been willing to volunteer his time so generously over the past year. 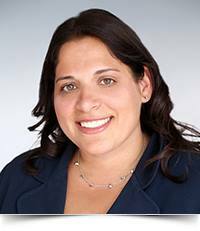 The SJLS Private Attorney Involvement Program thanks Joanna J. Schiaffo, Esquire of The Law Office of Rachel S. Cotrino, LLC in Jackson, New Jersey for assisting a disabled Monmouth County resident with her divorce. The client was extremely thankful for the advice and representation provided by Ms. Schiaffo and stated that she would want Ms. Schiaffo to represent her again should the need arise. 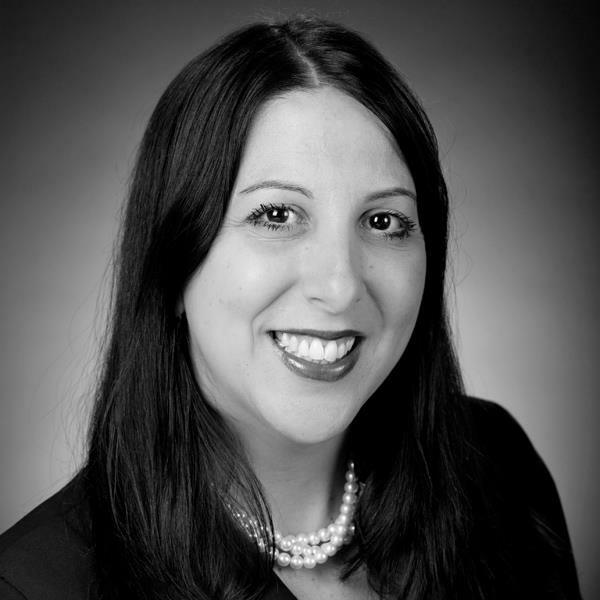 Ms. Schiaffo is a graduate of Rutgers School of Law, Camden and focuses her practice on divorce and family law, domestic violence representation, and mediation. 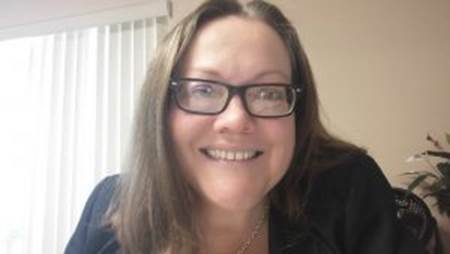 She is also a member of the Ocean County Bar Association Pro Bono Committee which met for the first time at the SJLS Toms River office in February. 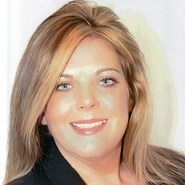 For more information on Ms. Schiaffo, please visit http://www.divorcelawyerjacksonnj.com/. Georgette Miller, Esq. has supported our Private Attorney Involvement Program for over 6 years by assisting indigent individuals with Chapter 7 bankruptcies. This week, Ms. Miller accepted a case for a low-income woman in Camden County who has been burdened with a wage garnishment while trying to get out of debt and clear her credit. We are thankful for Ms. Miller’s years of assistance. If you are a bankruptcy attorney and would like to volunteer, please contact Michelle T. Nuciglio, Esq., Director of Pro Bono Services at SJLS, at (856) 964-2010 ext. 6229 or MNuciglio@lsnj.org. 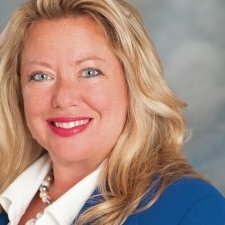 For more information on Ms. Miller and her firm, please visit the following: http://georgettemillerlaw.com/ or https://www.facebook.com/AttorneyGeorgetteMiller/. The SJLS Private Attorney Involvement Program thanks Christopher Stanchina, Esquire for his support of The SJLS Guardianship Project for Children which was launched last year. This week, Mr. Stanchina volunteered to take a case pro bono to help parents obtain guardianship over their autistic son. The parents contacted SJLS in January 2017 because their son is not able to care for himself and will not be able to care for himself once he reaches the age of 18. 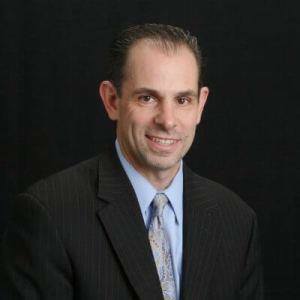 Mr. Stanchina graduated in 1995 from Villanova School of Law and is a member of New Jersey State Bar Association. His office is located in Linwood, New Jersey. Thank you to Mr. Stanchina for being willing to assist this family. For more information on Mr. Stanchina, please visit the following: https://www.linkedin.com/in/christopher-stanchina-6412ab15. Rachel Guallpa, Esq. has been volunteering through our Private Attorney Involvement Program for over two years. She is currently handling an uncontested divorce for a low-income Salem county resident. Ms. Guallpa states that “I enjoy volunteering through pro bono opportunities because I have always believed that everyone is entitled to at least have access to an attorney, regardless of their ability to pay, and we as attorneys have an obligation to use our knowledge to help individuals who would otherwise be on their own negotiating a complex legal system.” SJLS thanks Ms. Guallpa for helping her pro bono client obtain a divorce. For more information on Ms. Guallpa and her firm, please visit the following website: http://guallpalaw.com/index.html. The SJLS Private Attorney Involvement Program would like to thank David G. Esposito, Esquire, of Esposito & Leboeuf, LLC, in Manahawkin, NJ, for volunteering to accept another pro bono bankruptcy case. Mr. Esposito is currently assisting a low-income Ocean County resident with a Chapter 7 bankruptcy. 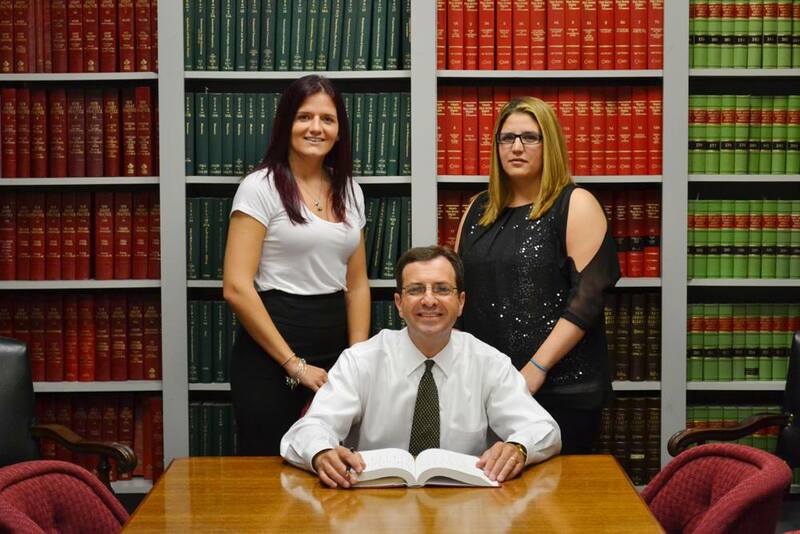 In addition to bankruptcy, Mr. Esposito’s firm handles real estate, divorce and family law and civil litigation. For more information about Mr. Esposito and his firm please visit their website at http://www.espositoleboeuflaw.com/index.html. The SJLS Private Attorney Involvement Program thanks Robert P. Lang, Esquire for assisting an 83 year old Atlantic County resident who needed a will. Mr. Lang and Terri Lotierzo from his office were very kind and patient with the client, who was also Spanish-speaking. Mr. Lang has supported our volunteer program for many years and we are very thankful for his support. For more information on Mr. Lang and his firm, please visit the following website: http://www.foxrothschild.com/robert-p-lang/. 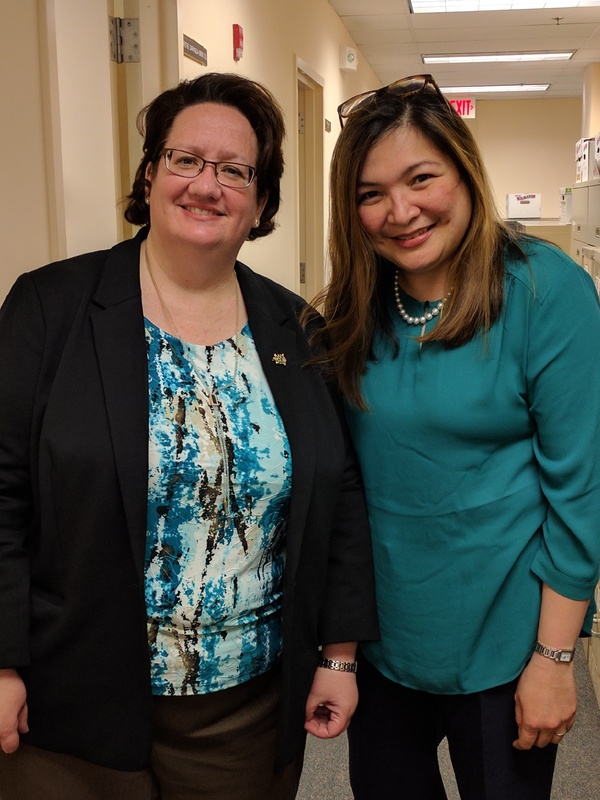 A special thank you to Catherine Finnerty, Esquire of Montville, NJ (pictured left with Kristine Carranceja-Gurski, Esquire, Assistant Pro Bono Coordinator at SJLS) for volunteering to accept pro bono bankruptcy cases through the SJLS Private Attorney Involvement Program. 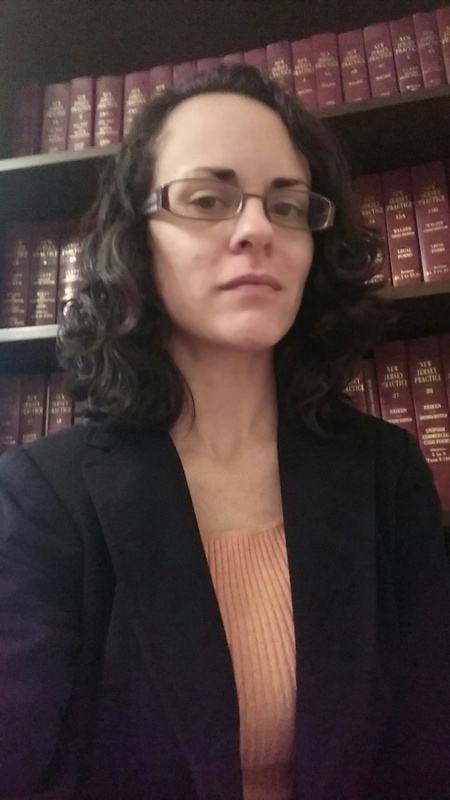 Ms. Finnerty recently accepted Chapter 7 cases for representation of two low-income residents of Monmouth and Ocean Counties and has graciously agreed to meet with each client at the SJLS neighborhood offices. In addition to bankruptcy, Ms. Finnerty handles debtor/creditor negotiations and foreclosure alternatives. For more information about Ms. Finnerty, please visit her website at http://lawfinnerty.com/. A big thank you to Scott Schweiger, Esq. and his secretary Sharon for volunteering to assist a low-income Camden County client with a divorce. The hearing was held on February 1, 2017 and the client received her divorce. The client had been waiting for help for quite some time and was very happy that Mr. Schweiger was willing to help her. For more information on Mr. Schweiger and his firm, please visit his website at https://www.schweigerlaw.com/ and facebook page https://www.facebook.com/scottschweigerlaw/. The SJLS Private Attorney Involvement Program would like to thank Scott E. Kaplan, Esquire of Allentown. NJ, for agreeing to substitute for another pro bono attorney in a referral where the attorney had a conflict with one of our Monmouth County clients. 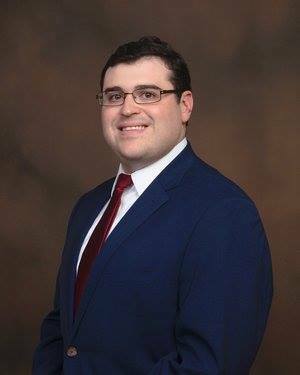 Mr. Kaplan has also accepted two additional pro bono referrals of Monmouth and Ocean County residents who are in need of assistance with Chapter 7 bankruptcy matters, one of which is a Spanish-speaking client. Besides bankruptcy, Mr. Kaplan’s firm also handles landlord and tenant issues, home foreclosures and real estate transactions. 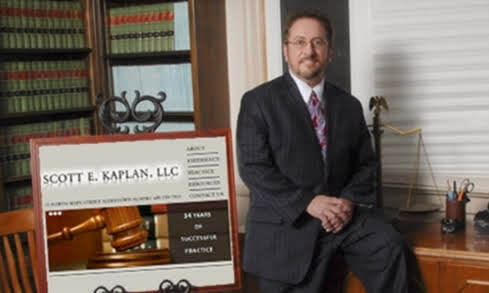 For more information about Mr. Kaplan and his practice, please visit his website at http://www.sekaplanlaw.com/index.html. The SJLS Private Attorney Involvement Program thanks Ralph Paul Busco, Esq. with a law office located in Brigantine, New Jersey. Mr. Busco volunteered to draft a will and power of attorney for an Atlantic County senior who wanted to revise his will and make provision in the event he was incapacitated. 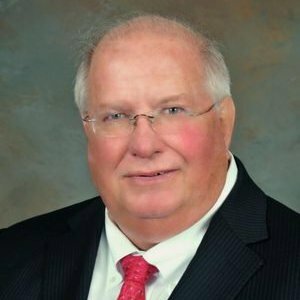 Mr. Busco’s practice areas include land use, real estate transactions, tidelands issues, tax appeals, wills, trusts & estates, business formation/dissolution and municipal court matters. Mr. Busco also has given talks in the community for SJLS in the past. For more information on Mr. Busco and his firm, please visit the following website: http://www.briglawyer.com/. 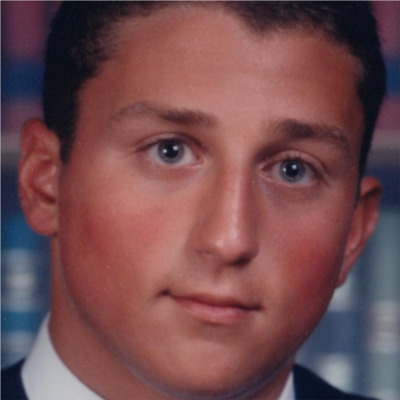 SJLS thanks long-time volunteer with our Private Attorney Involvement Program Joseph F. Fabian, Esq. of Jehl and Fabian in Haddonfield for accepting an uncontested, no issue divorce through the SJLS Divorce Project today. The client was extremely happy when she was told that she would be getting help with her divorce. Mr. Fabian has been with the firm for over 25 years, is a Superior Court Arbitrator and a former member of the District IV Supreme Court Ethics Committee. His practice includes primarily workers compensation, bankruptcy, personal injury and family law. For more information on Mr. Fabian and his firm, please visit the following website: http://www.jehlandfabian.com/about.html. SJLS thanks Anthony Santangelo, Esquire for his assistance with the SJLS Expungement Project. Mr. Santangelo has reviewed four cases for expungement eligibility and provided the clients with a detailed analysis as to whether they were eligible for an expungement. Mr. Santangelo handles the cases quickly and with great detail. Mr. Santangelo a diverse legal, business and technical background and is also registered with the United States patent and Trademark Office as a Patent Attorney. 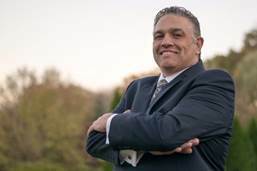 For more information on Mr. Santangelo and his firm, please visit the following website: http://njtriallawyer.tripod.com/. Taenzer, Ettenson, Stockton & Aberant, P.C. 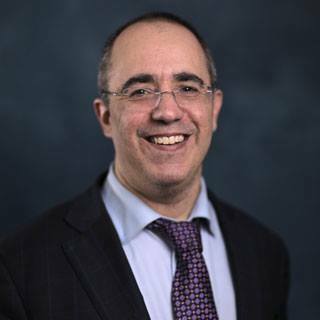 Victor Druziako is an attorney licensed to practice in the State Courts of New Jersey and Pennsylvania, the U.S. District Courts for New Jersey and Eastern Pennsylvania, and the Third Circuit Court of Appeals. He graduated from the University of Rochester in New York in 1982 and Western New England University School of Law in Massachusetts in 1985. 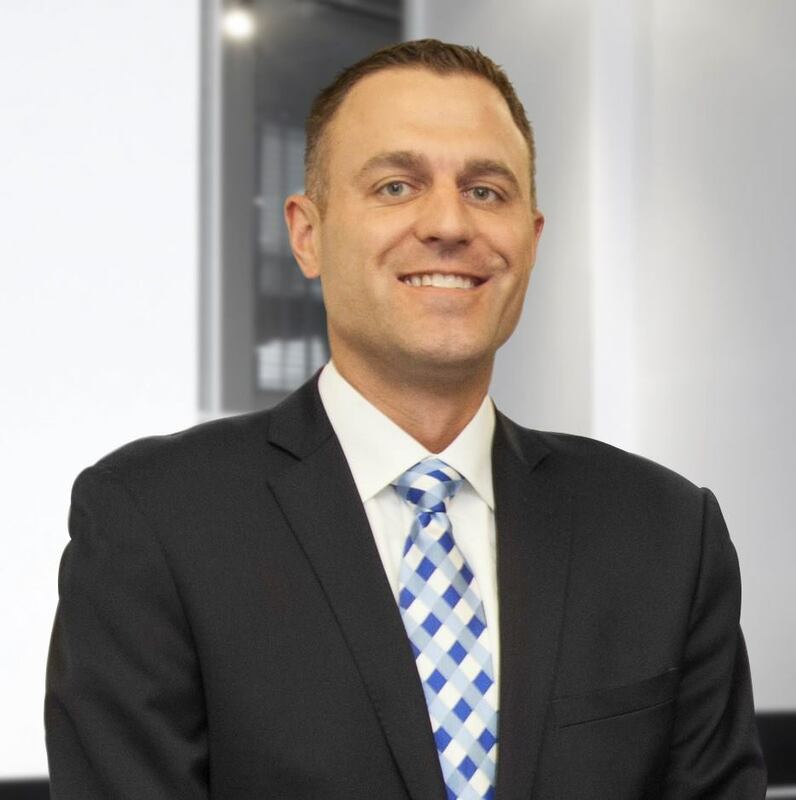 Victor Druziako began his career as an attorney at the Philadelphia law firm of Wollman and Tracey, representing banks and financial institutions in commercial foreclosures, collections, and commercial and consumer bankruptcy matters on the creditor side. He opened his own law office in 1987 in Philadelphia continuing with consumer bankruptcy, real estate, entertainment law, and contractual disputes. He practiced for a number of years as Druziako, Shih & Associates in the 1990s, with offices in Philadelphia, New York, and New Jersey. 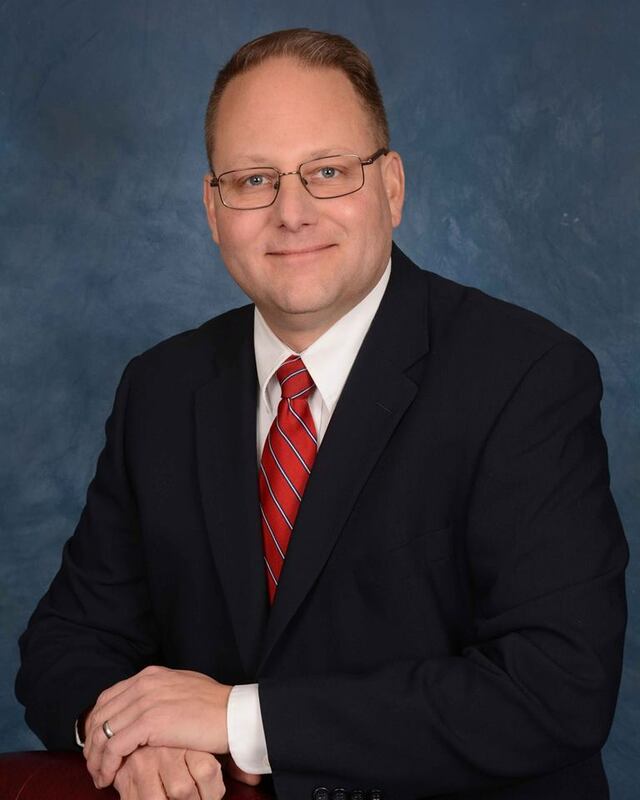 He served for five years as an associate solicitor for the City of Vineland, New Jersey, is a member of the Cumberland County Bar Association, and is the current president of the Board of Trustees for the Vineland Public Library. Victor Druziako maintains an office in Vineland, New Jersey, where the primary focus of his practice is on Consumer Bankruptcy, Contract Disputes, Wills and Estates, and Real Estate. Pro bono work is an important part of his practice, and a rewarding experience that he recommends for all attorneys. Thank you to Elizabeth T. Colaneri, Esq. of Thomas & Colaneri, P.C. in Linwood, New Jersey. Not only has been Ms. Colaneri been an SJLS Board Member for many years, she is also an active participant in the SJLS Divorce Project. Ms. Colaneri recently concluded a divorce for an Atlantic County senior citizen who had been waiting several months for help. It took several attempts by the Sheriff to serve the client’s spouse. The client was wheelchair bound and lived in a healthcare facility which posed some additional challenges. Ms. Colaneri attended the hearing with the client today and he received his Final Judgment of Divorce. We are thankful that Ms. Colaneri was able to help this client move on with his life. The SJLS Private Attorney Involvement Program thanks Frank J. Fischer, Esq. of Broege, Neumann, Fischer & Shaver, LLC in Manasquan, NJ for concluding a Chapter 7 bankruptcy pro bono for a disabled senior in Ocean County. Both Mr. Fischer and his firm have been very supportive of our volunteer attorney program since SJLS expanded into Ocean and Monmouth counties. Mr. Fischer’s practice covers various of areas of law, including bankruptcy, business & commercial, probate & estate administration, elder law & estate planning, and real estate. 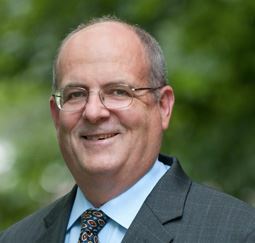 Throughout his career, Mr. Fischer has been actively involved in a number of legal and civic organizations and charities, and he currently serves as Chair of the Probate and Estate Administration Committee of the Monmouth Bar Association. For more information about Mr. Fischer and his practice, please visit his firm’s website at www.bnfsbankruptcy.com and his website at www.ffischerlawnj.com. We are very grateful for his support. 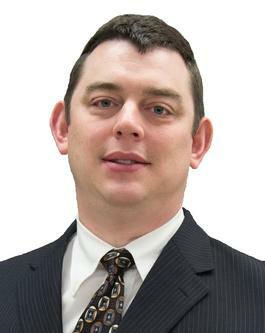 SJLS extends its thanks to Chad Sherwood, Esq. who has been a great supporter of our bankruptcy pro bono program for many years. Mr. Sherwood has been particularly helpful in assisting individuals in need of Chapter 7 bankruptcy assistance in Atlantic and Cape May counties. Mr. Sherwood always is willing to help and always does so with a very pleasant and professional attitude. 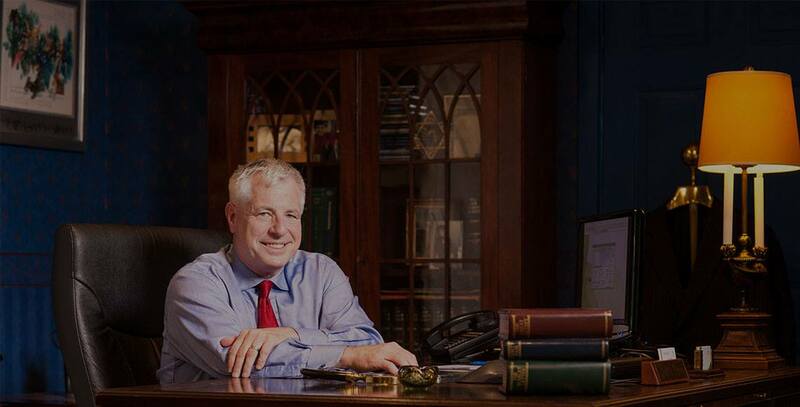 Mr. Sherwood’s office handles bankruptcy, foreclosure, real estate and personal injury matters and he is certified as a Civil Trial Attorney by the Supreme Court of New Jersey. 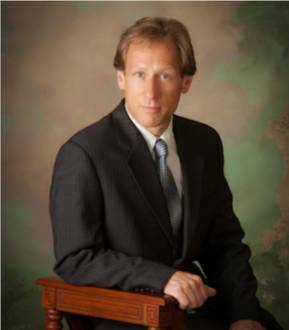 For more information on Mr. Sherwood and his practice, please visit http://www.sherwoodlegal.com/. SJLS congratulates Michael J. Watson of Brown & Connery LLP for his victory in helping a disabled child receive Supplemental Security Income (SSI) benefits through The Children’s SSI Project. The child claimant, a 7 year old boy, was referred to Mr. Watson two years ago. The child had been denied SSI benefits twice before the case was heard before an Administrative Law Judge. Mr. Watson worked on this case for over two years and represented the child claimant at a hearing held in early October. The judge found that the child had severe impairments including attention deficit hyperactivity disorder, Tourette’s syndrome, a learning disorder, asthma and oppositional defiant disorder. Further, the judge found that the child had been under these disabilities since December 2012, which will result in a large retroactive award to this family. SJLS cannot thank Mr. Watson enough. Brown & Connery has been a consistent supporter of this project for several years and this is one of many victories the firm has achieved for low-income children in our service area. For more information on Mr. Watson, please visit the following website: http://www.brownconnery.com/Associates/Michael-Watson.shtml. 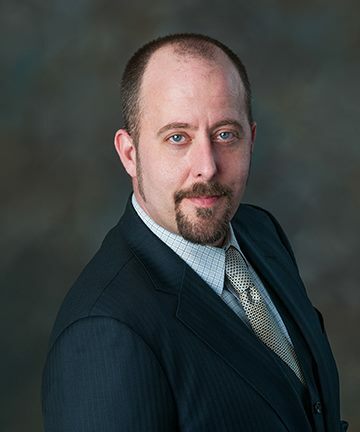 Eric LeBoeuf, Esquire, has been providing pro-bono services to the clients of Legal Services of New Jersey for several years handling such matters as Foreclosure Defense, Bankruptcy, Estate Planning and other general legal services. 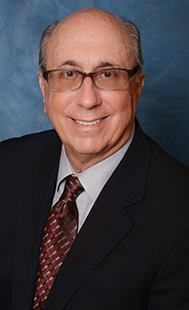 Mr. LeBoeuf also serves as the Pro-Bono attorney for low income seniors at St. Francis of Assisi church in Stafford and Long Beach Townships. Upon opening his own practice in 2011, Mr. LeBoeuf has made it a priority to provide pro bono legal services to ensure that everyone has a voice and someone by their side even in the most difficult times in their lives. 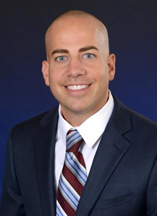 A graduate of Rutgers Law School, Camden, Mr. LeBoeuf also holds a Masters Degree from the Eagleton Institute at Rutgers and represents clients throughout the State of New Jersey from his office in Stafford Township. In 2006, South Jersey Legal Services, Inc., a civil legal services provider in New Jersey, started The Children’s Supplemental Security Income (SSI) Project, a project in which pro bono attorneys and law students assist low-income, disabled children with obtaining SSI benefits. SSI benefits are monthly payments made by the Social Security Administration (SSA) to individuals who are low income, have few resources and who are over sixty-five, blind or disabled. 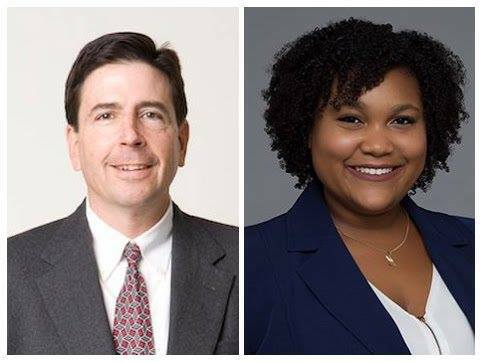 Paul F. Jenkins, Esquire, David A. Haworth, Esquire and Lori Clarke-Ratliff, Paralegal, part of The Children’s SSI Team at Ballard Spahr LLP in Cherry Hill, accepted a children’s SSI case pro bono in March 2014. The child claimant was a 9 year old girl with Attention Deficit Hyperactivity Disorder, gross motor delays, speech problems, behavioral problems and some fine motor problems. She was born premature with a birth weight of 650 grams. Despite these issues, this child who was previously receiving SSI benefits was deemed to be no longer disabled after a disability review. The Ballard team requested an adjournment of the imminent hearing in order to prepare the case but the team accepted the case without knowing whether this request would be granted. Fortunately, the team was granted an adjournment and spent the following months obtaining medical and educational records. The team submitted a letter brief in support of the child’s claim for benefits and appeared at the hearing in June. On September 10, 2014, the Office of Disability Adjudication and Review issued a Fully Favorable decision for this child. The Administrative Law Judge found that the child continued to have marked limitations in several domains that the Social Security Administration reviews to assess disability including Acquiring and Using Information, Attending and Completing Tasks and Moving About and Manipulating Objects. Ballard Spahr has been a great supporter of this Project for several years. We congratulate Mr. Jenkins, Mr. Haworth and Ms. Clarke-Ratliff on their most recent victory. Larry Brodsky, Esquire has been volunteering with SJLS since the early 1990s. Mr. Brodsky has conducted innumerable consumer debt advice seminars over the years, many times throughout each year, for SJLS’ clients. During these seminars, Mr. Brodsky provides information on how to respond to a Summons and Complaint, debt negotiation procedures, bankruptcy and other debtor rights. He takes the time to answer every person’s question and gives him or her advice as to how to proceed with any specific questions they have after the seminar, in individual consultations. Many times, clients bring paperwork regarding their situations and Mr. Brodsky graciously reviews what they bring. He has helped hundreds of people and does so with compassion in situations that are very frustrating for the people who attend his seminars. He treats all attendees with respect, sensitivity and patience. Mr. Brodsky has a B.A. from Gettysburg College, an M.S. in Education from the University of Pennsylvania, a Ed.M in Special Education from Temple University and a J.D. from Delaware Law School. 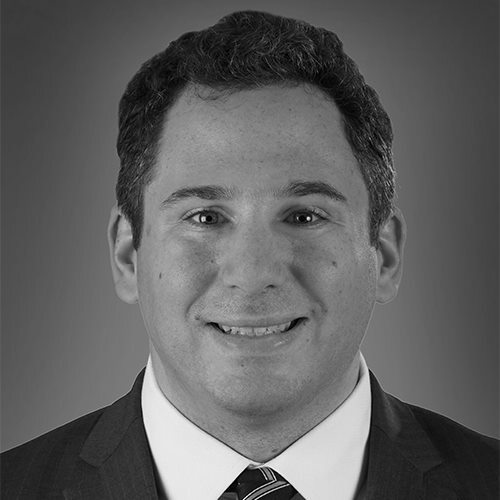 Mr. Brodsky predominantly practices in the areas of business law, commercial transactions, estate planning and estate administration. 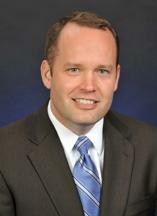 SJLS would like to thank Andrew L. Rochester, Esquire of Morgenstern & Rochester in Cherry Hill. On August 26th, 2014, Mr. Rochester spoke to women at Providence House Domestic Violence Services of Catholic Charities about the Prevention of Domestic Violence Act and how victims may better prepare for and present their cases in court. Mr. Rochester has spoken at Providence House before on other family law issues. Mr. Rochester presents the law in an easily understandable way for people who are not familiar with it. He has been very generous with his time and we thank him very much. See http://www.mandrlaw.net/ and http://www.catholiccharitiestrenton.org/cc3/index.php?page=providence-house. Nancy Morgenstern, Esquire of Morgenstern & Rochester in Cherry Hill has been an enthusiastic supporter of SJLS’s partnership with Providence House Domestic Violence Services. She has met with many victims of domestic violence and provided consultations on issues such as custody, support and divorce. Most recently, Nancy met with three women last night at Providence House in Delran. Pictured are Nancy Morgenstern, Esquire (L) and Penny Paparteys, DVS, Advocacy Services Supervisor at Providence House Domestic Violence Services. See http://www.mandrlaw.net/ and http://www.catholiccharitiestrenton.org/cc3/index.php?page=providence-house. 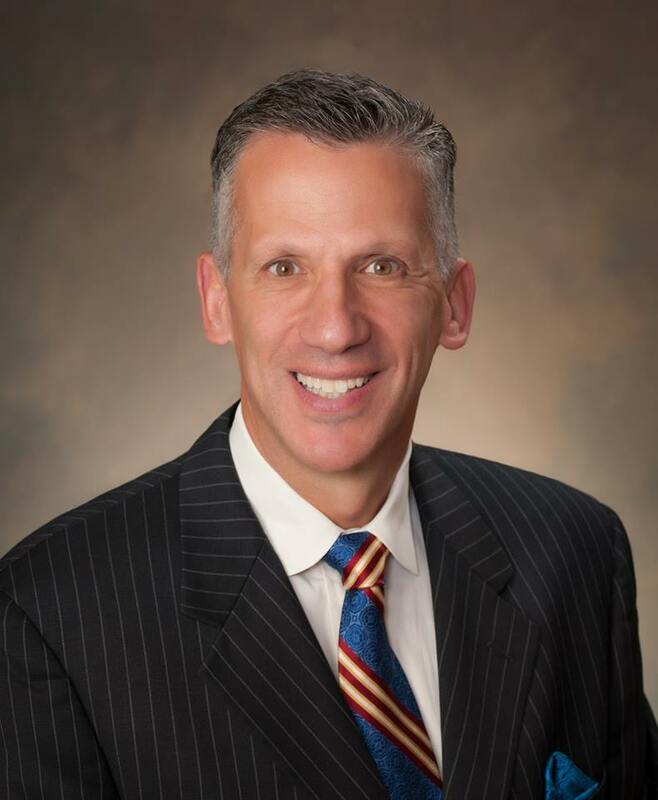 Ciardi Ciardi & Astin managing partner Albert Ciardi III and his team of bankruptcy attorneys have enjoyed volunteering through South Jersey Legal Services over the past five years. Jennifer Cranston McEntee leads the firm's volunteer efforts, and is always happy to manage several South Jersey Legal Services cases at once. Because CCA and Al Ciardi have been so impressed with the work and model of SJLS, they've been able to follow inspirational insight to develop further projects where needed. Through his regular pro bono bankruptcy work with SJLS, Al took on a bankruptcy case which happened to be a female veteran fresh off a deployment to Iraq. After helping to discharge the debts of this veteran, Al turned to close friends such as Daniel Astin (former Navy JAG and Counsel to Commanding Officer USS Constellation) and Colonel Frank Ryan (USMC, Ret.) to ask if consumer assistance to veterans either in poverty or hinging on its cusp would be a recurring need. Upon discovering it was indeed, Al brought in these same colleagues as Board Members and together they founded the Military Assistance Project; a nonprofit organization which provides direct and free legal services for active duty, reserve, or veteran military personnel in the form of pro bono bankruptcy services. MAP is able to provide services outside SJLS's realm because qualifications are service based and not income reliant. Today CCA remains a strong SJLS partner and, where possible, MAP and SJLS refer cases between their respective organizations. MAP will always look to South Jersey Legal Services as the leading organizational which inspired them to make a difference! Daniel A. Frischberg, Esq. is a solo practitioner in the fields of Bankruptcy, Consumer Rights & Student Loan Law. Prior to starting his own practice, he briefly worked in collection law and also owned his own sports memorabilia business. Mr. Frischberg enjoys helping people who can’t afford legal services and regularly takes on pro bono cases for several organizations. Mr. Frischberg is a member of the National Association of Consumer Bankruptcy Attorneys and the National Association of Consumer Advocates. 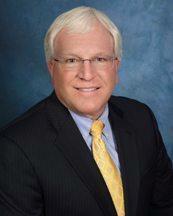 Mr. Frischberg was recently selected for inclusion in Super Lawyers Magazine, Rising Stars 2014. Mr. Frischberg earned his B.A. in Political Science from Stony Brook University in 2004, and his J.D. from the Thomas M. Cooley Law School in 2007. He is admitted to the bars of New York, New Jersey and the U.S. District Court for the District of New Jersey. 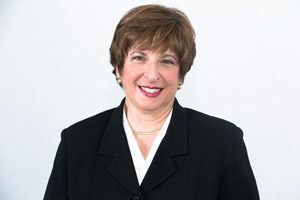 Lisa Radell, Esq. has been taking uncontested divorces from SJLS for many years. Her support is especially appreciated as she takes Cape May county cases, where SJLS has a limited number of volunteer attorneys. Her most recent case was referred today and is for a Cape May county woman who has been waiting since January. The client was very excited to be finally receiving help. Thank you Lisa for your support! Congratulations to Jeffrey R. Johnson, Esquire of Brown & Connery, LLP in Westmont on obtaining a fully favorable disability decision for a young girl who had been denied Supplemental Security Income benefits twice. Mr. Johnson accepted this pro bono case through The Children’s Supplemental Security Income (SSI) Project at SJLS. With only two weeks to prepare for the case because an adjournment request was denied, his success is especially noteworthy. The twelve year old child claimant suffered from bipolar disorder, attention deficit hyperactivity disorder and oppositional defiant disorder and was found to have severe impairments resulting from these issues. We congratulate Mr. Johnson and trust that these benefits will help this child and her family. 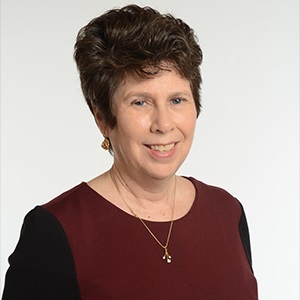 Congratulations to SJLS pro bono attorney Jane Fearn-Zimmer, Esquire of the Rothkoff Law Group in Cherry Hill, NJ, for successfully obtaining long term Medicaid assistance for an elderly client displaced from his home by Superstorm Sandy. Our client, an 88 year old WWII veteran and quadruple amputee, was directly impacted by Superstorm Sandy when it made landfall over Brigantine on October 29, 2012. His home was significantly damaged by the storm and he was eventually forced to relocate to a skilled nursing facility. 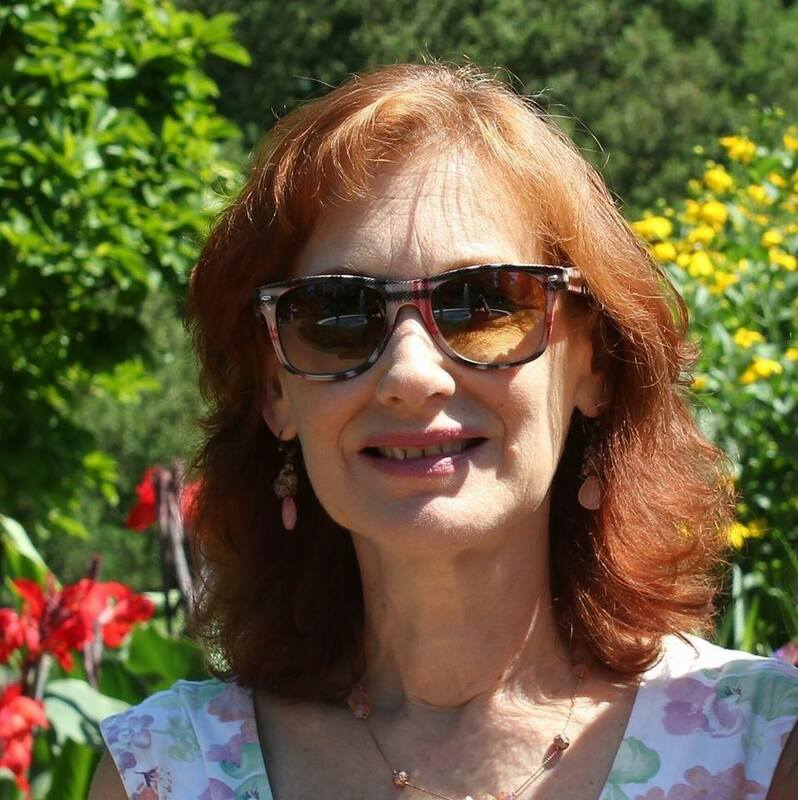 Denied Medicaid benefits to help pay for his care, Ms. Fearn-Zimmer succeeded in obtaining his needed benefits. This case was made possible by a special Superstorm Sandy grant from the Legal Services Corporation. 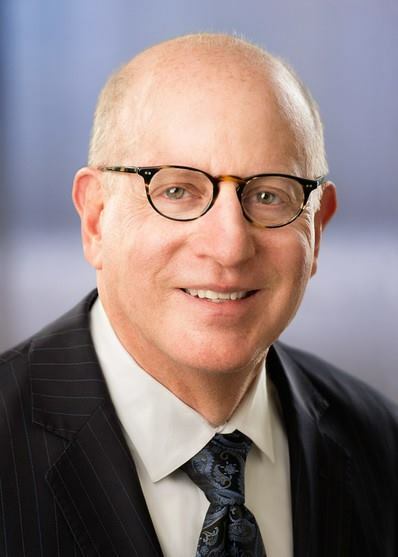 Jay S. Lowenthal, a solo practitioner in Woodbury, serves as a pro bono attorney for Legal Services of New Jersey representing clients in bankruptcy proceedings. 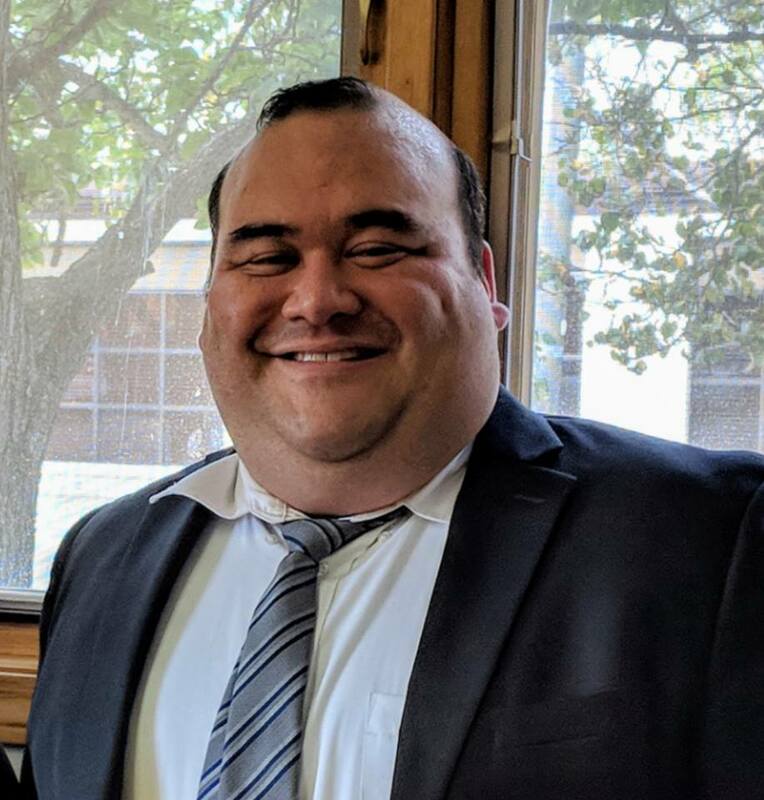 He began his pro bono career with South Jersey Legal Services when he was a student at Rutgers Law School – Camden working with local attorneys in the law school’s program assisting low-income individuals and families file for bankruptcy relief. When Mr. Lowenthal graduated and opened his firm, he decided to stick with bankruptcy as one of the areas in which he practices. 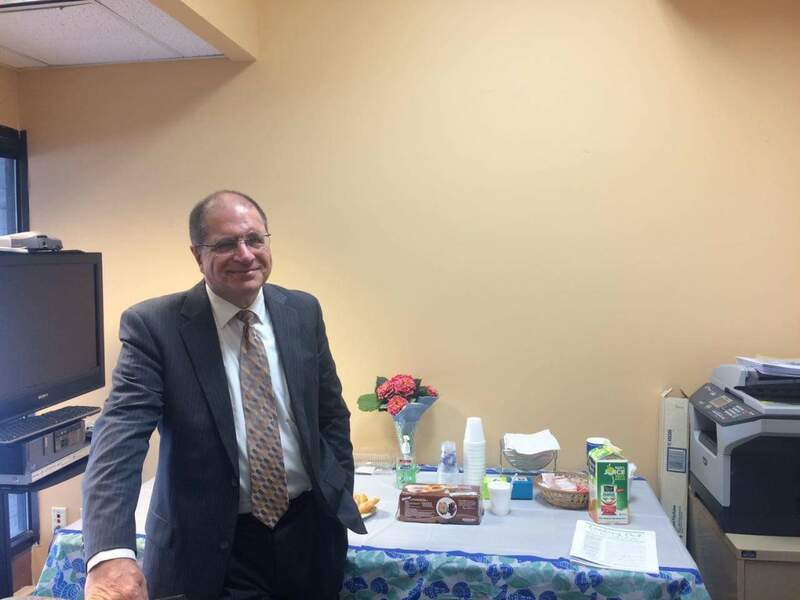 He has kept his relationship with South Jersey Legal Services by mentoring and working with current law students to provide bankruptcy services to low-income residents. Mr. Lowenthal says there is no greater feeling than helping someone who otherwise could not afford to get help. The gratitude that comes from providing pro bono services is immeasurably greater than the gratitude of the one who receives it. Charles Goeke graduated from George Washington University Law School and is admitted to the bars of New Jersey, New York and Maryland (inactive). In 2013 he retired from a career with the federal government. For the last 25 years, he was a senior trial attorney with the Defense Department litigating government contract cases. He tried cases primarily before a board of contract appeals, many of which involved complex matters with major defense contractors. He also assisted the Justice Department with cases before the U.S. Court of Claims and in federal district courts and courts of appeals. 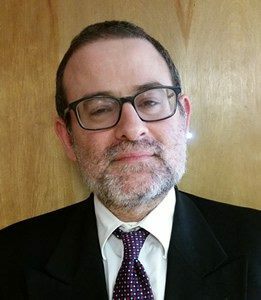 With regard to his volunteer work for Legal Services of New Jersey, he says he enjoys delving into and learning the state court procedures and finds the cases to be both interesting and challenging. John Charles Shamy is a solo practitioner in Somerset, New Jersey . A Vietnam veteran, he was admitted to practice in 1972. 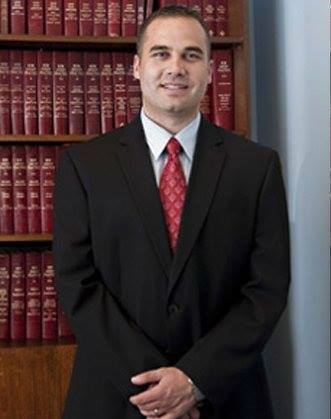 During his legal career, he has served as both a municipal prosecutor and public defender. For clients of Legal Services of New Jersey, Mr. Shamy provides pro bono representation in prosecuting domestic violence restraining orders in Middlesex and Somerset counties. He also assists pro bono clients in filing Chapter 7 bankruptcy petitions. More generally, Mr. Shamy has served as a panelist for presentations at the NJSBA Annual Pro Bono Conference on issues and opportunities of pro bono service. 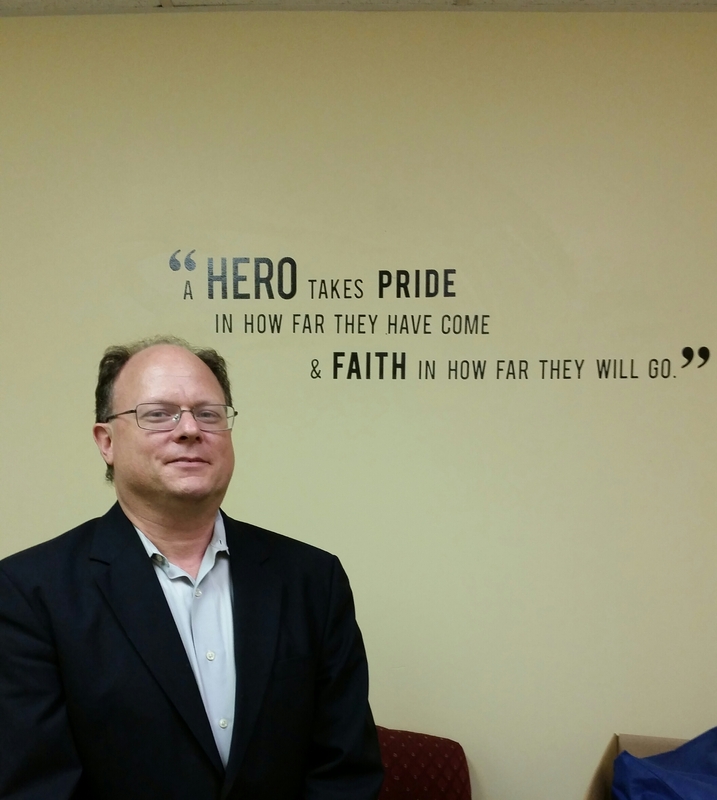 In addition to his work with LSNJ, Mr. Shamy has taken pro bono matters for clients of Central Jersey Legal Services.